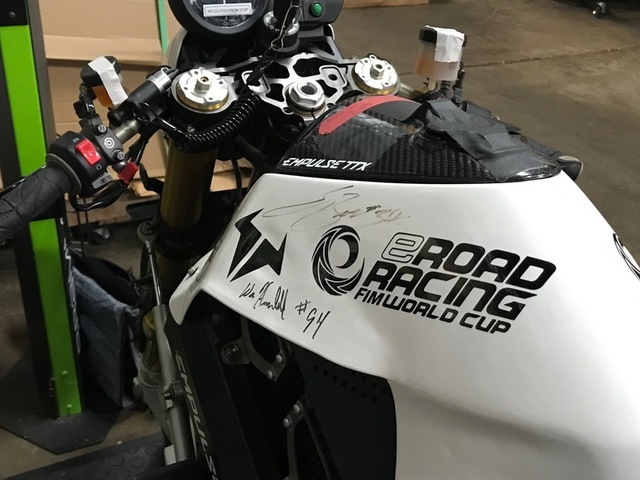 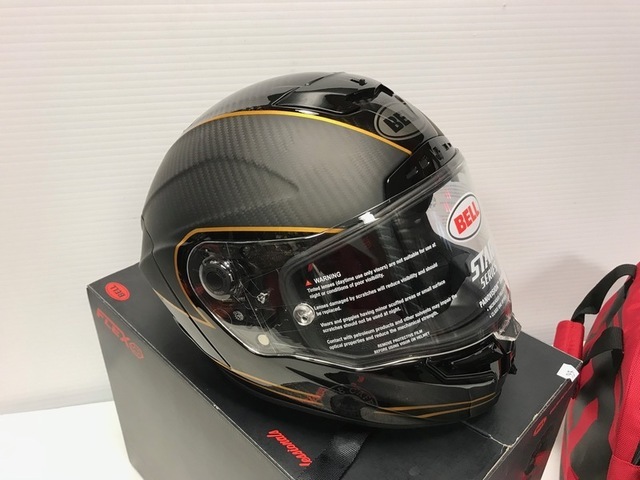 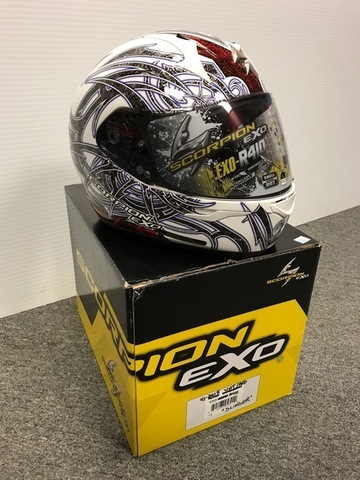 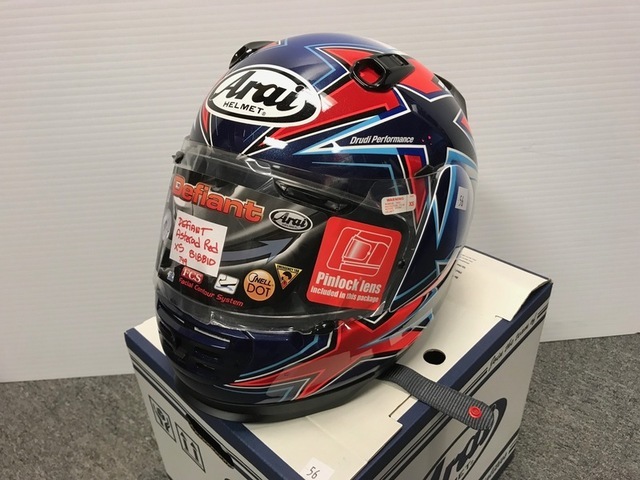 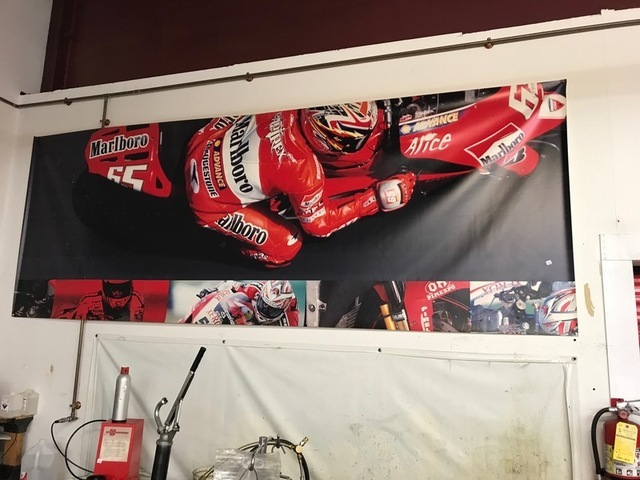 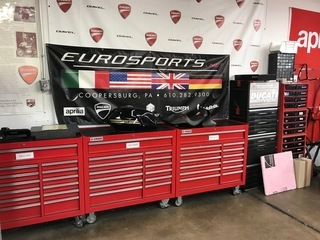 Online Only Auction for EuroSports, Motobella, Inc. 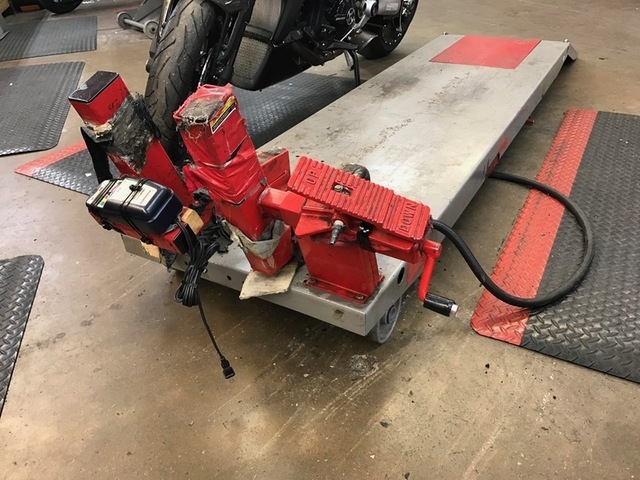 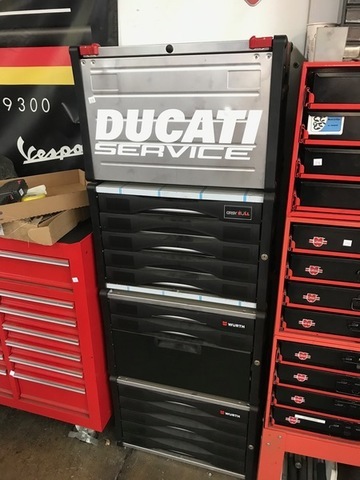 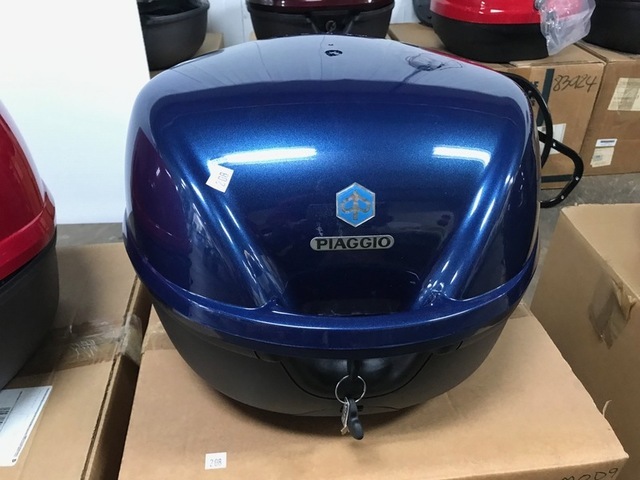 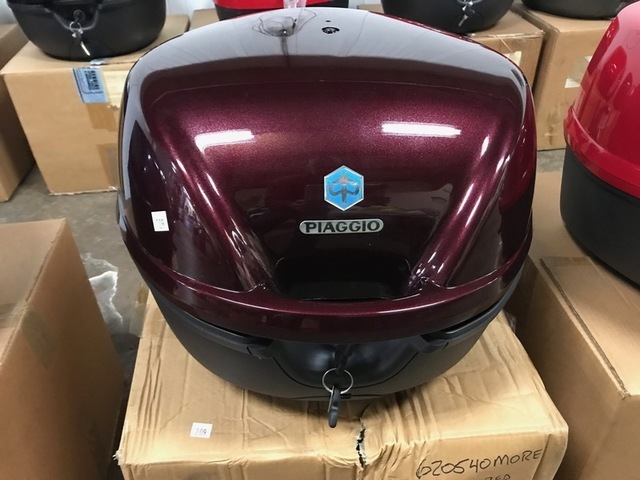 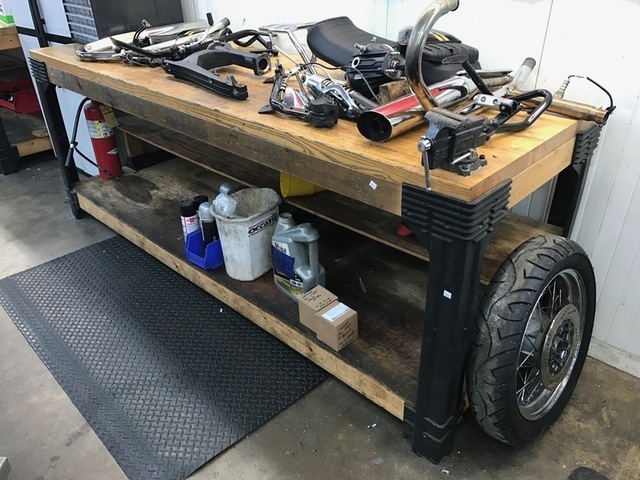 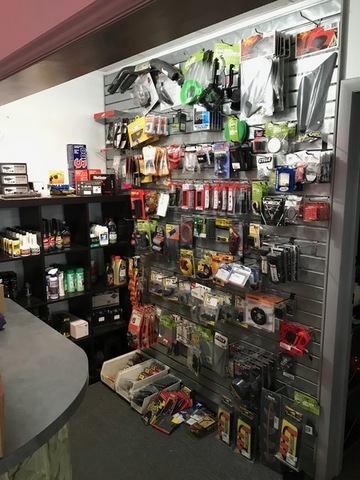 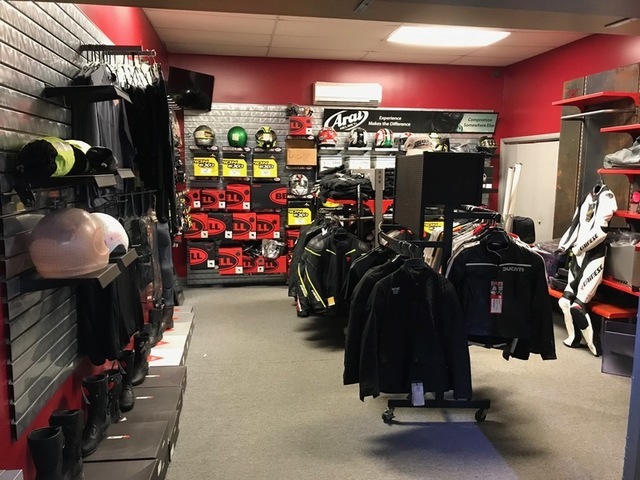 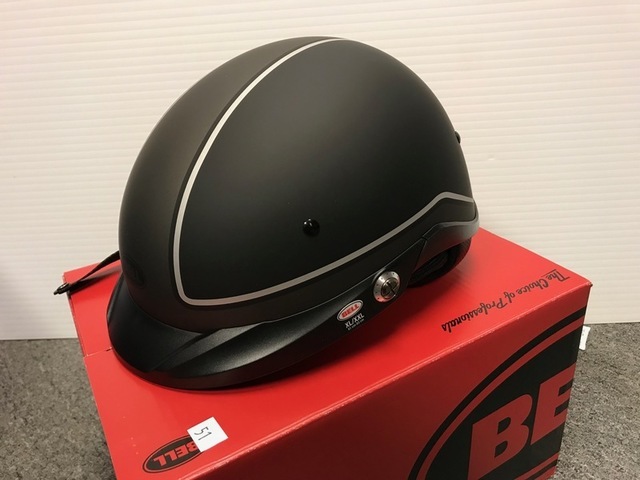 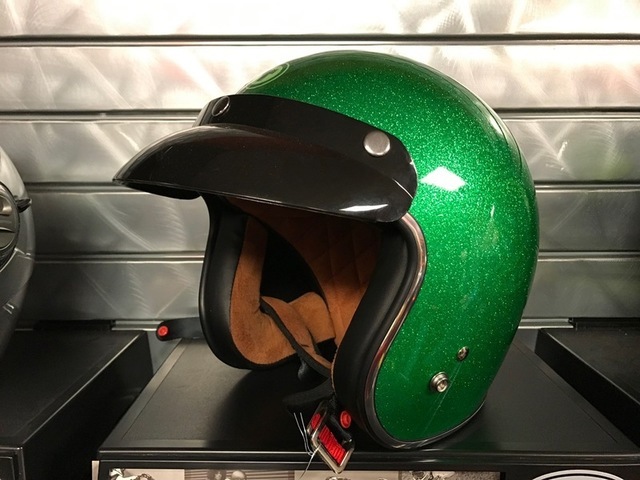 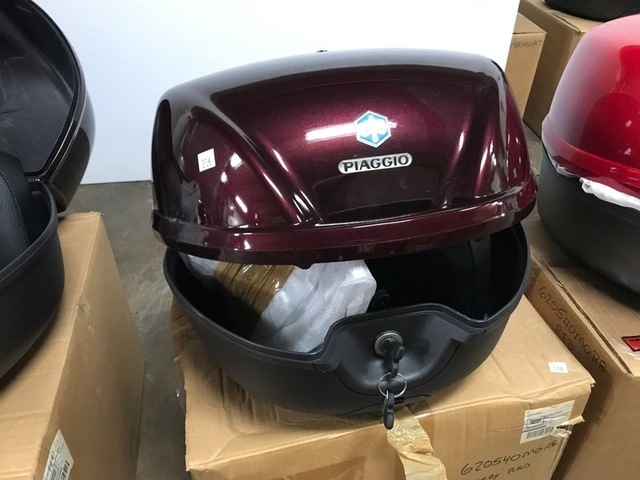 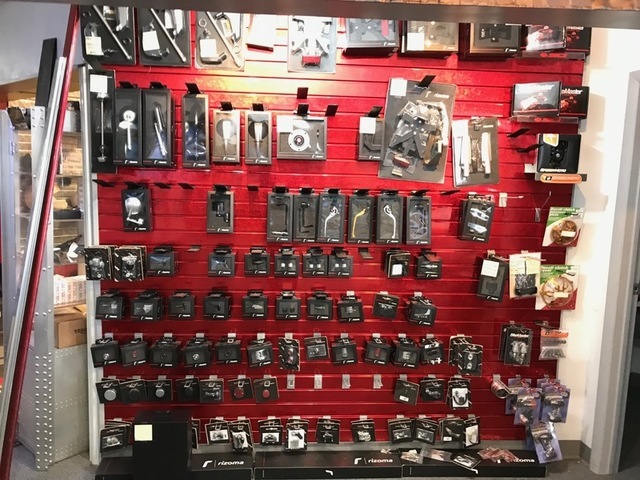 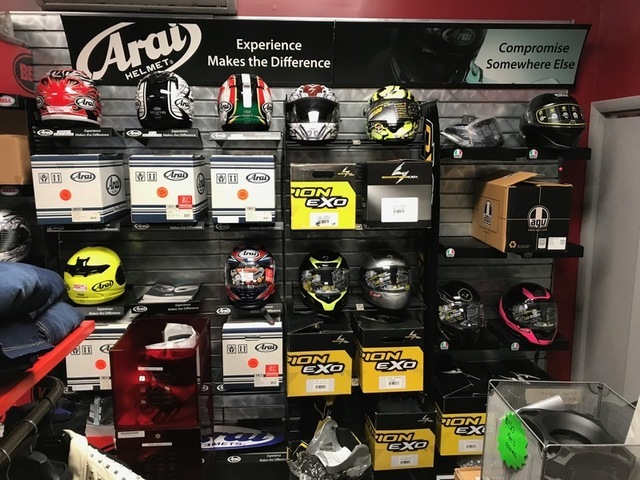 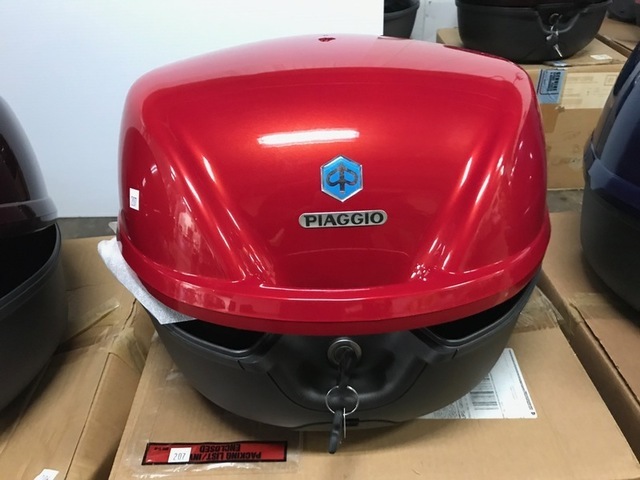 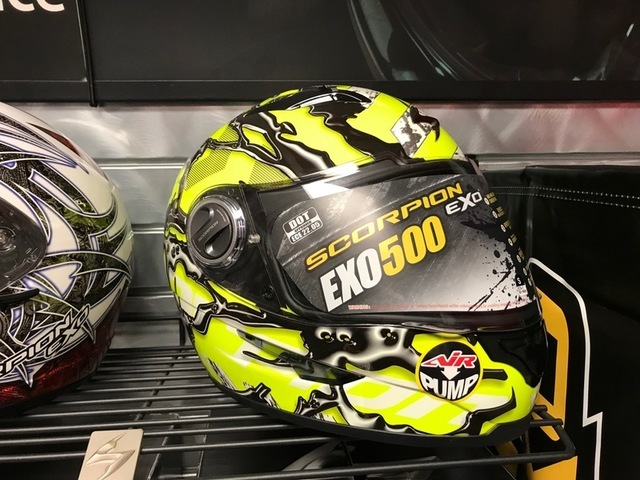 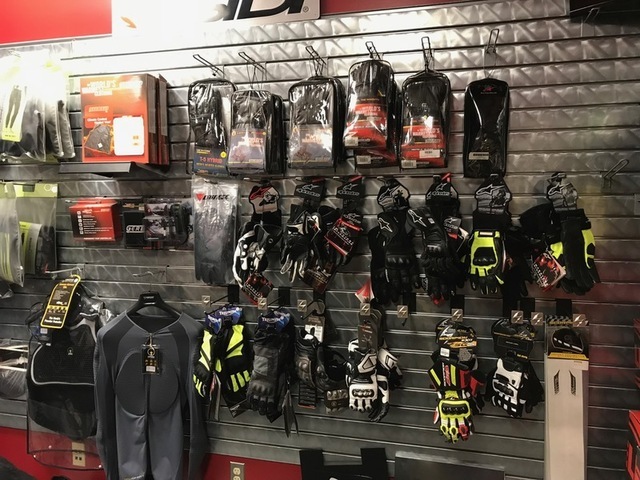 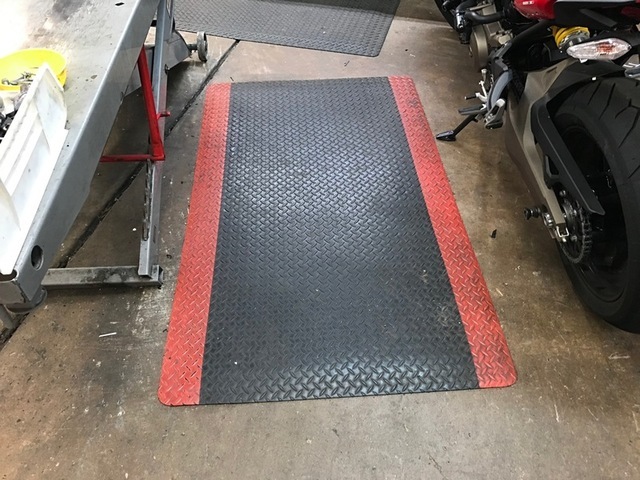 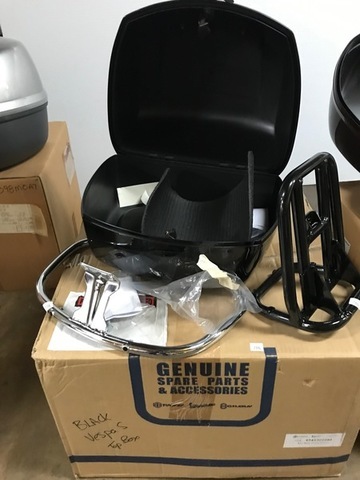 Featuring a BRAMMO Empulse TTX motorcycle, motorcycle helmets, clothing, parts, tools, Clark forklift, tool chests, store fixtures, equipment, top boxes & MORE. 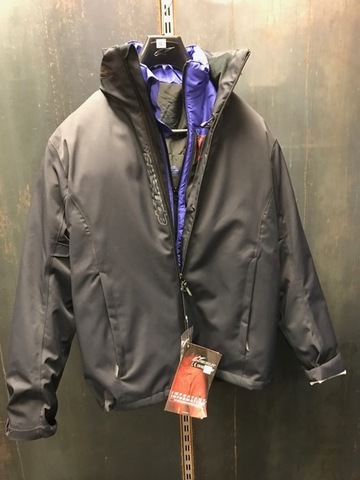 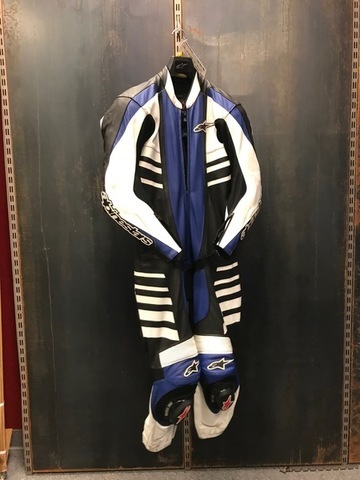 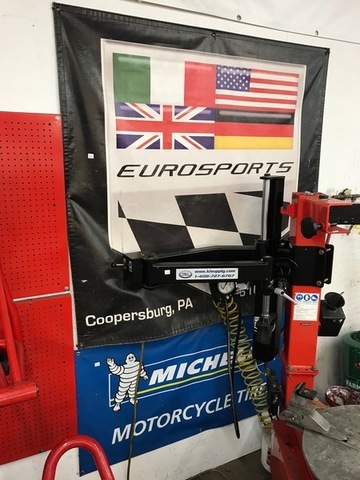 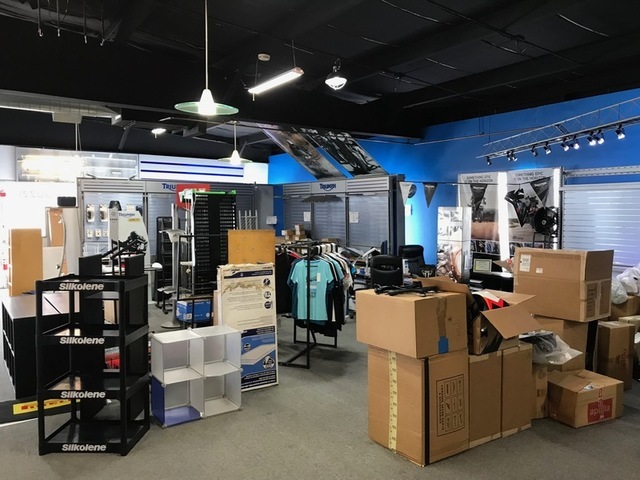 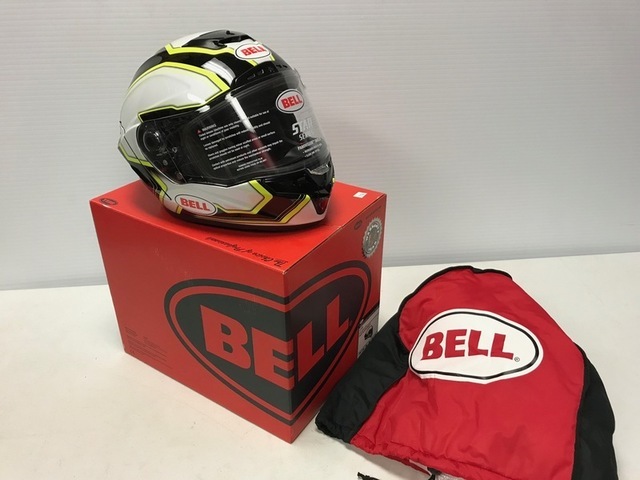 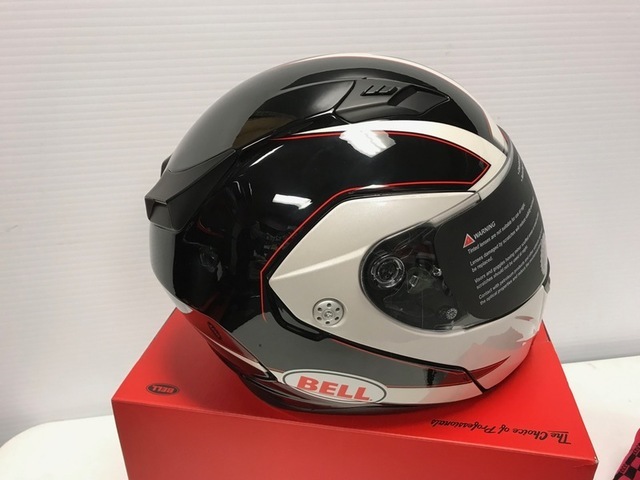 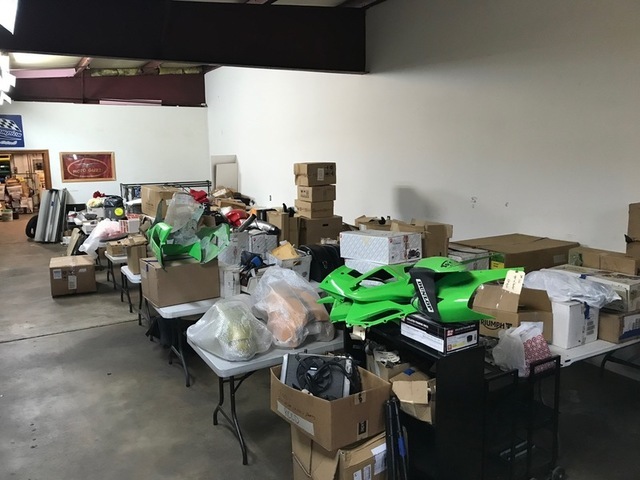 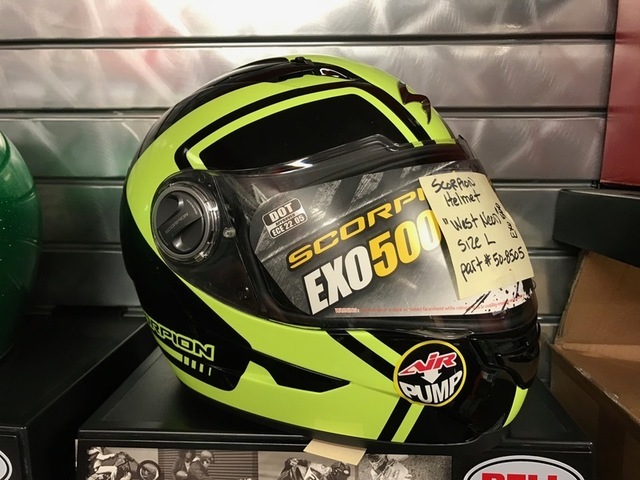 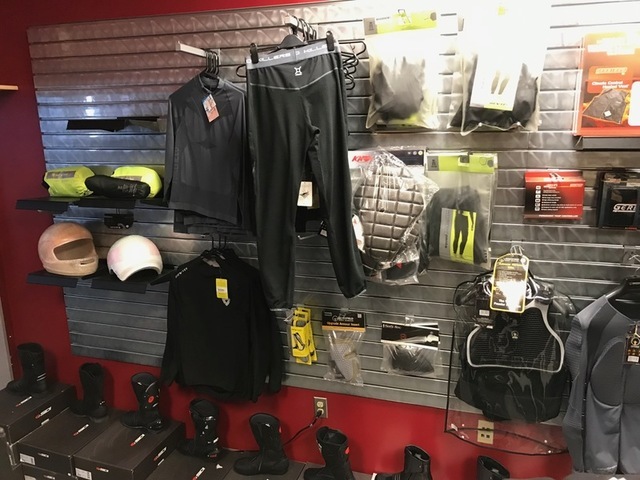 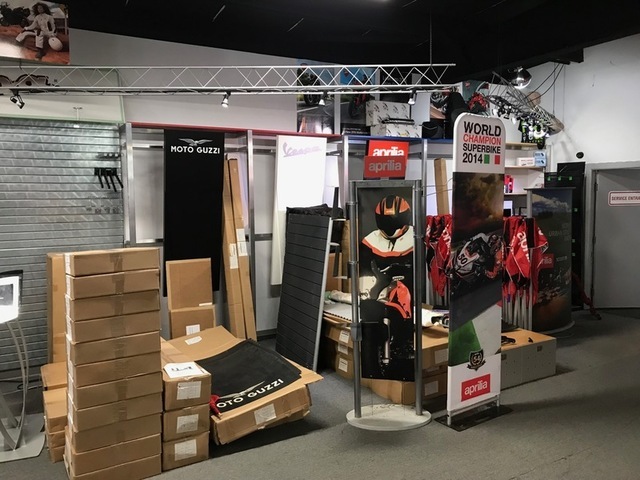 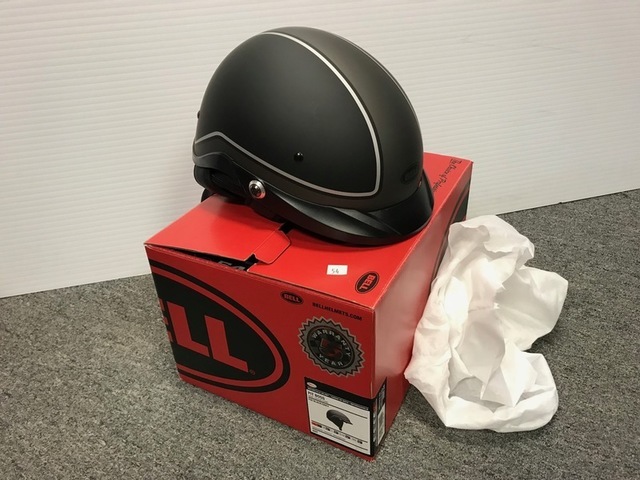 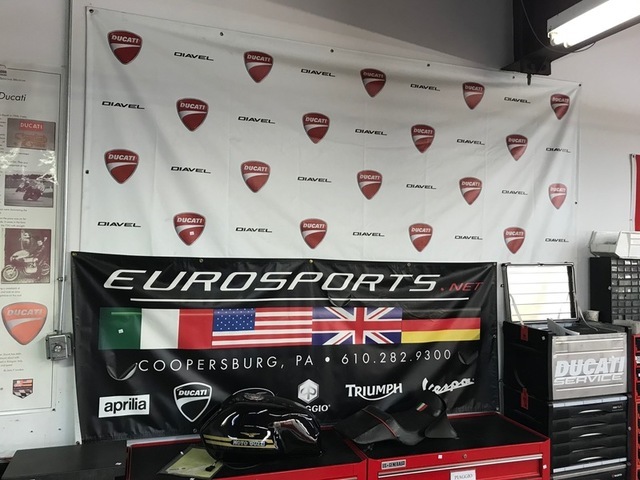 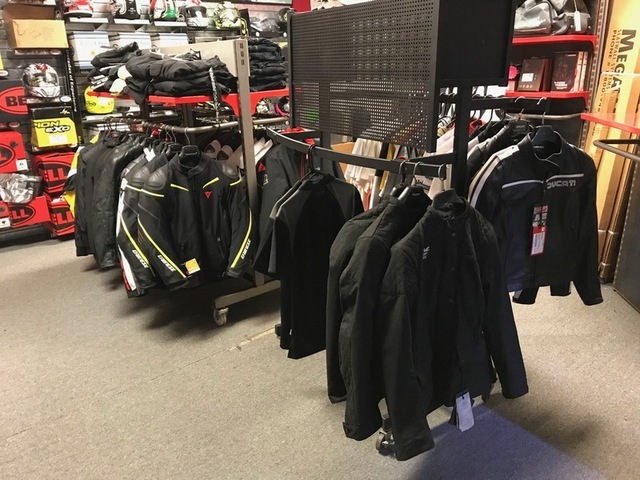 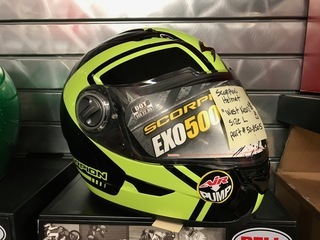 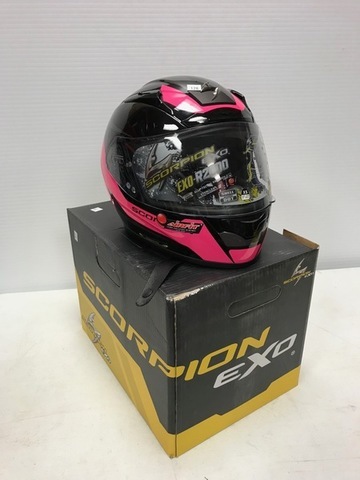 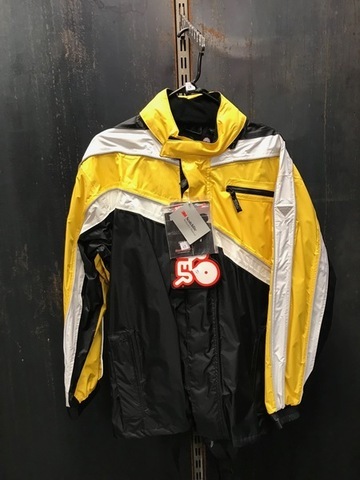 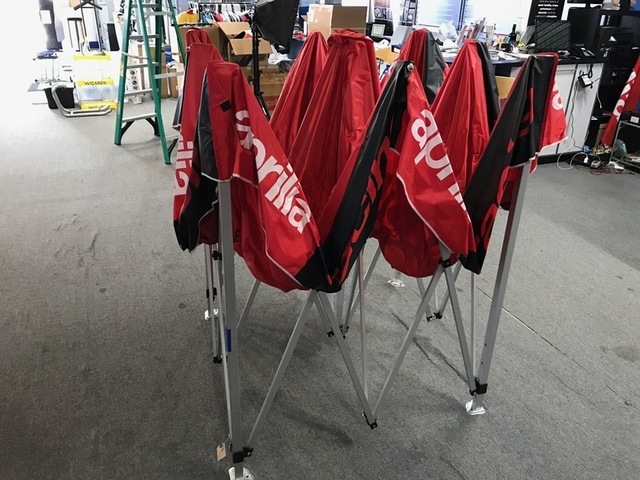 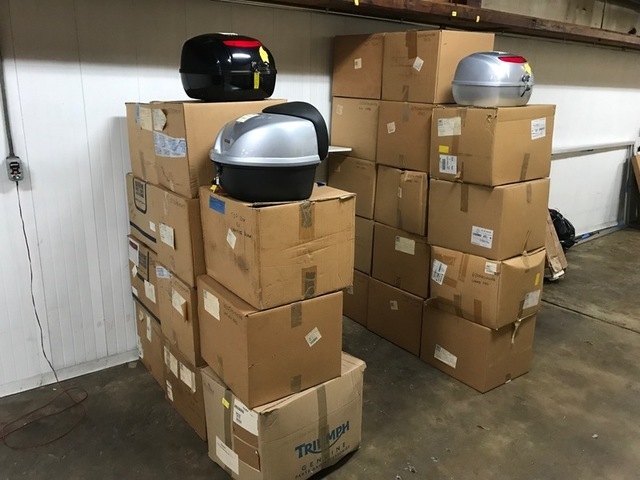 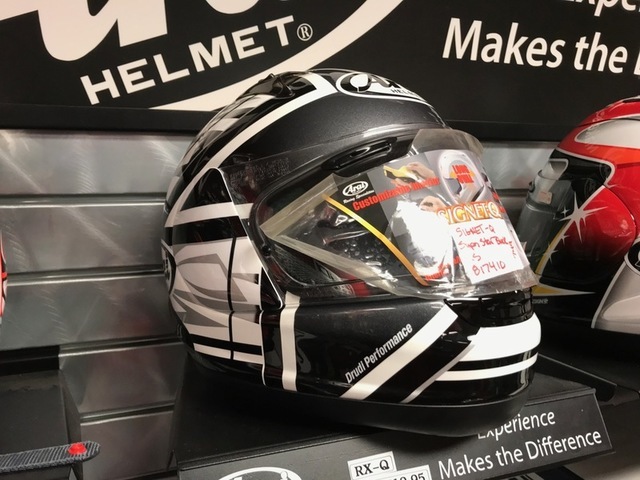 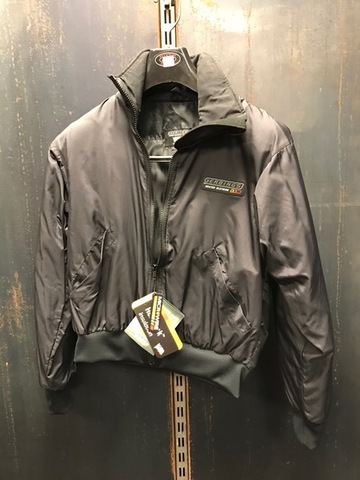 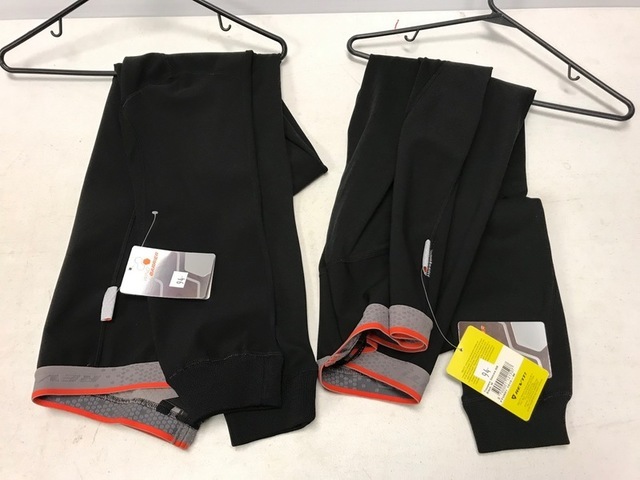 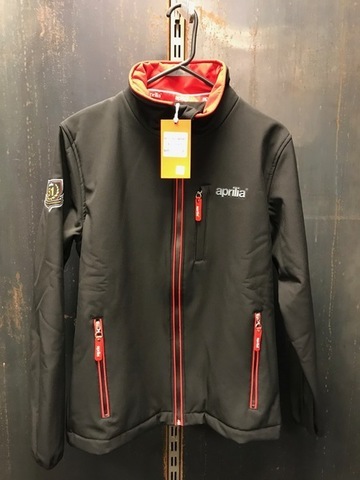 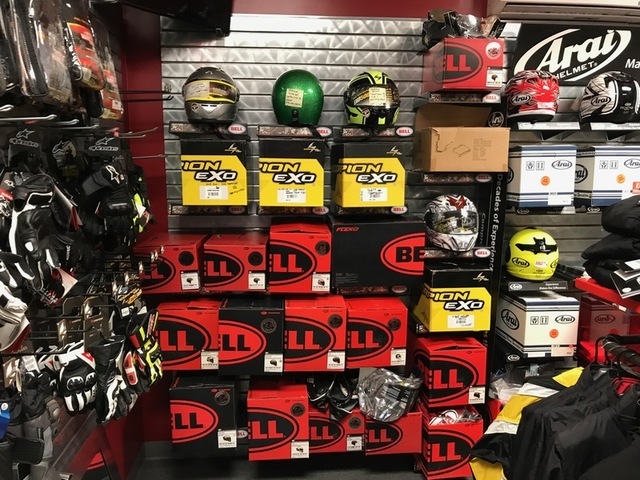 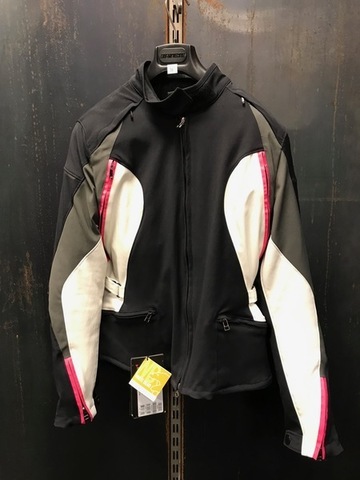 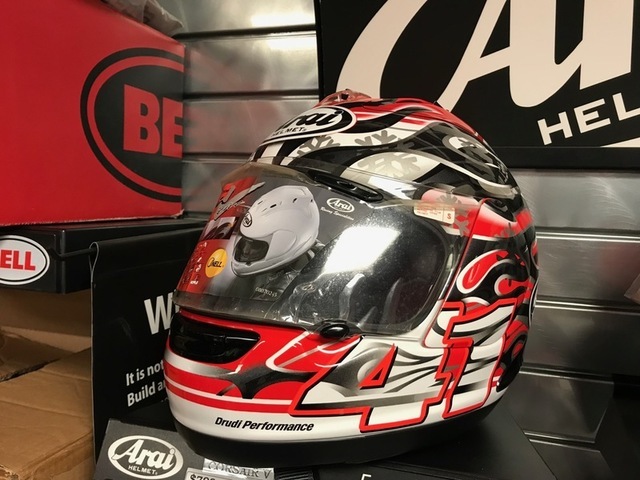 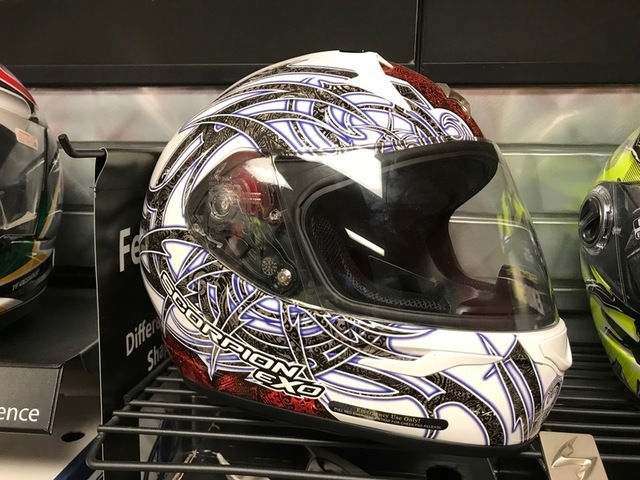 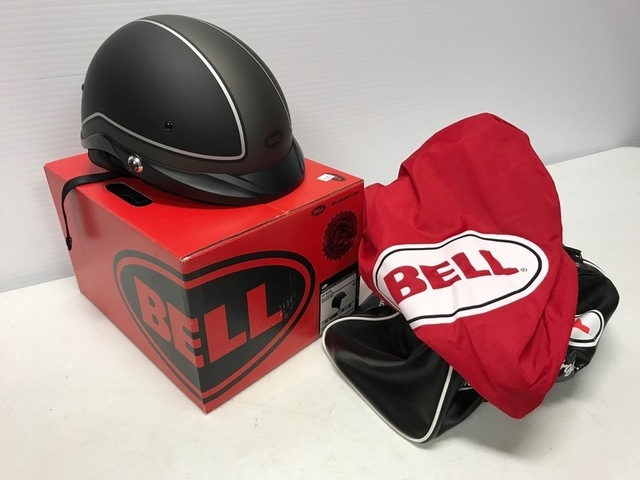 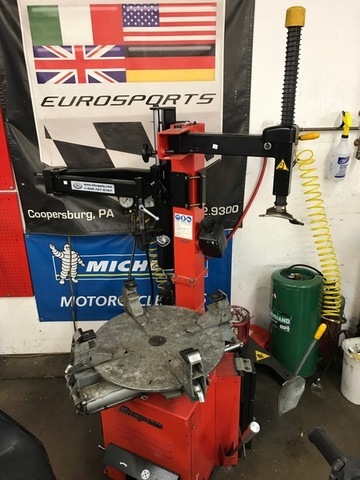 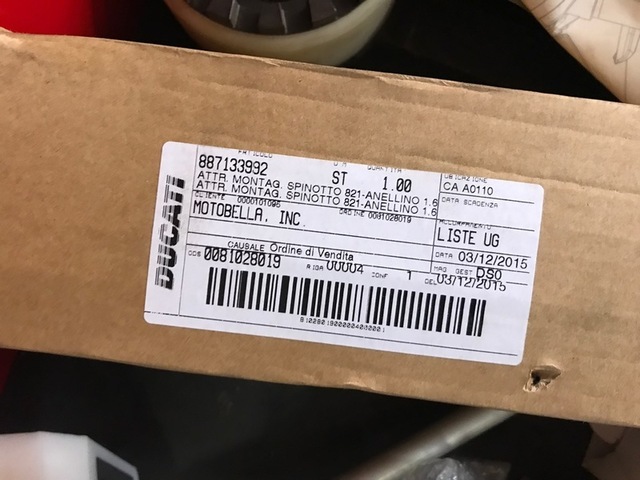 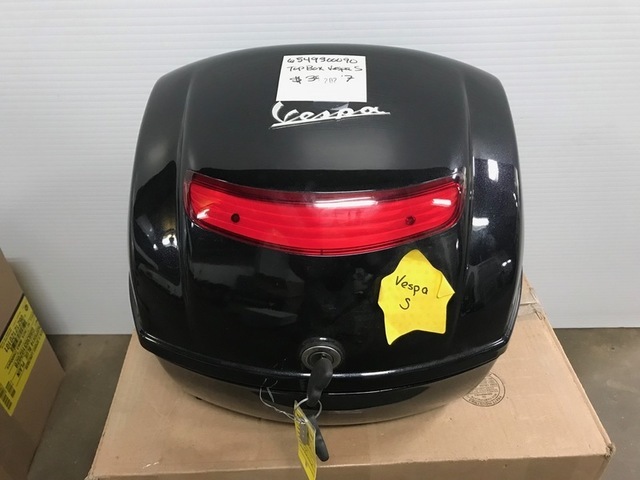 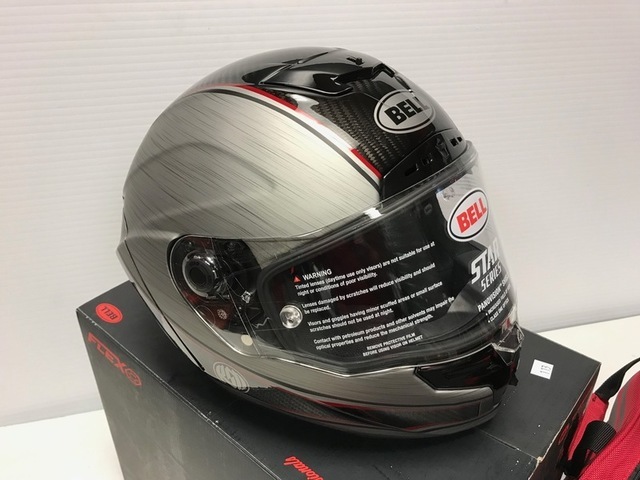 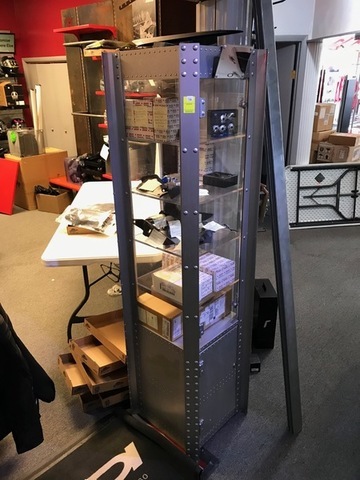 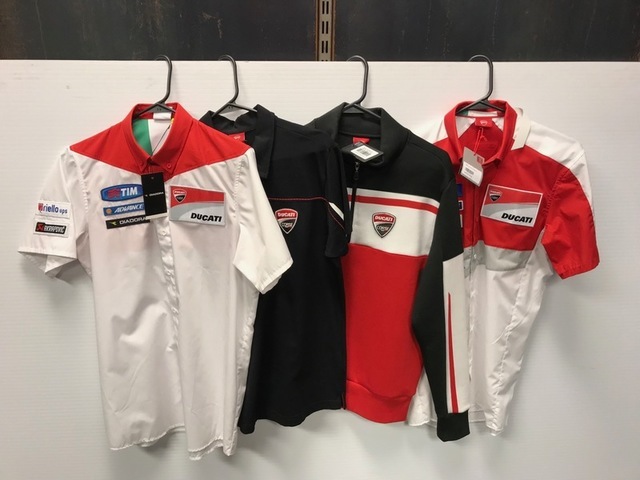 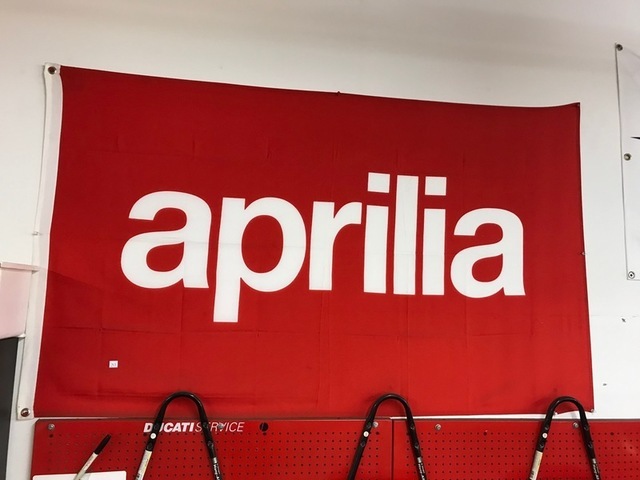 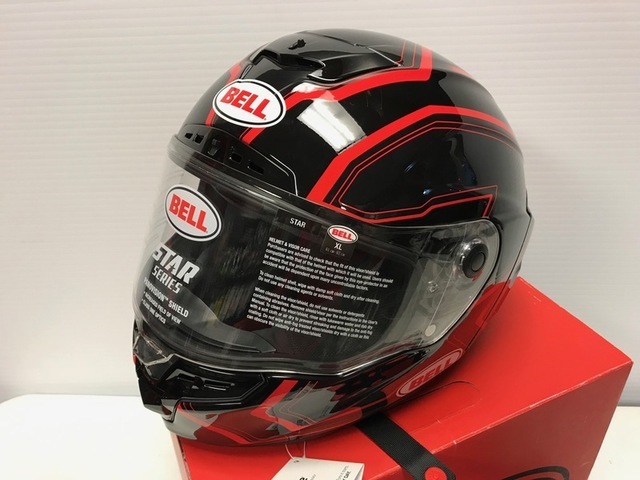 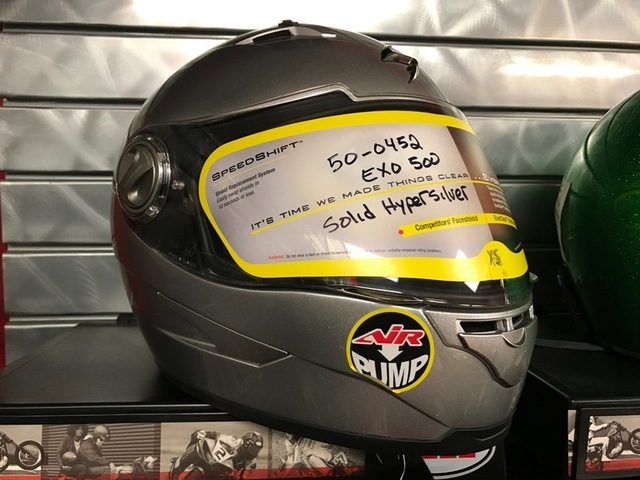 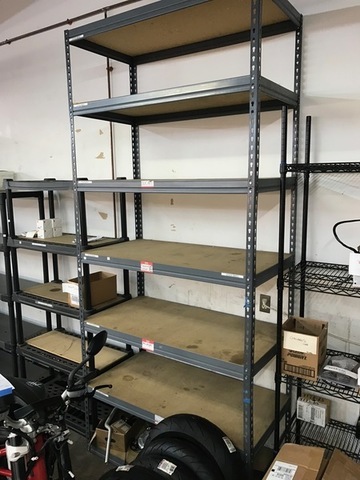 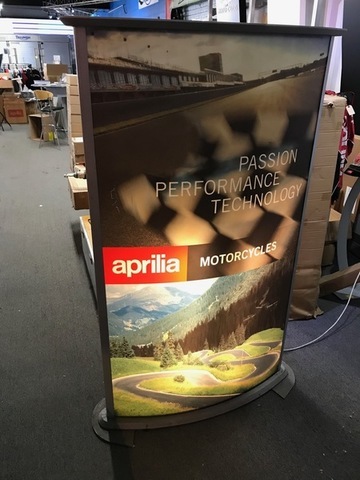 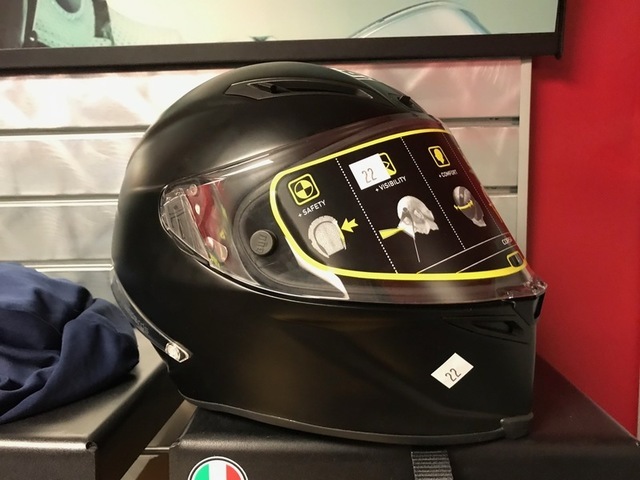 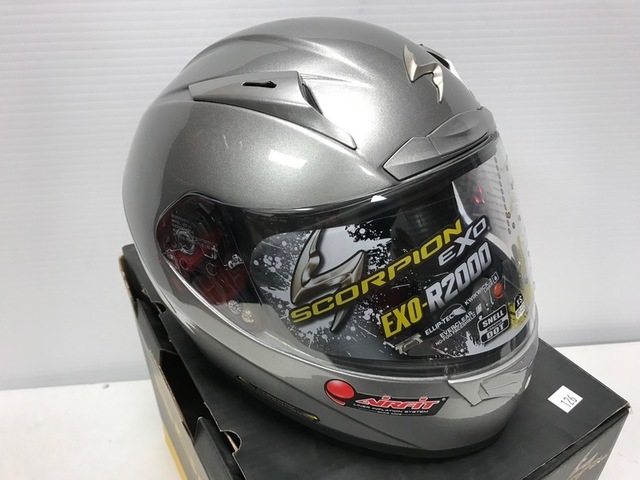 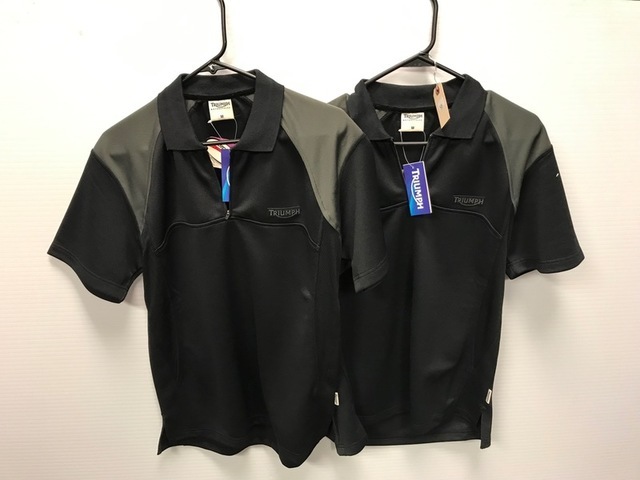 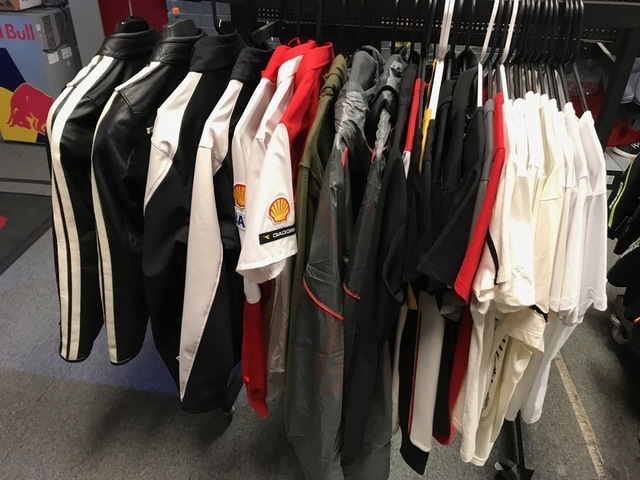 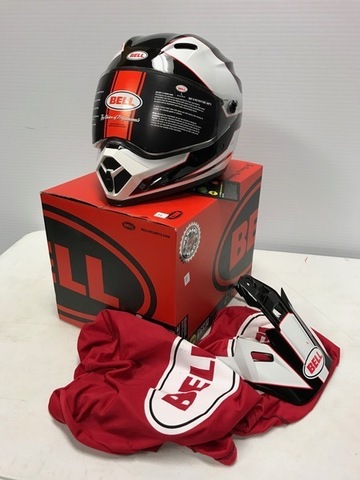 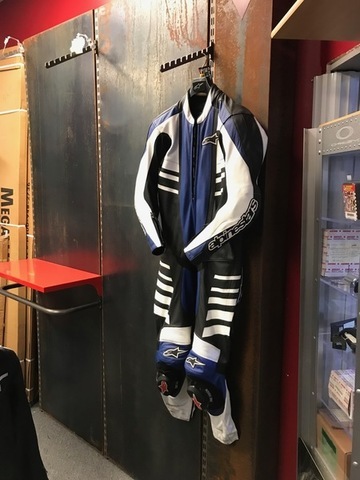 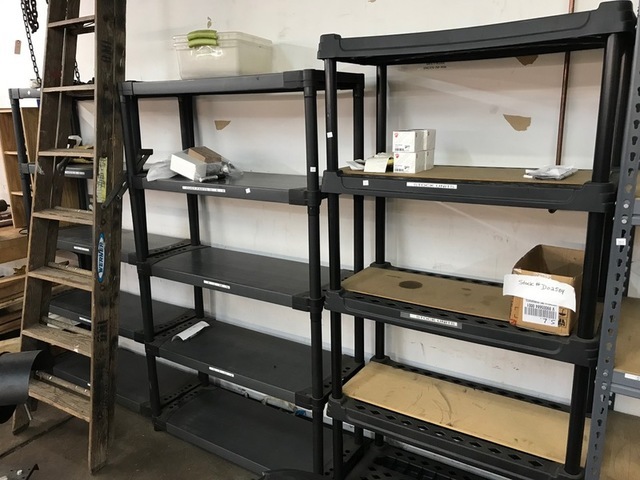 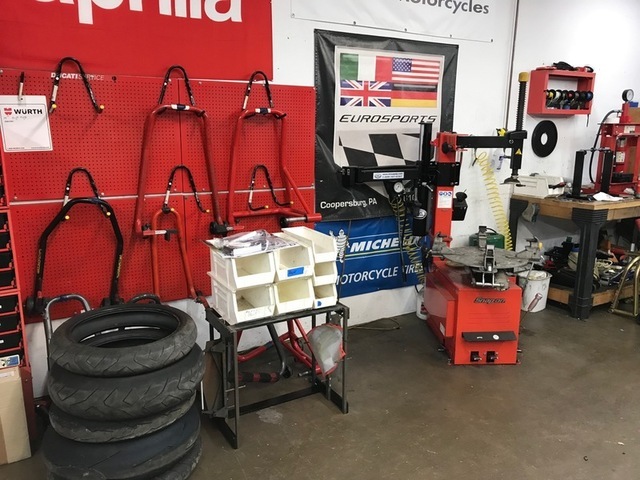 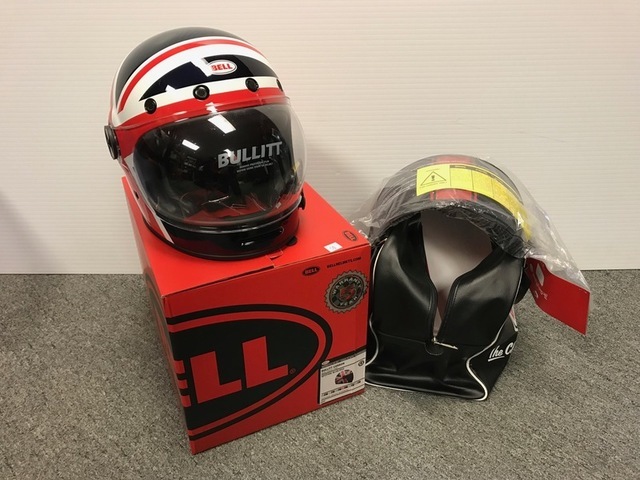 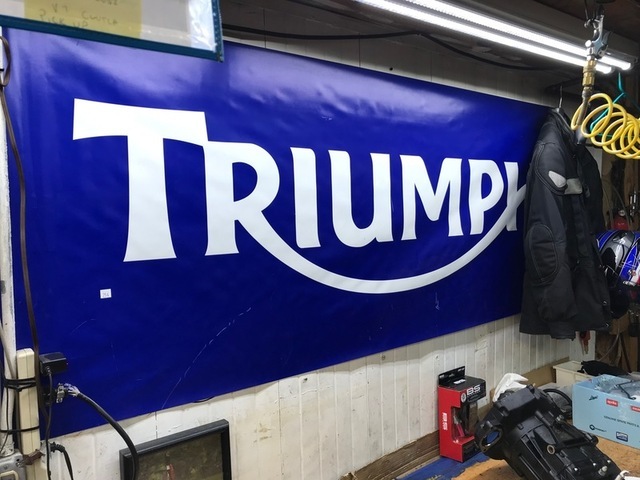 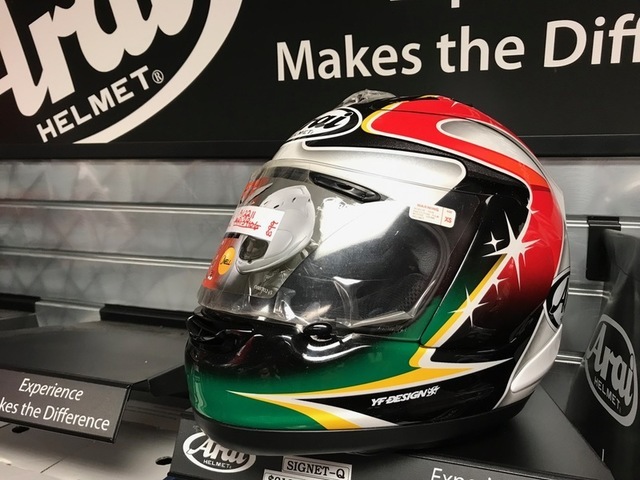 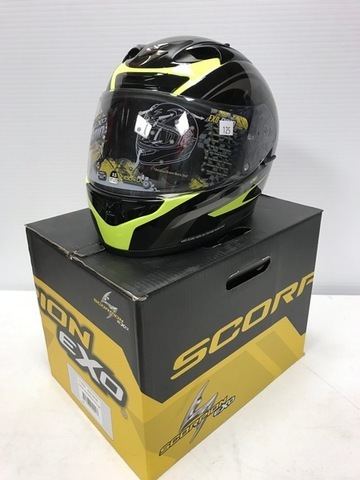 First of two auctions liquidating the remaining assets of EUROSPORTS – Motobella, Inc. in Coopersburg, PA.
EUROSPORTS – Motobella, Inc. is Closing! 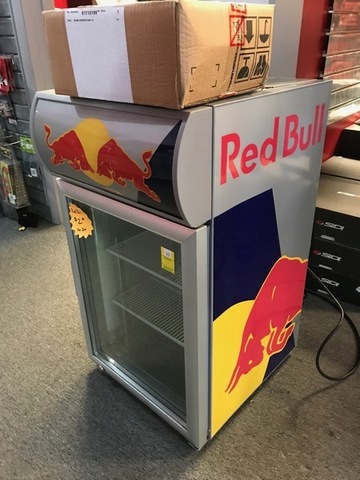 Only one item has a reserve, everything else sells to the highest bidder! 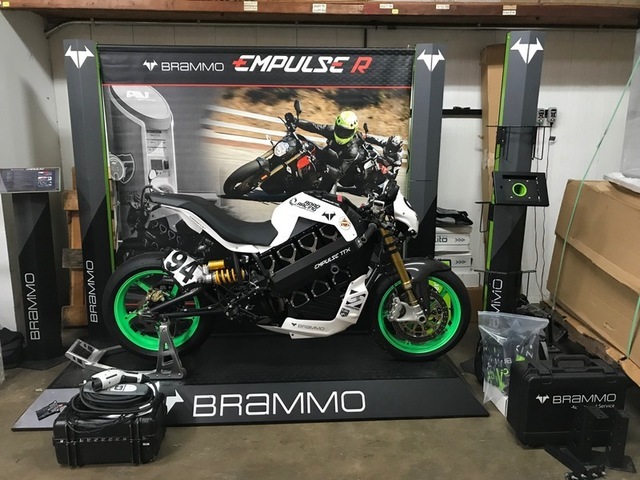 Brammo Empulse TTX, One of only three of these privateer bikes ever sold outside of the factory for the race team to show. 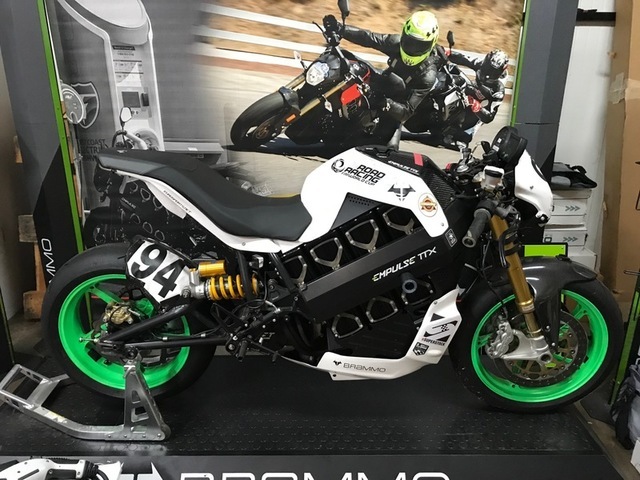 The race version helped the team win a number of Championships in the few short years that Brammo was the leader in the electric bike industry. 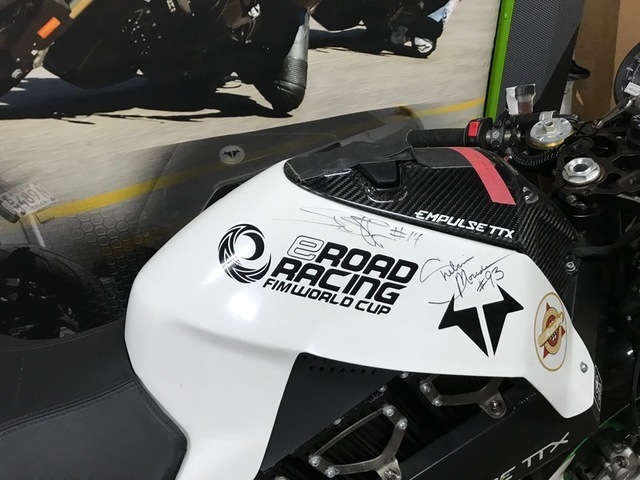 Includes all three team members autographs on the tank, Shelina Moreda (pro racer & model), Shane Turpin, Eric Bostrum and the technician. 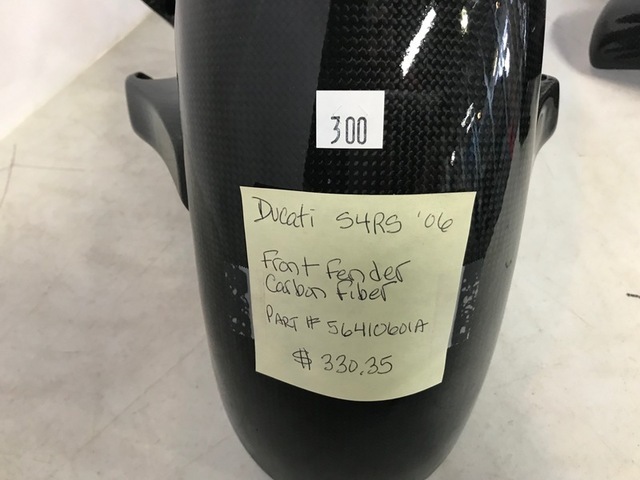 Shelia Moreda rode the bike in a race against Airplanes at the Lehigh Valley Air Show. 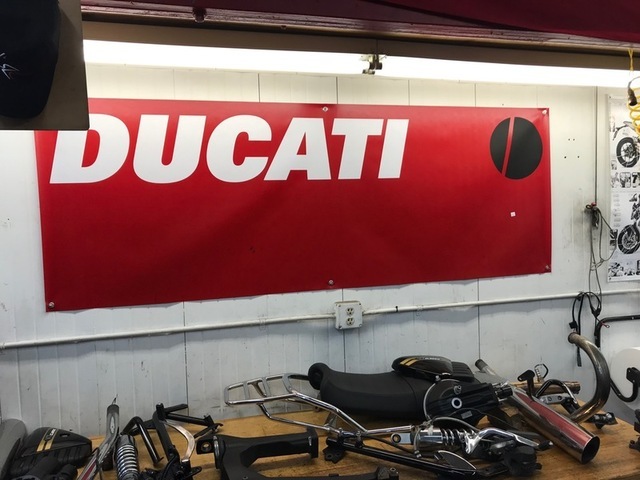 Eric Bostrum rode it as a guest coach at a Ducati Track Day. 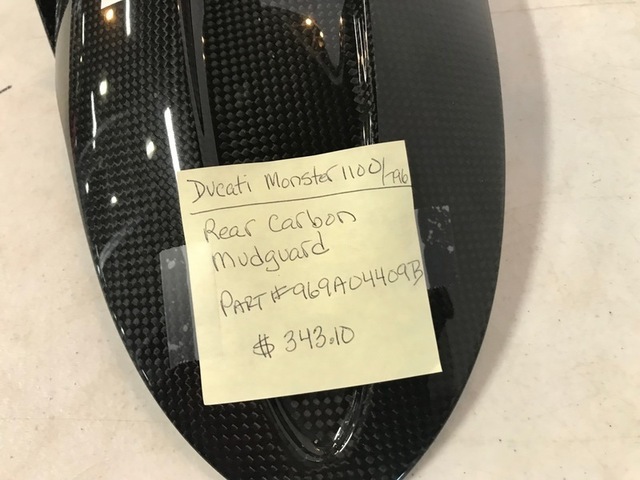 The bike has about 205 miles on it. 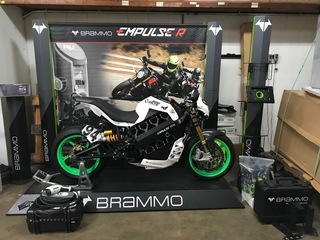 The Brammo comes with all the merchandising items from the original purchase, as well as a storage crate and computers and tools to tune it. 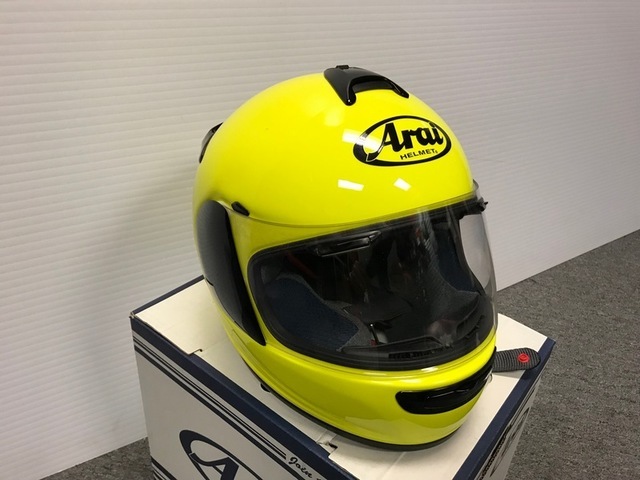 The bike competed in and won the AHRMA historic motorcycle race, it was the only time it ever raced and was part of the electric race bike category in the production class. 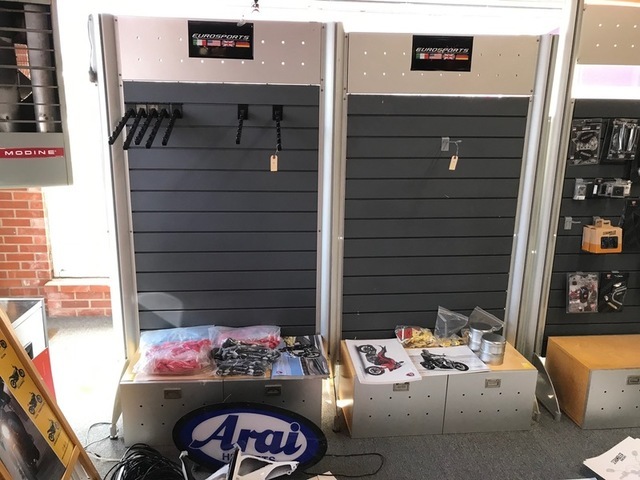 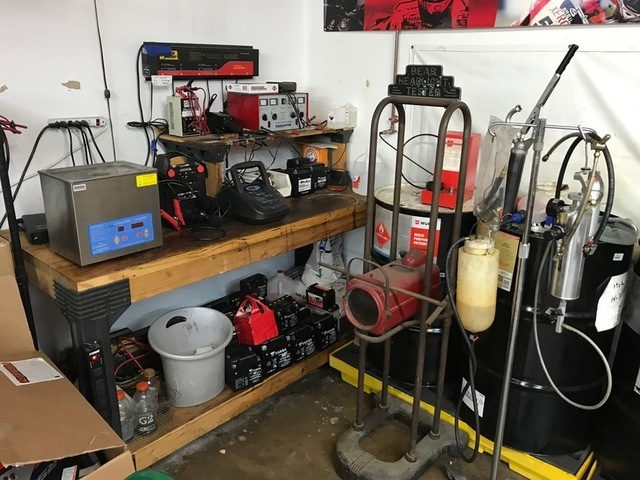 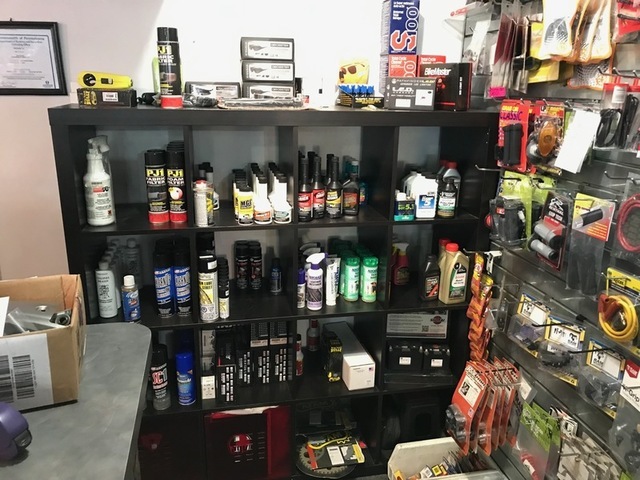 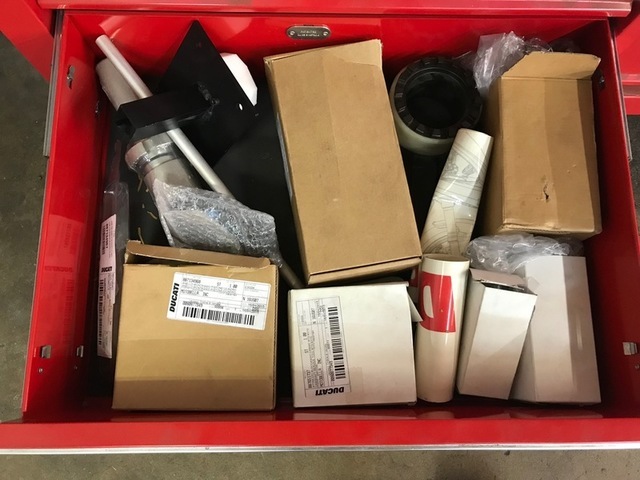 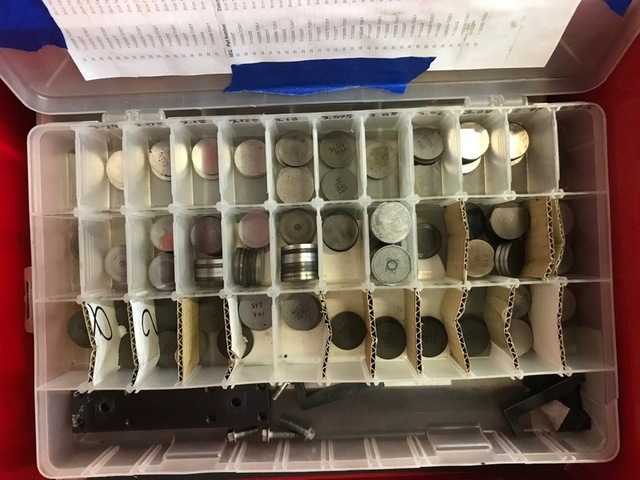 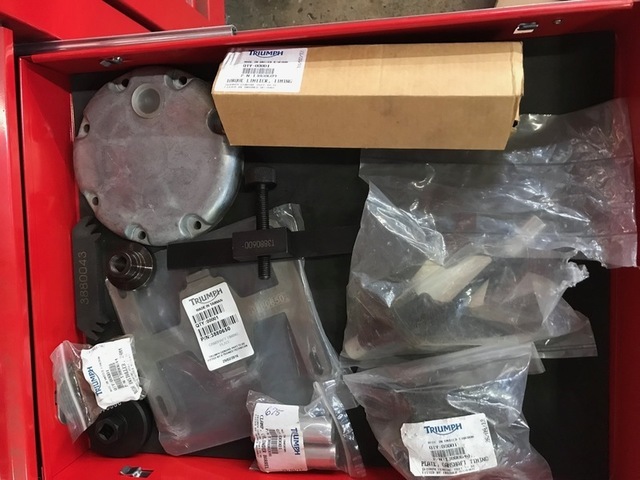 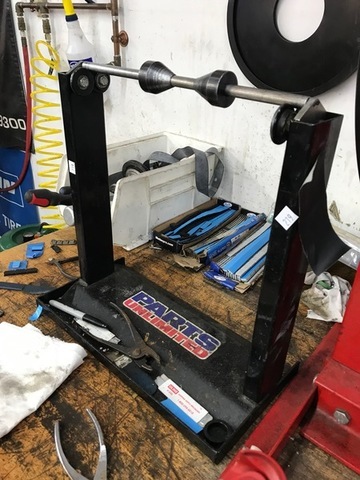 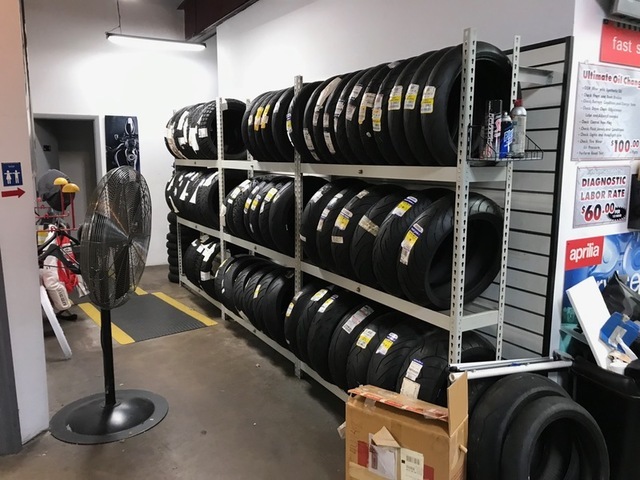 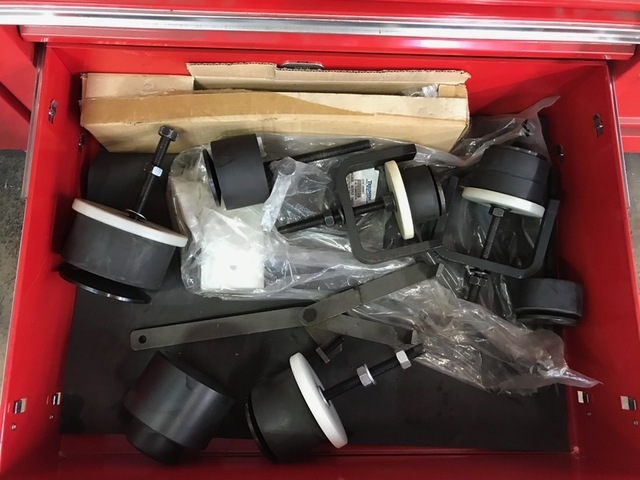 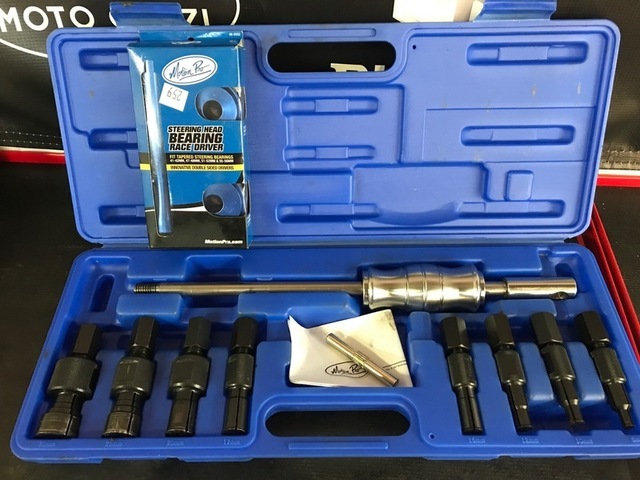 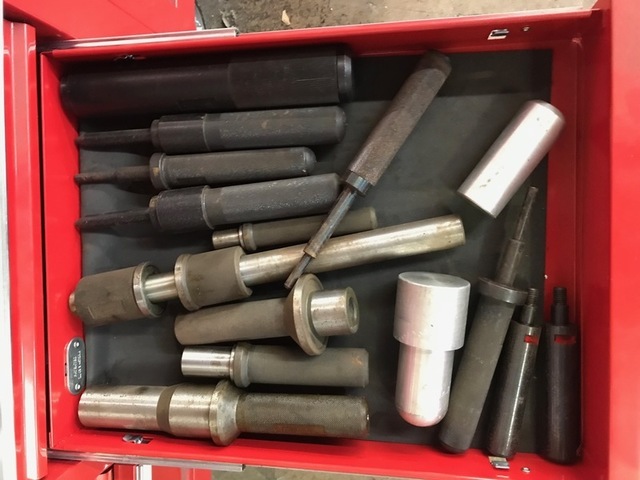 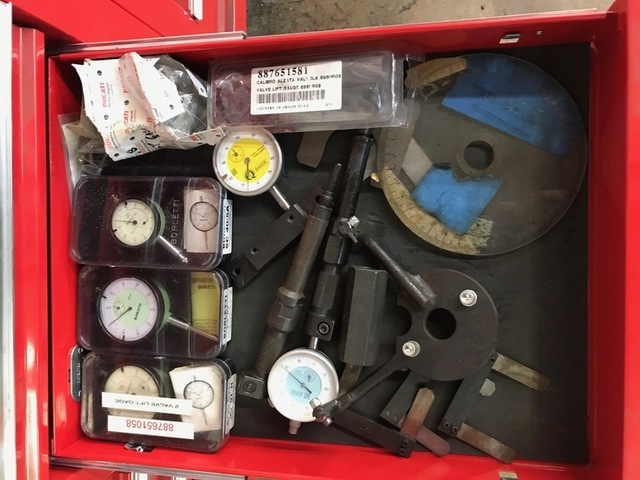 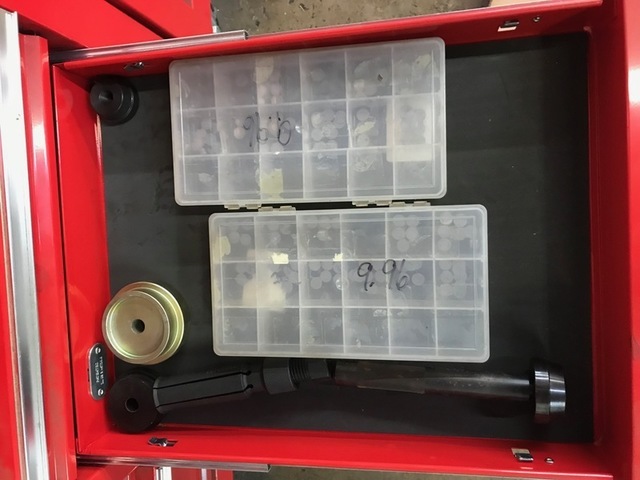 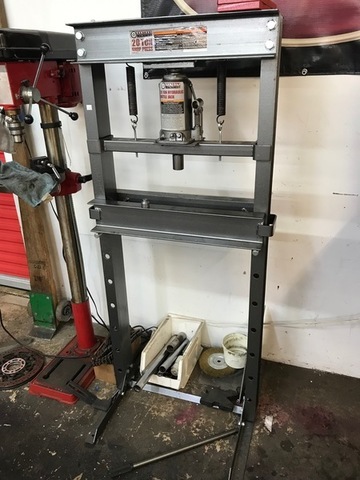 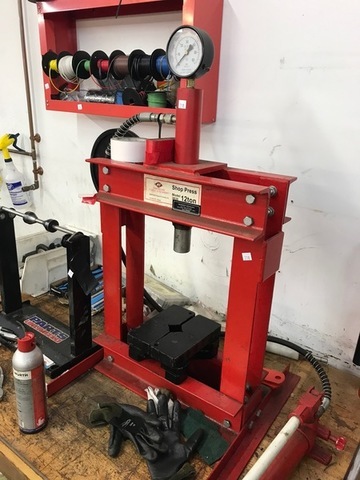 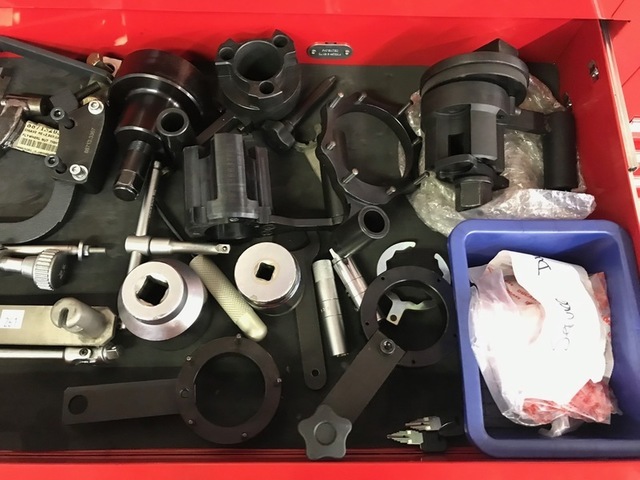 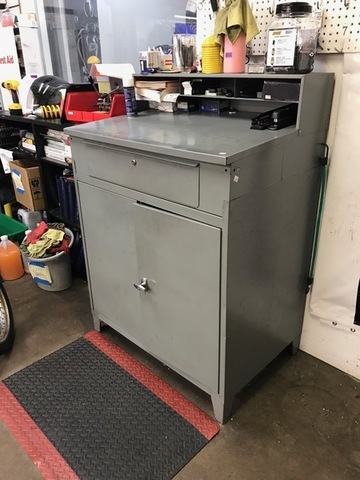 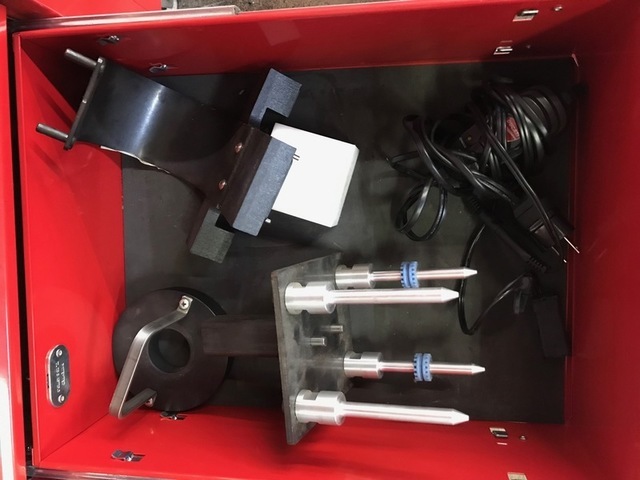 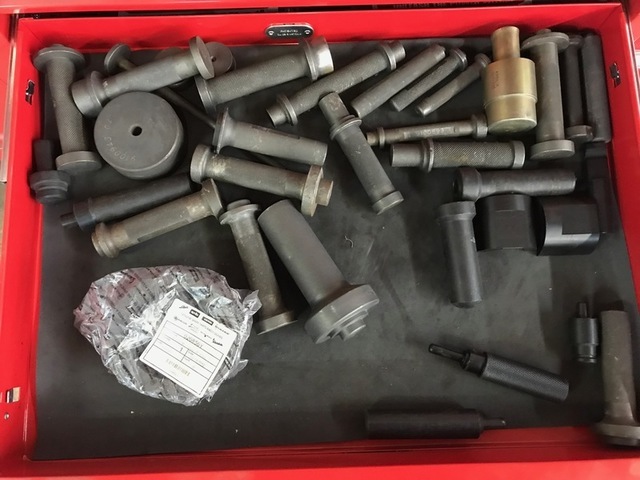 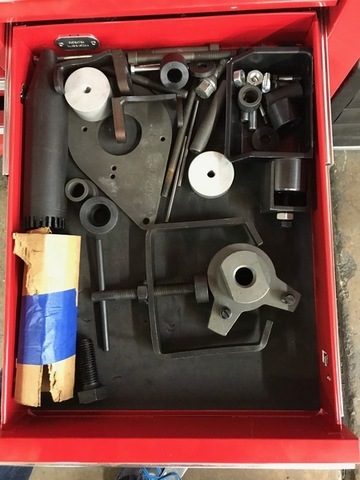 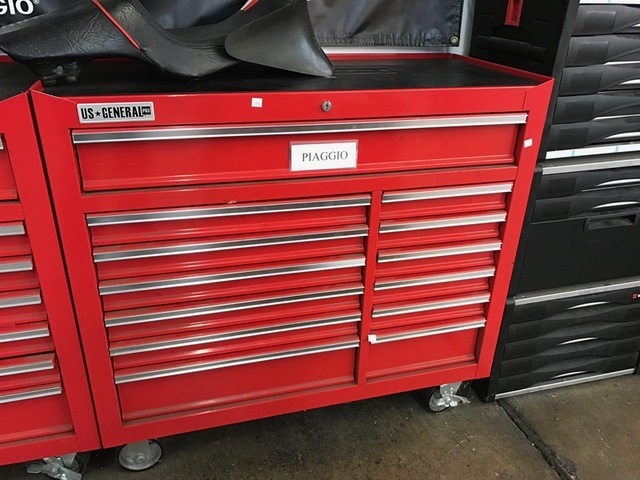 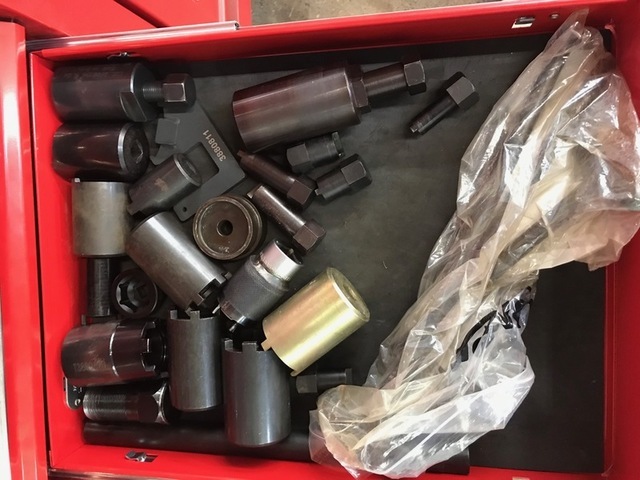 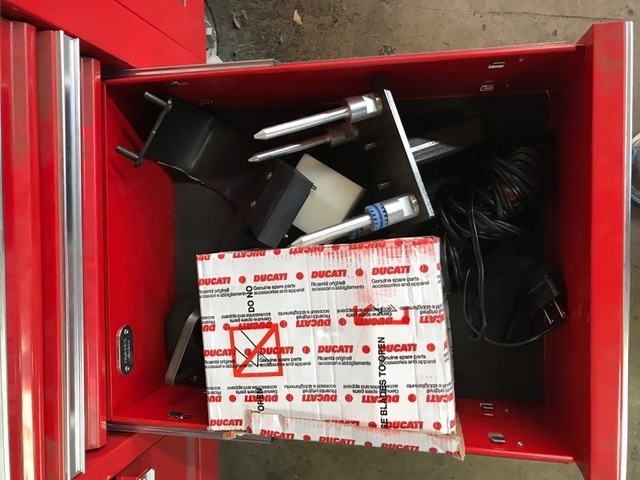 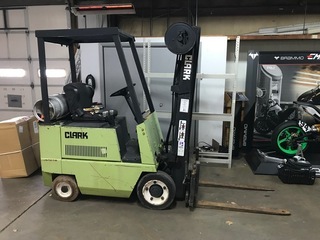 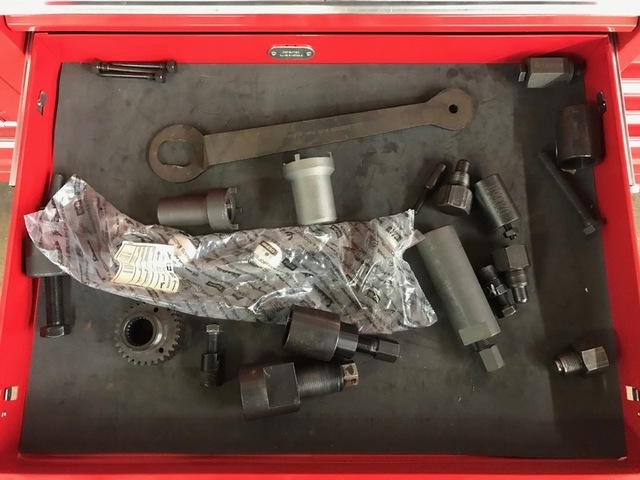 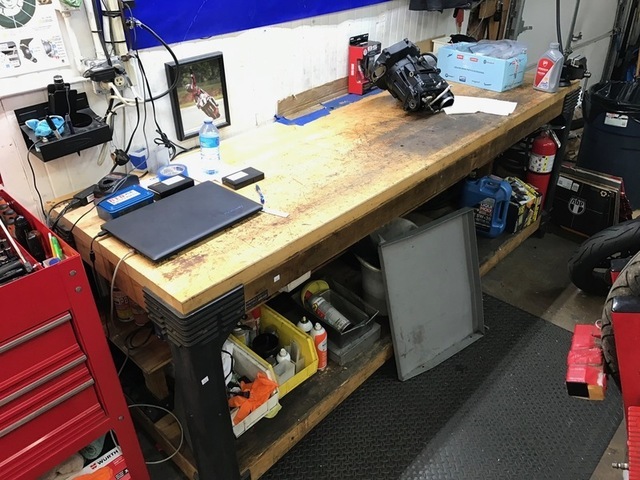 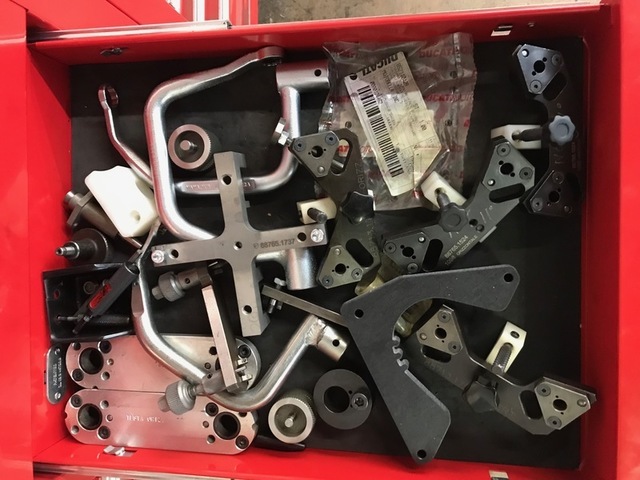 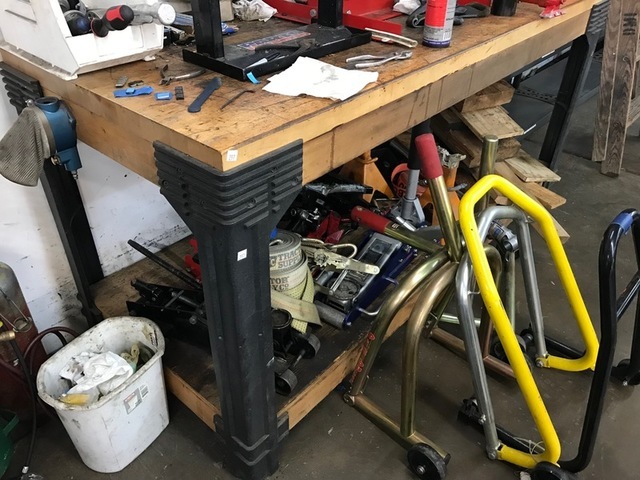 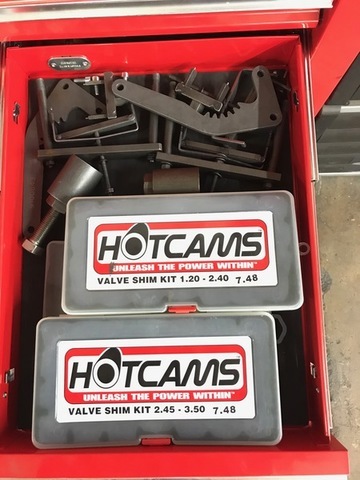 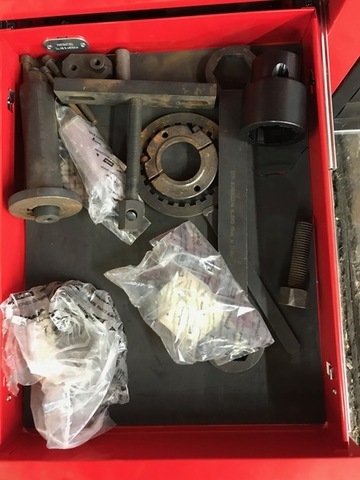 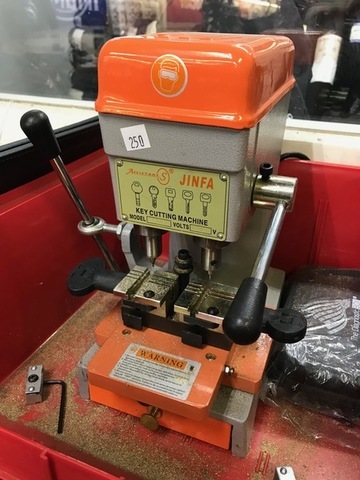 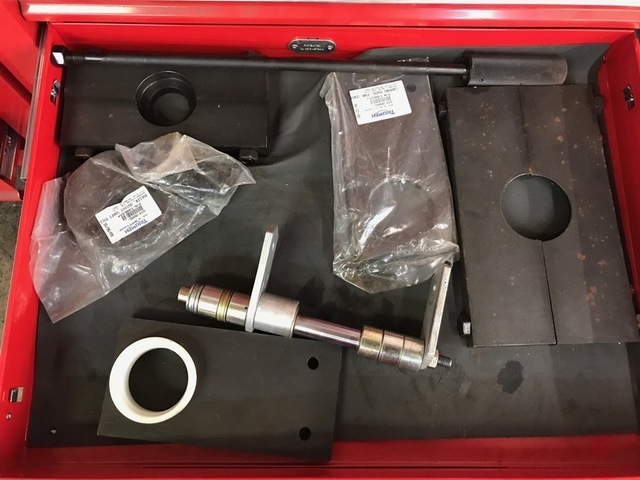 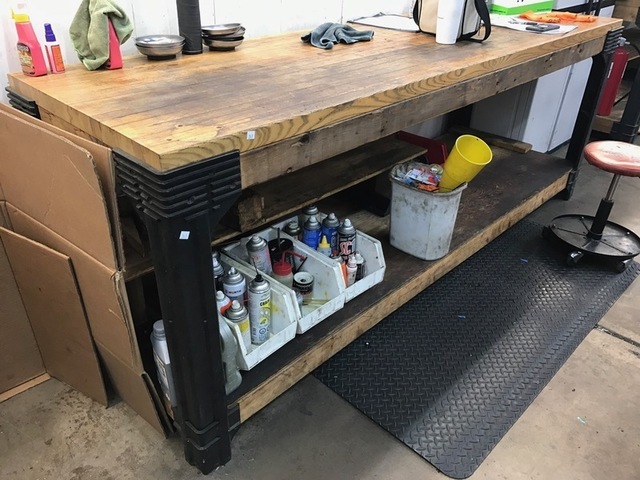 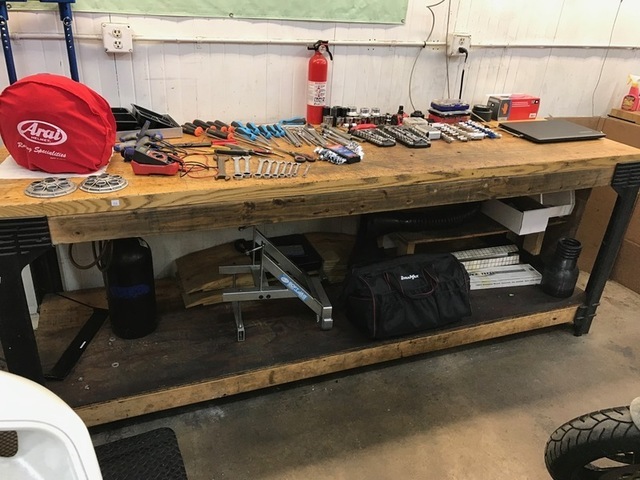 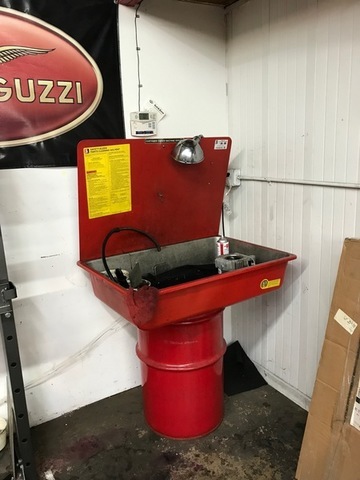 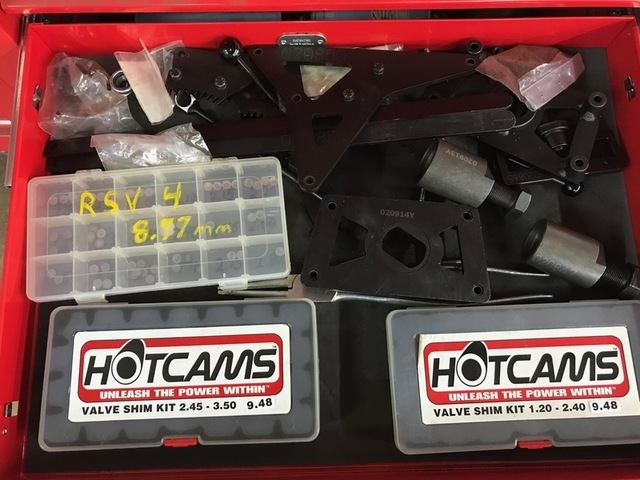 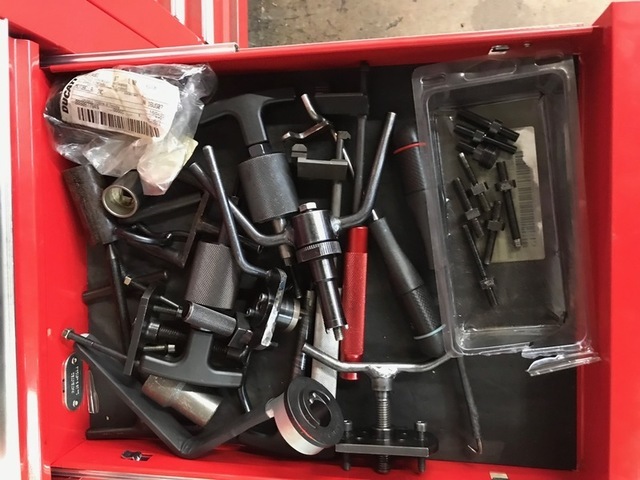 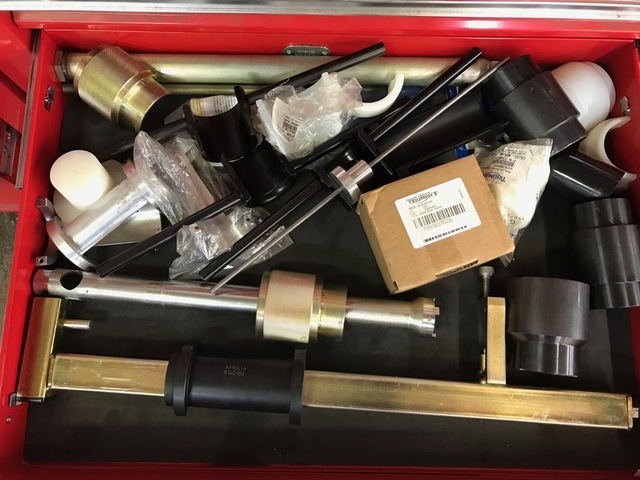 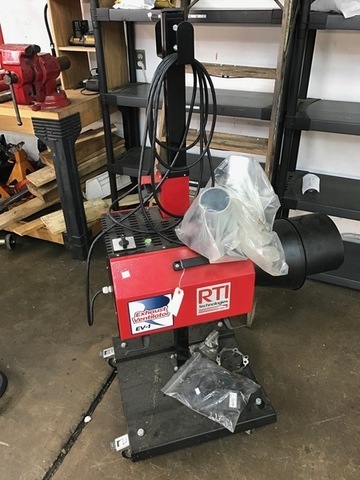 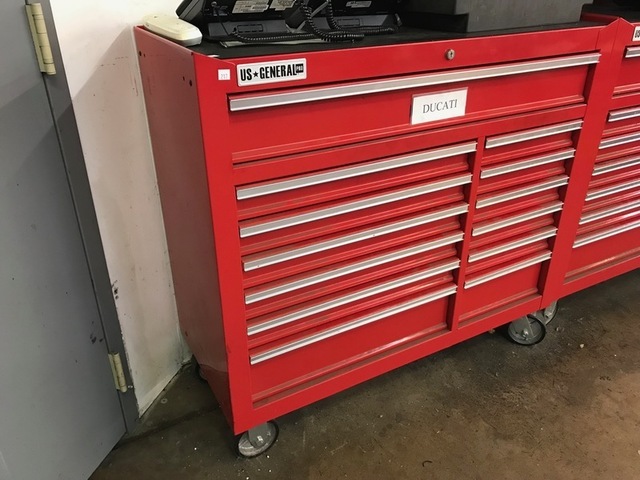 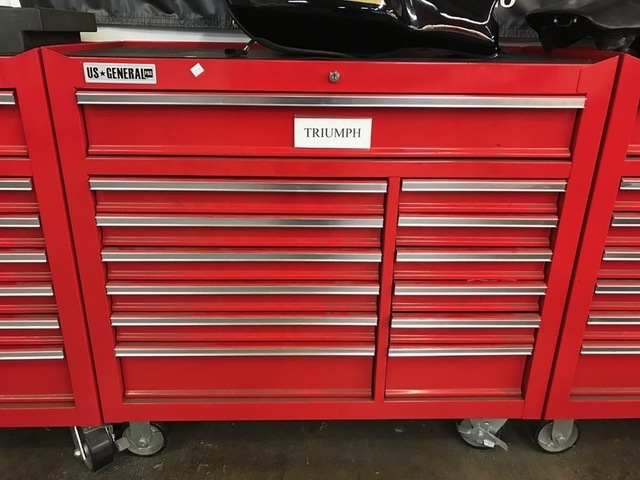 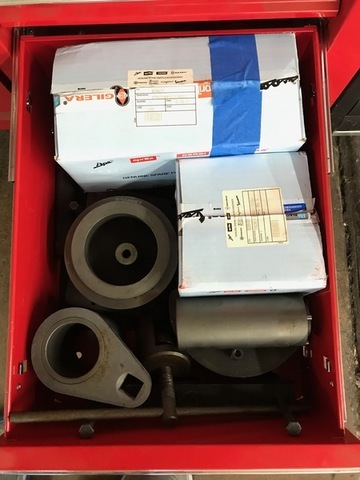 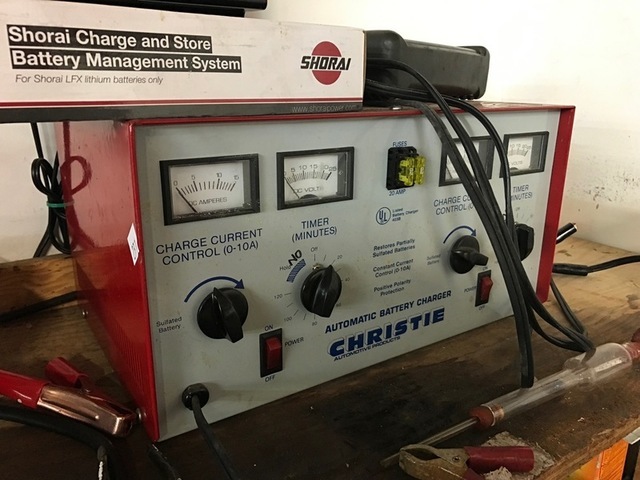 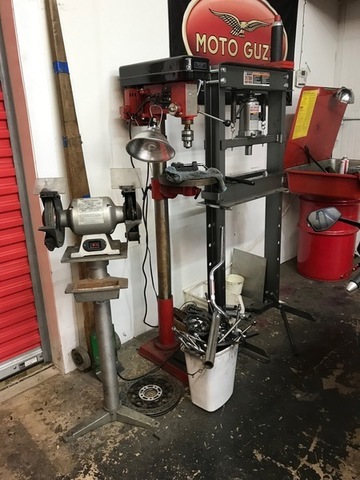 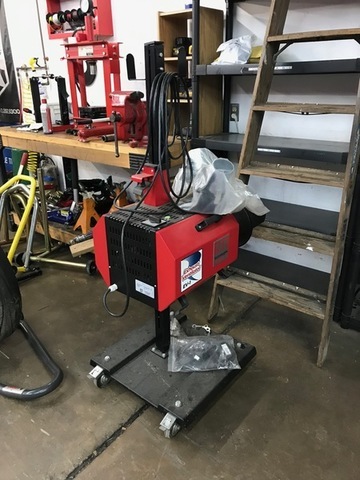 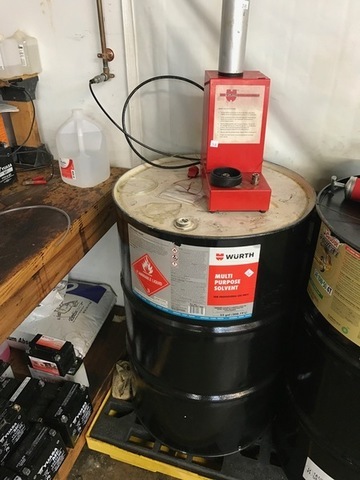 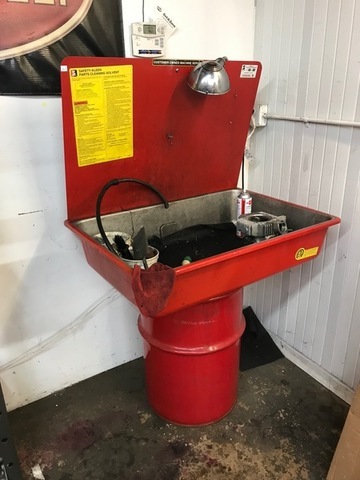 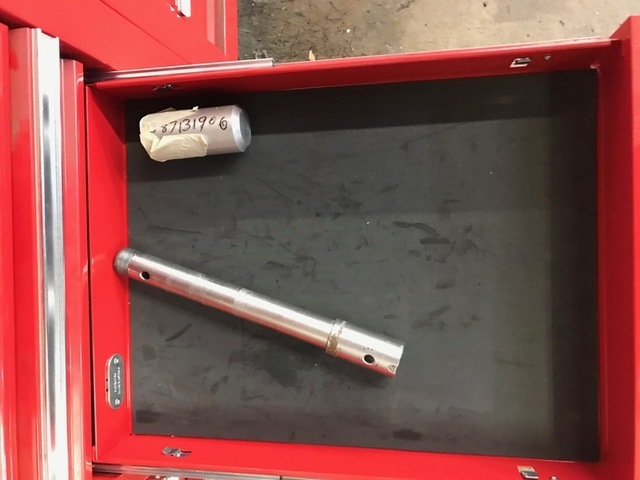 Clark fork lift, US General Pro tool boxes, Snap-On tire changer, Exhaust ventilator, Handy motorcycle lifts, drill press, safety keen station, heavy duty work benches, 30 ton press, Worth parts cabinet. 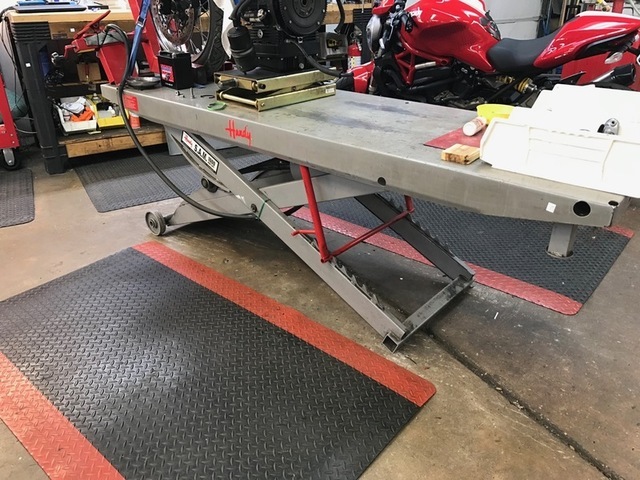 Dynojet Automotive Dynamometer for tuning and measuring horsepower with compatible DELL computer, The Eddy model, higher end of their two models, allows user to apply head wind, down hill and up hill conditions for exact tuning. 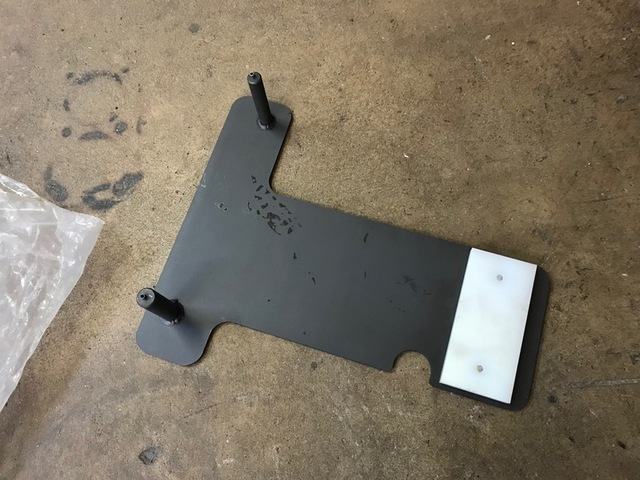 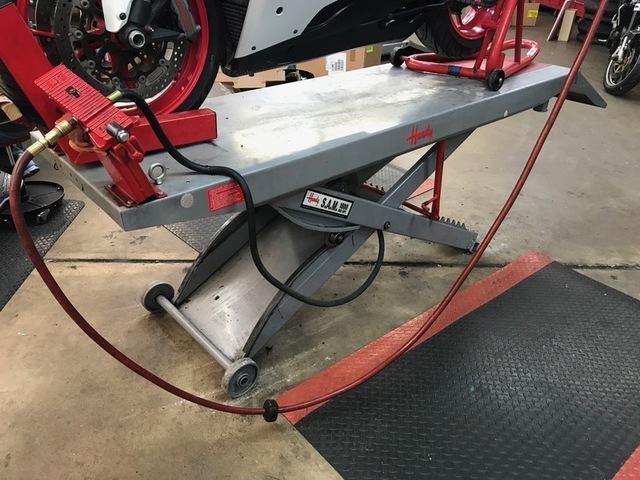 You can add resistance to rear wheel and can hold the bike at a certain load or RPM, measures horse power and diagnostics. 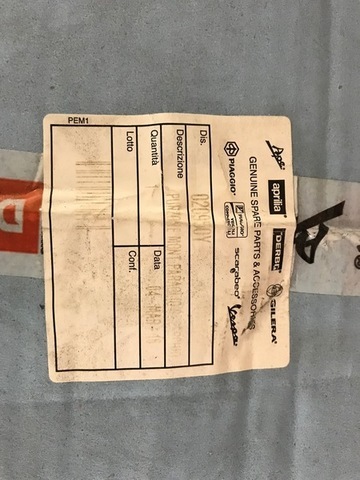 The DELL computer has minimal hours on it. 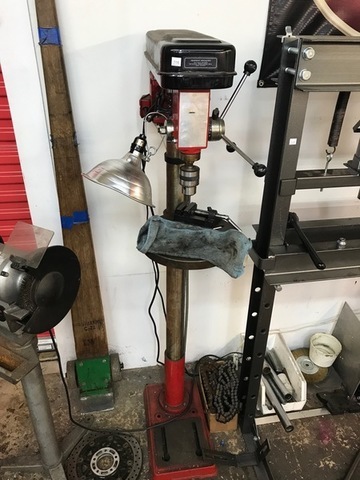 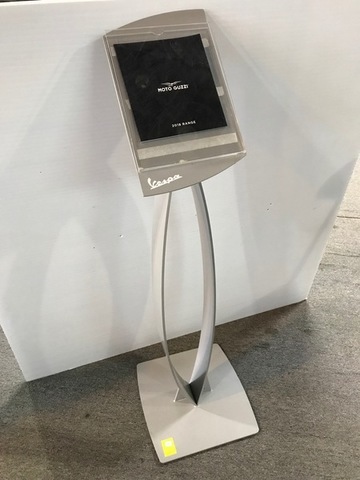 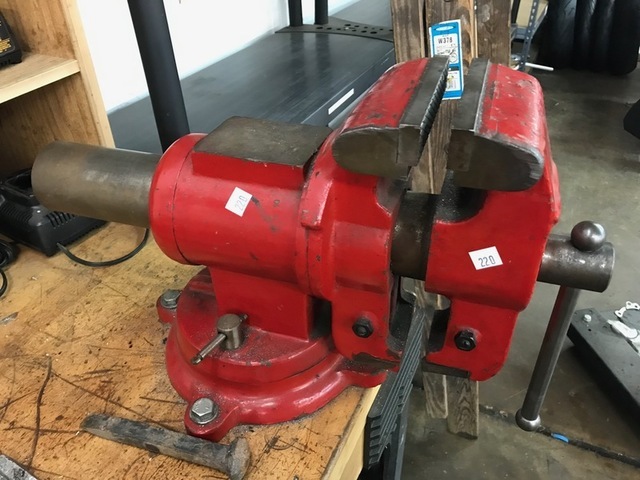 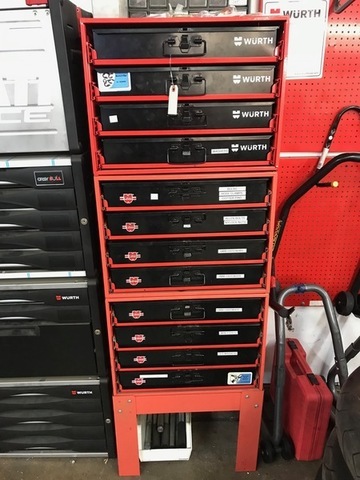 Retails for $35,000. 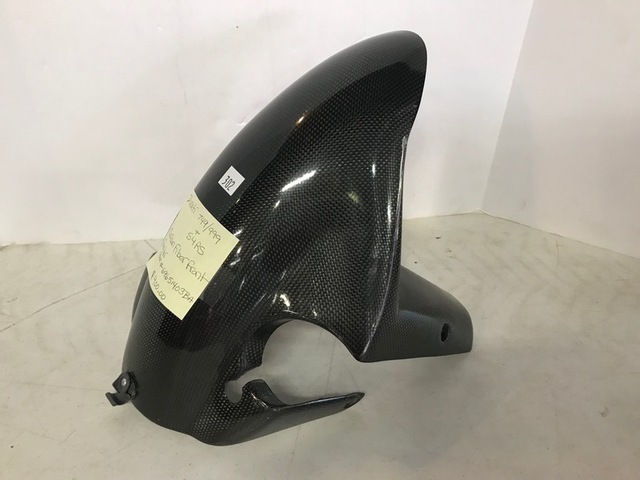 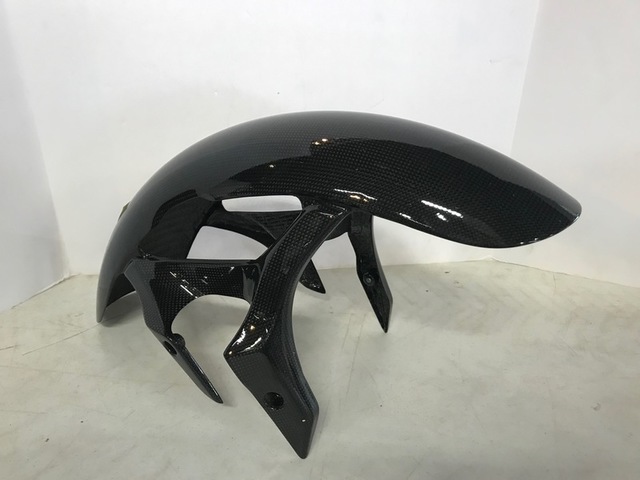 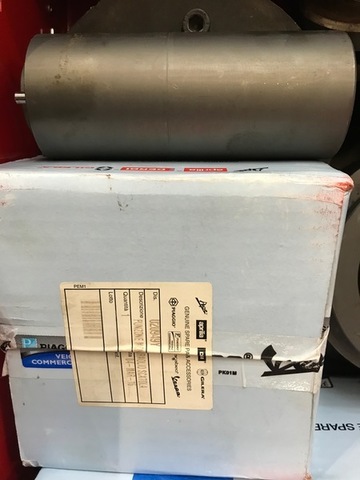 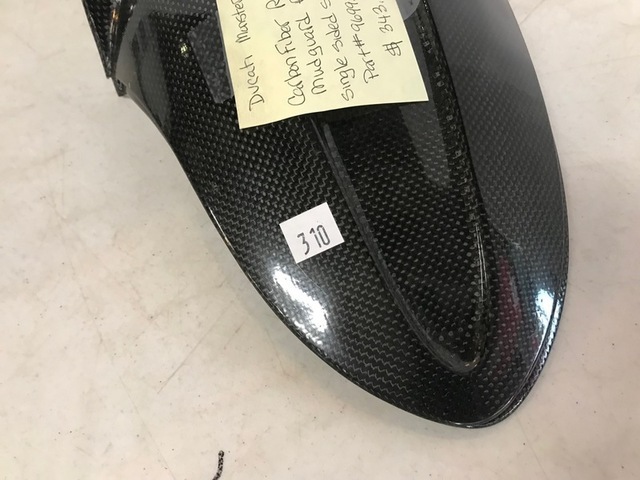 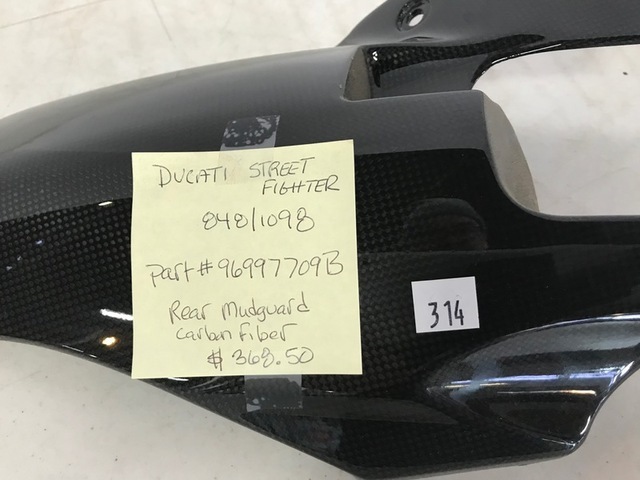 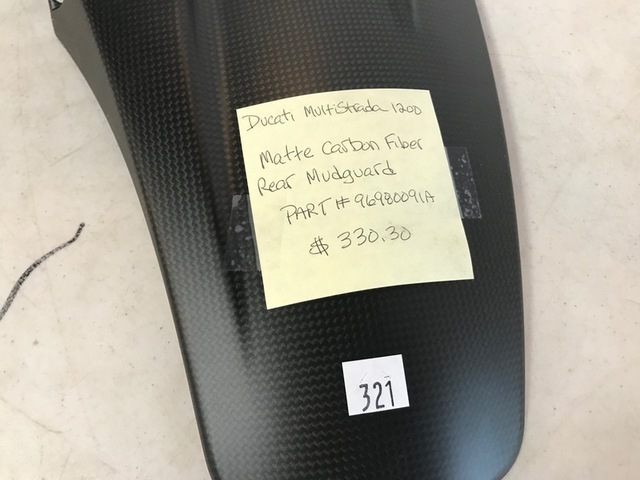 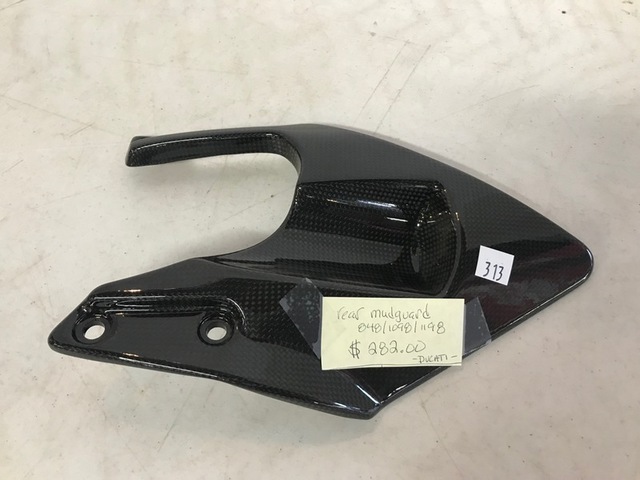 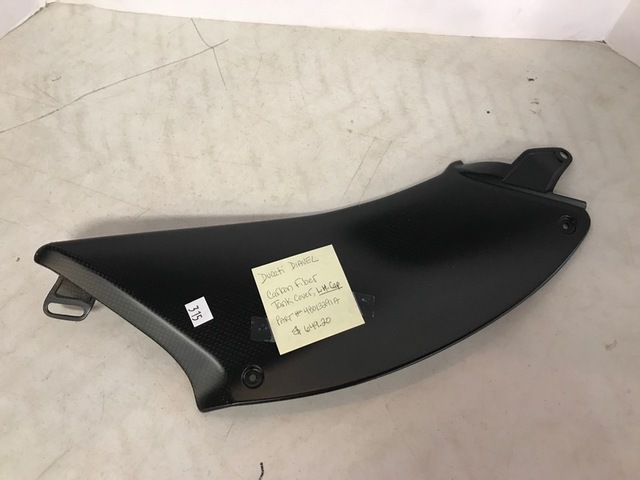 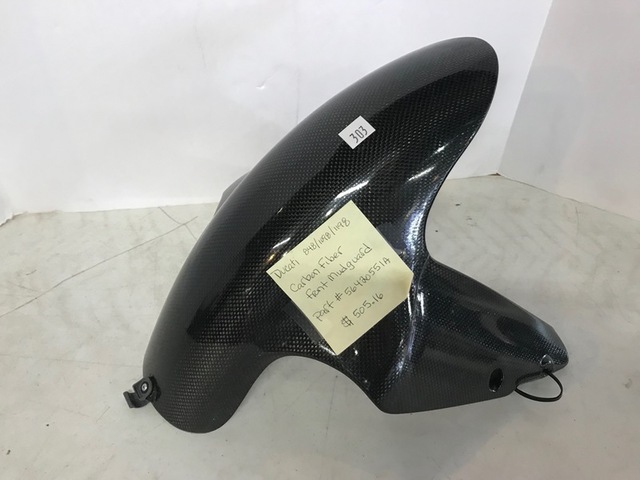 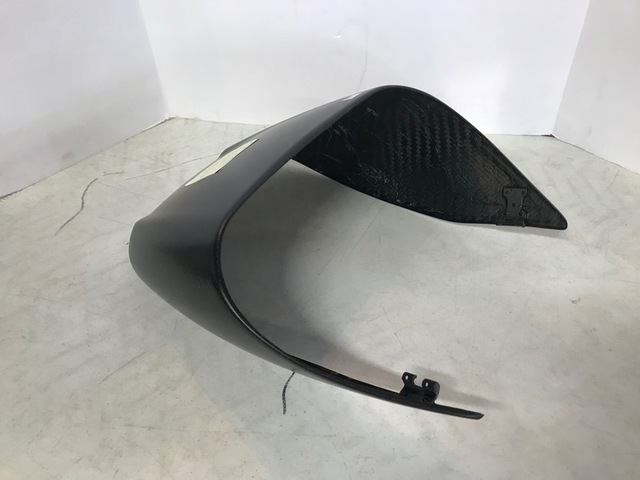 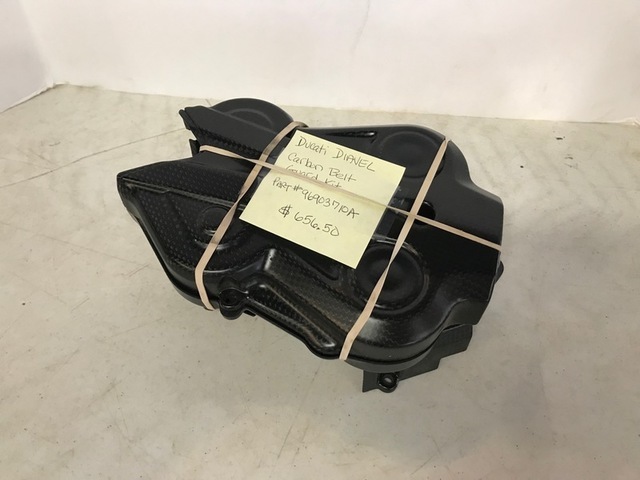 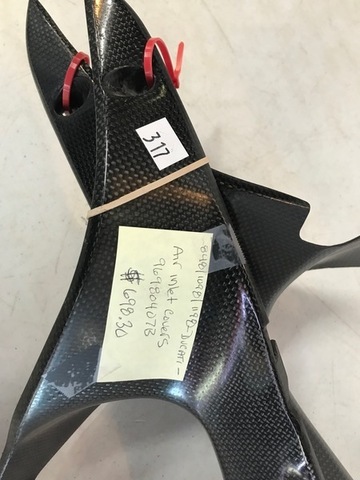 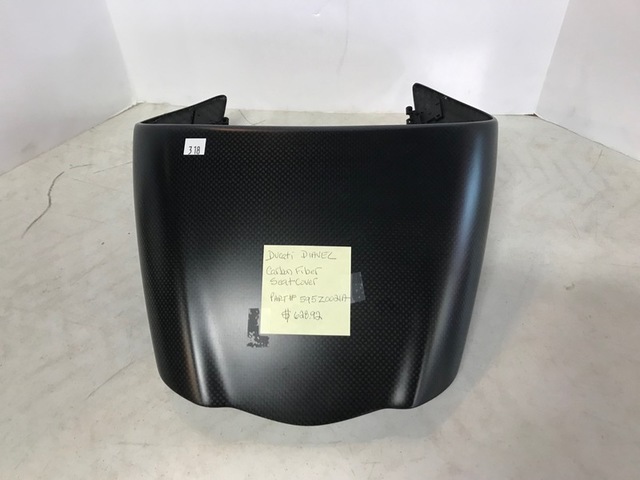 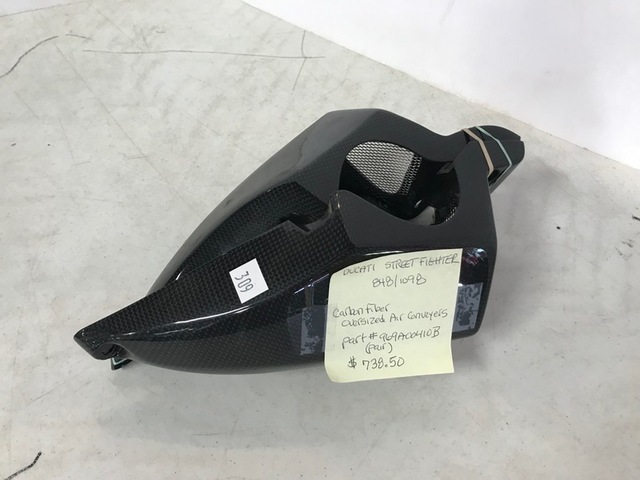 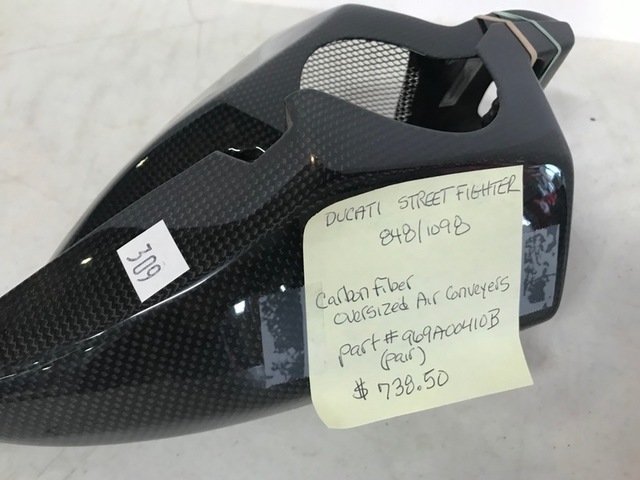 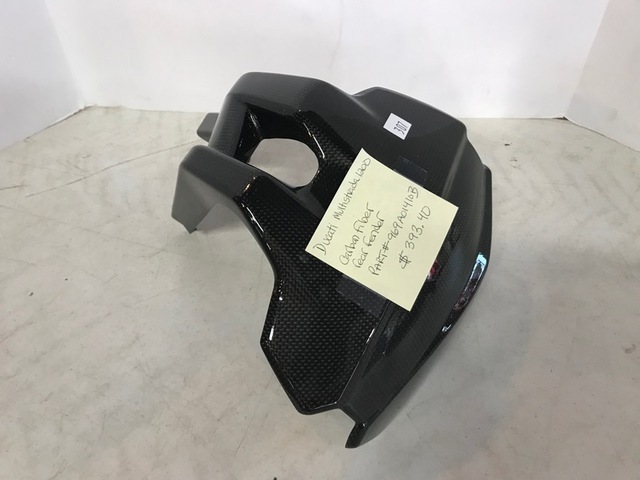 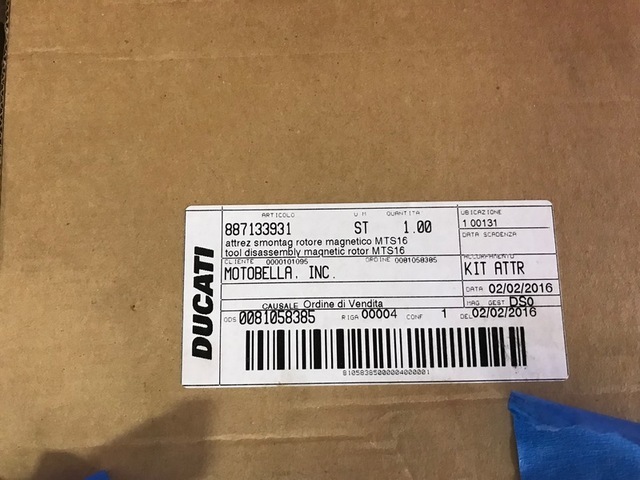 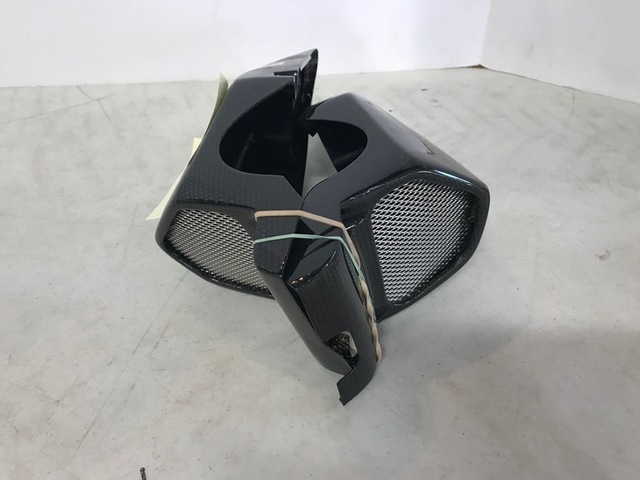 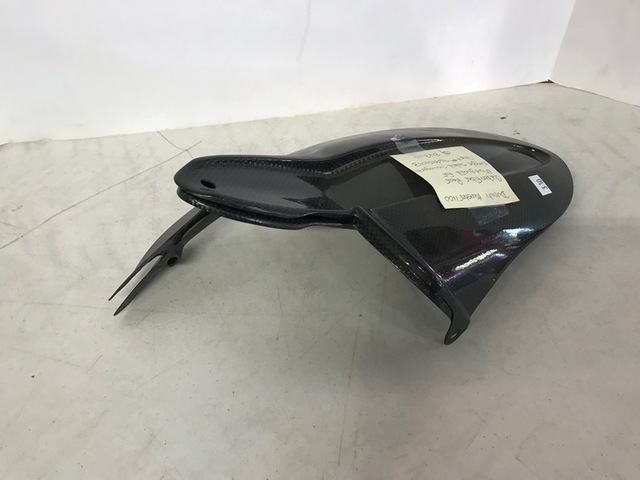 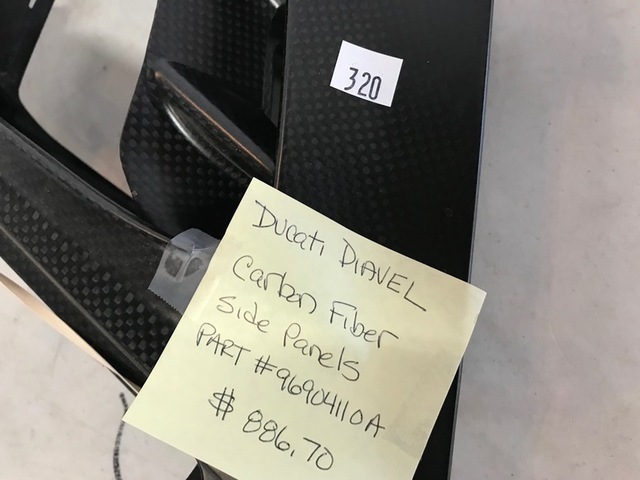 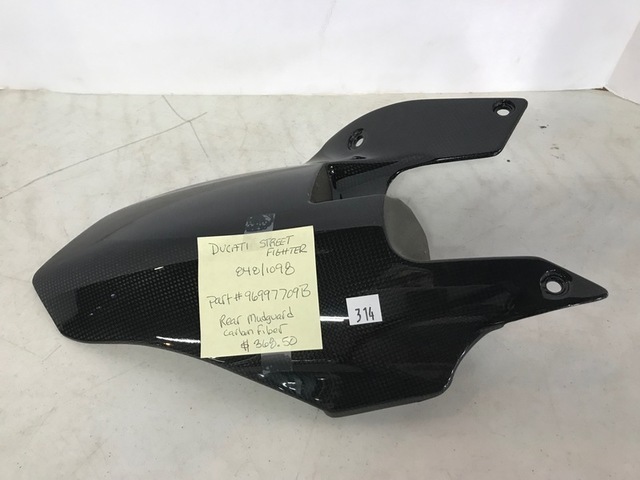 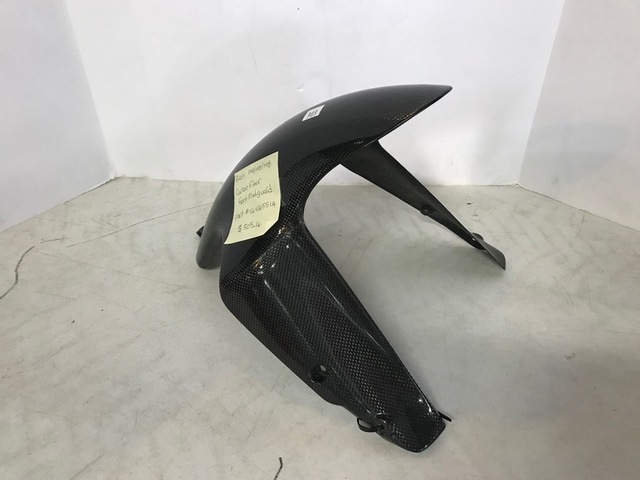 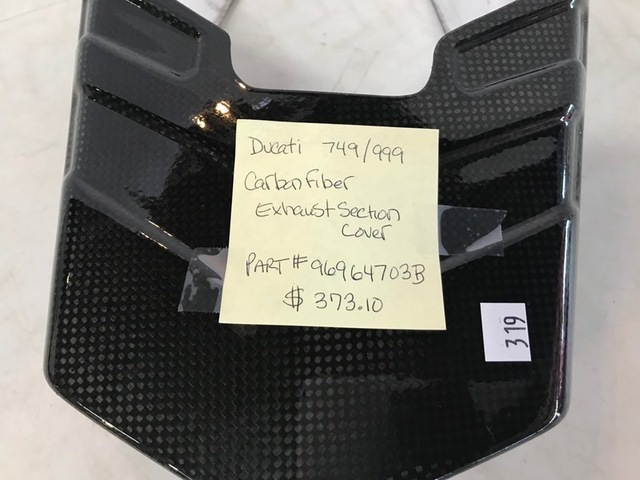 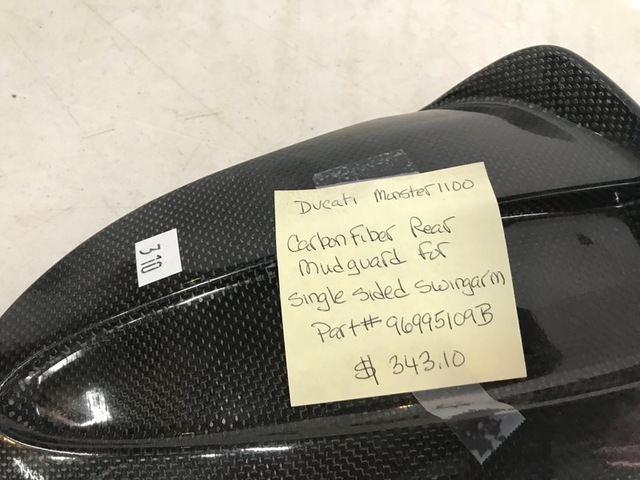 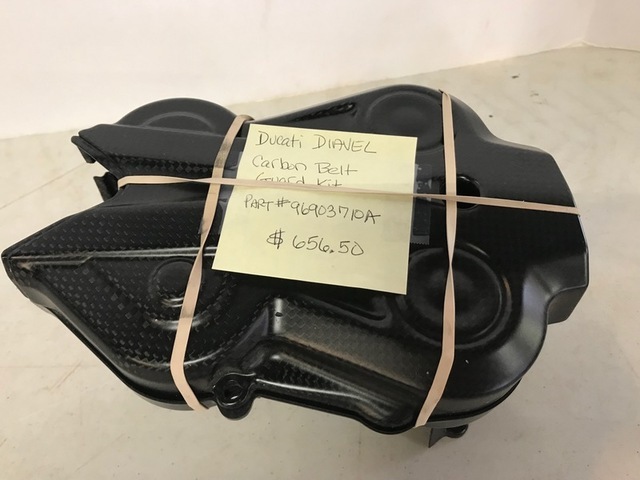 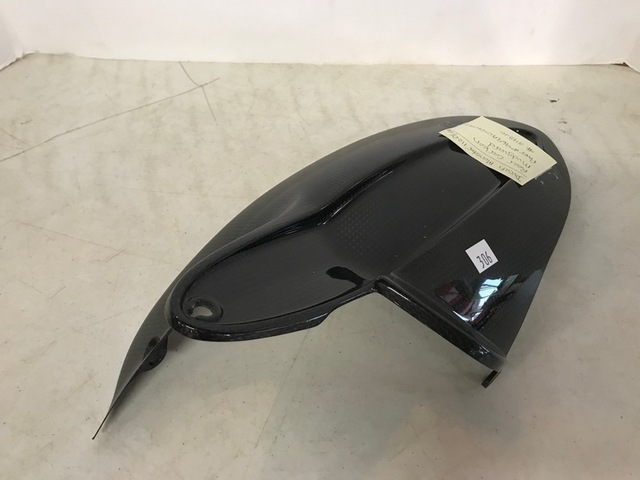 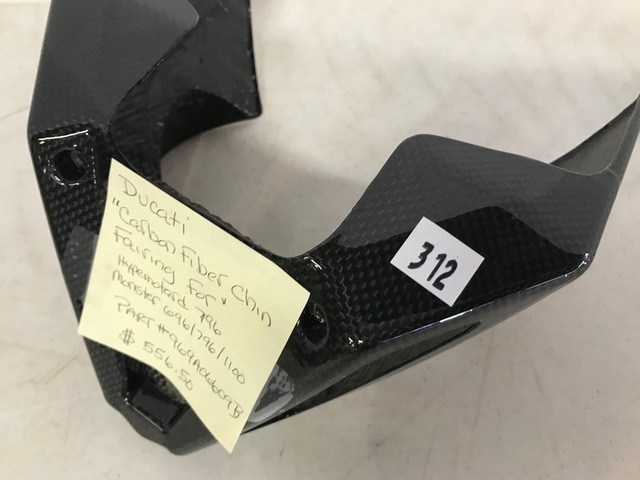 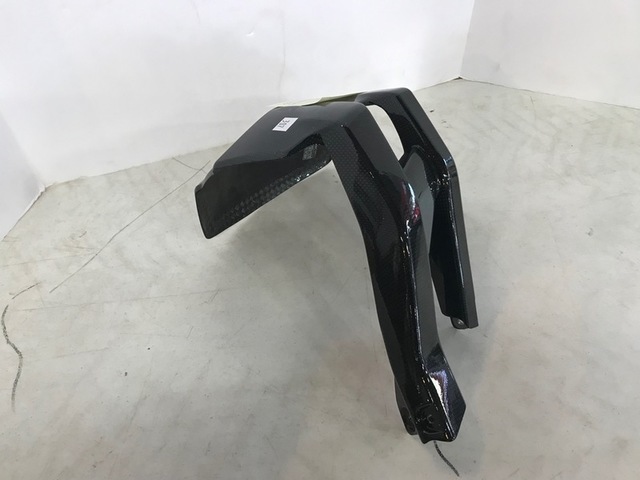 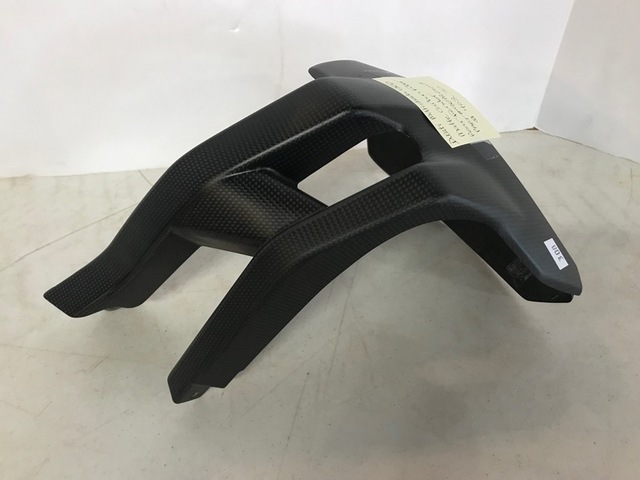 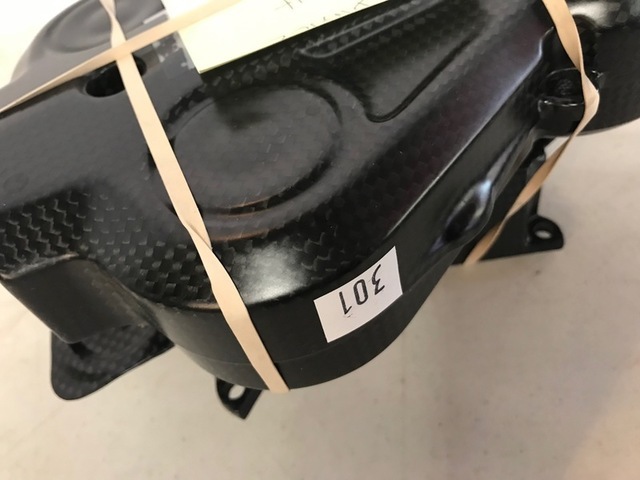 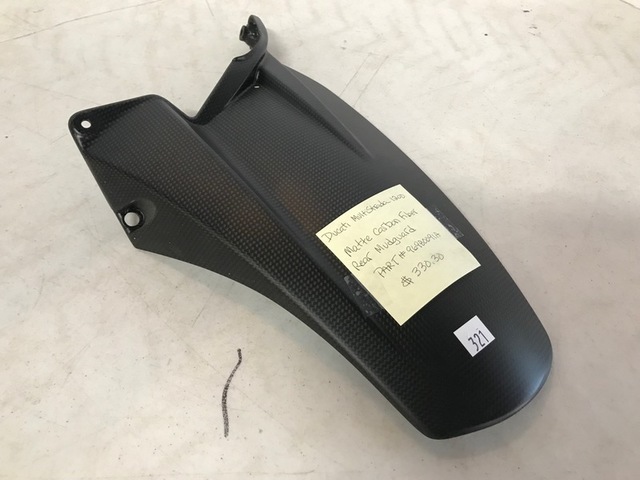 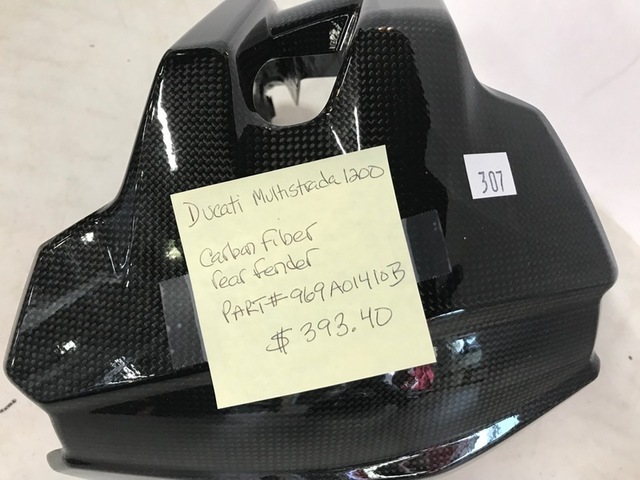 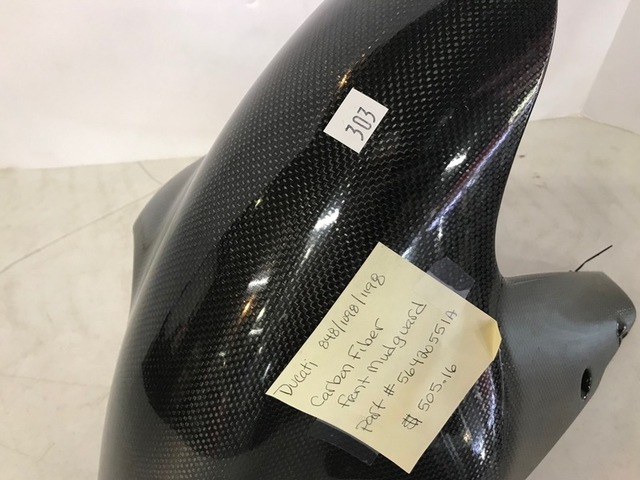 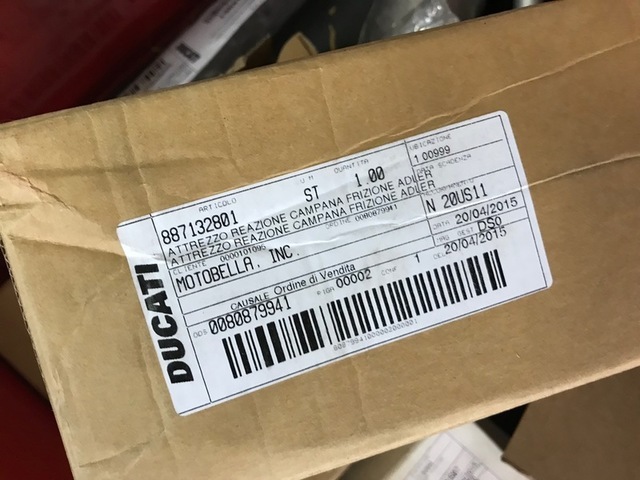 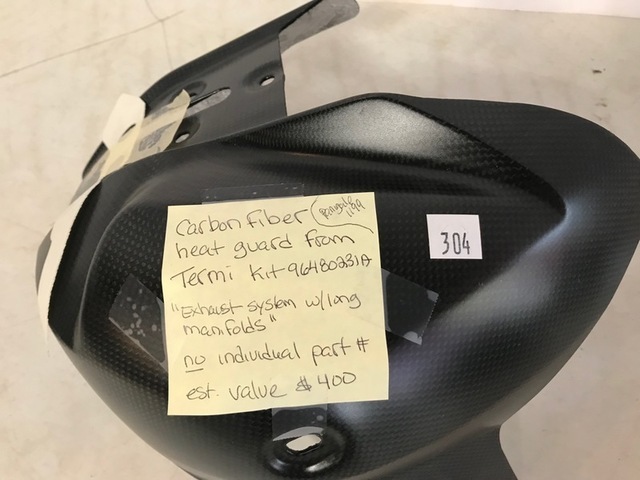 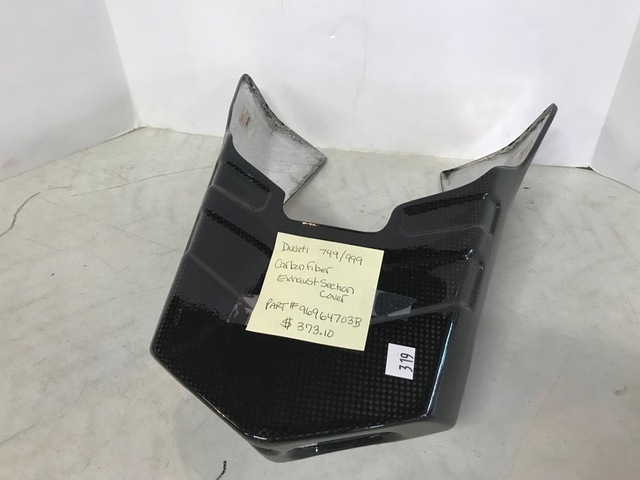 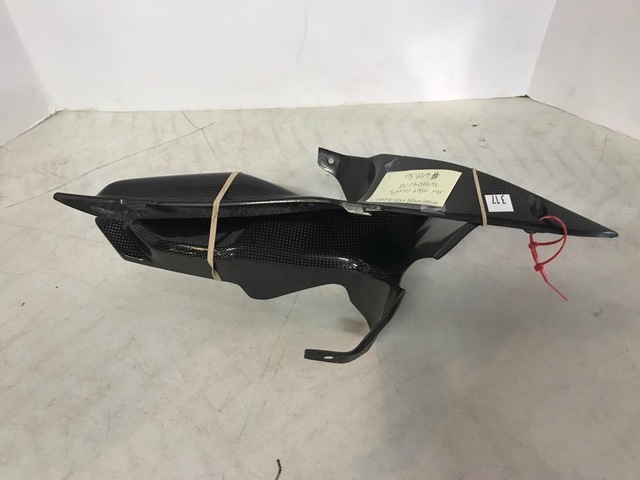 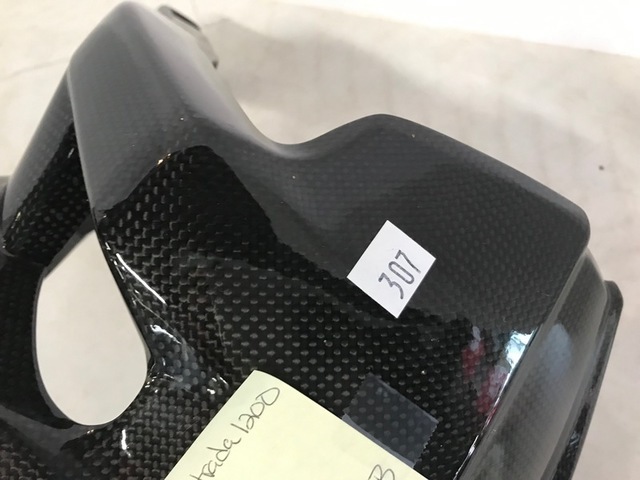 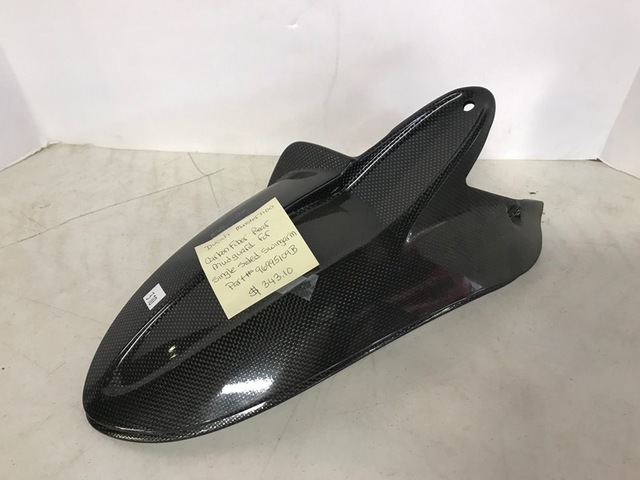 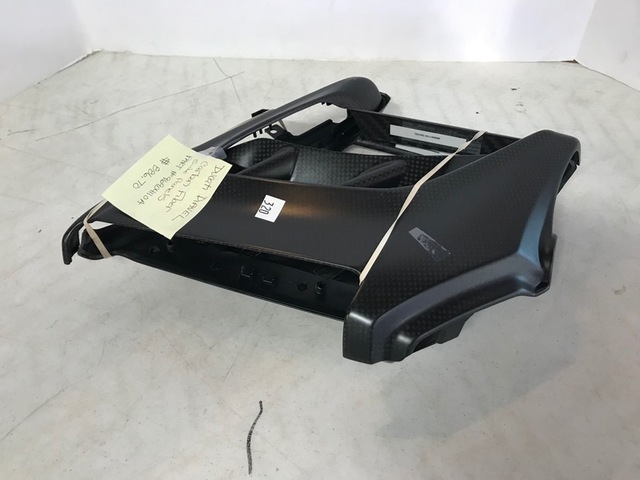 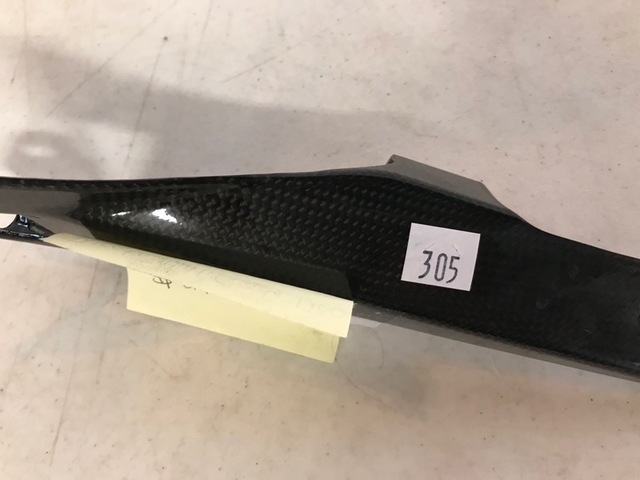 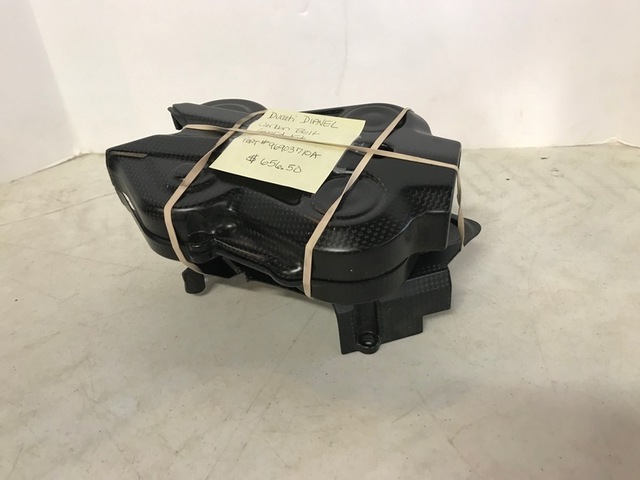 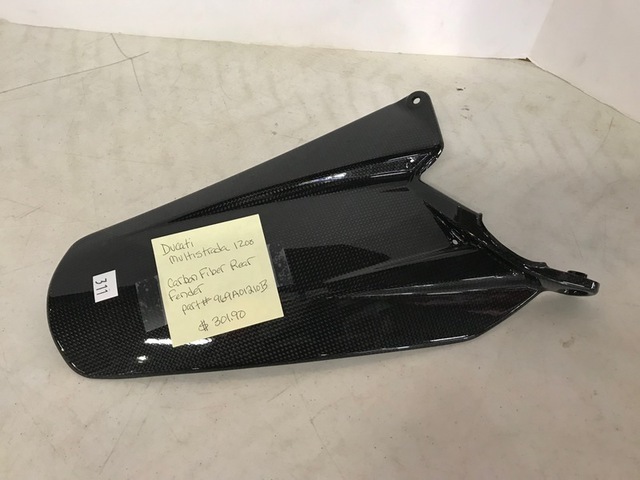 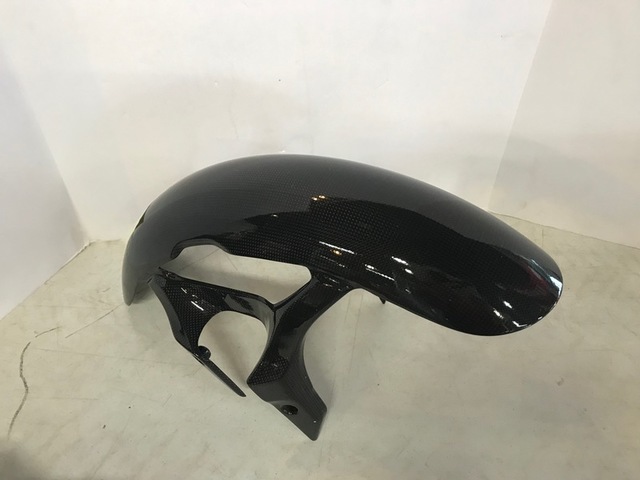 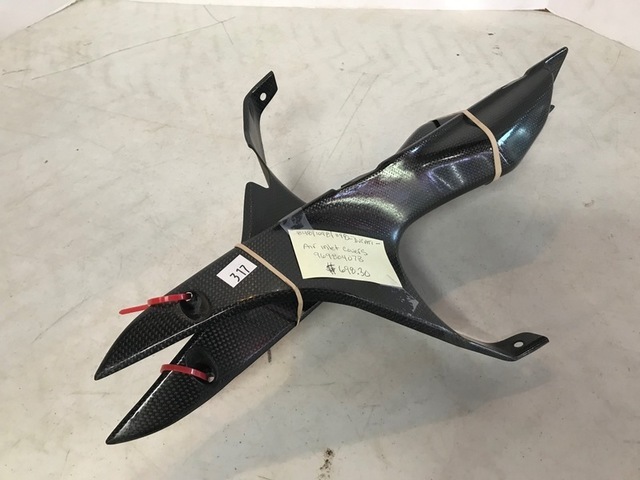 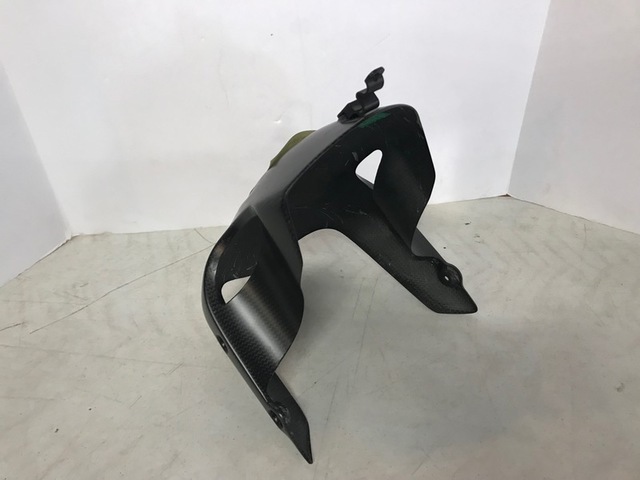 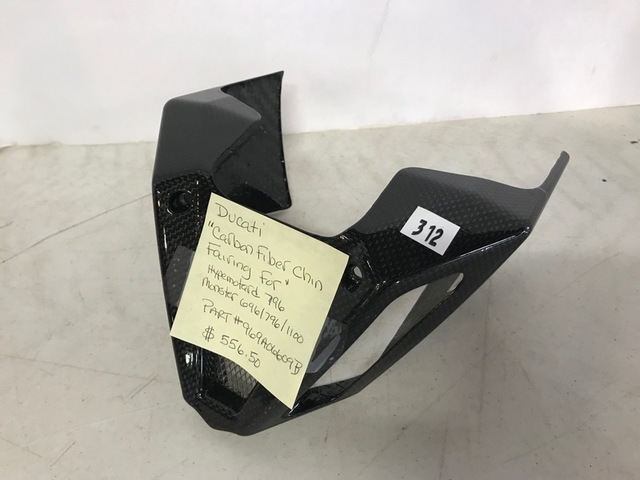 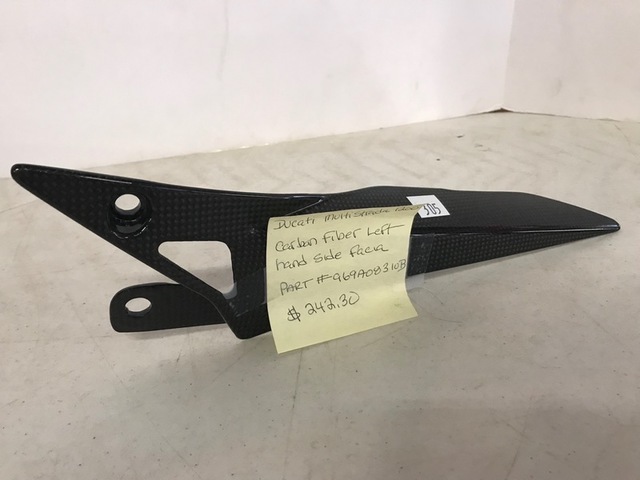 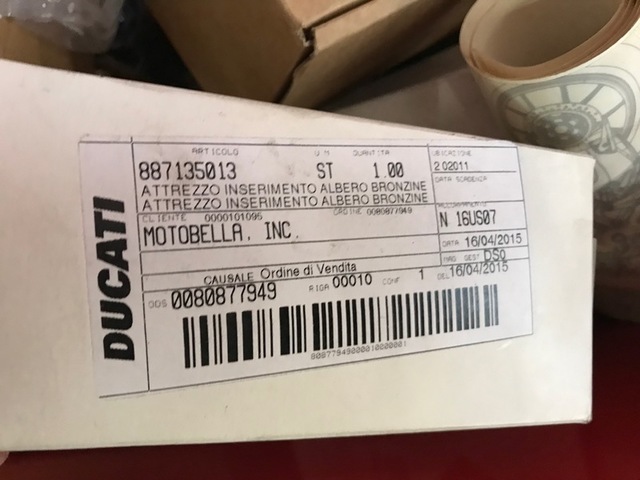 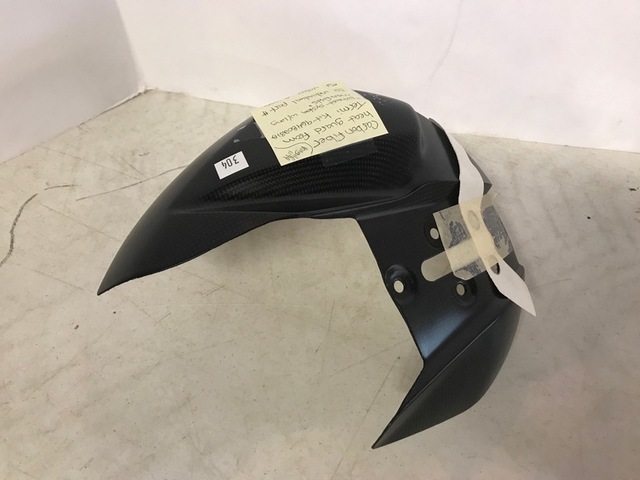 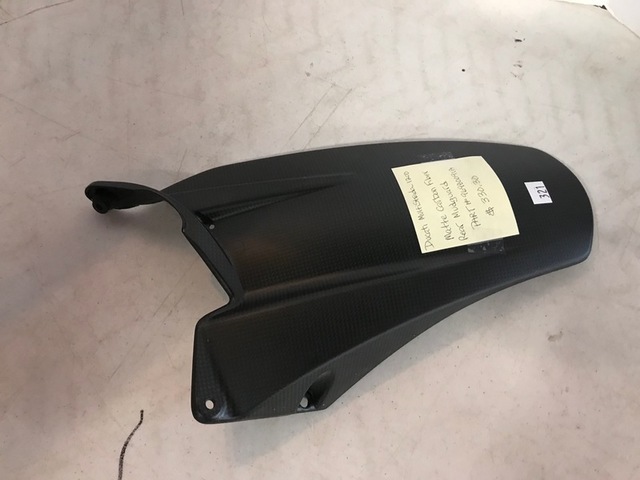 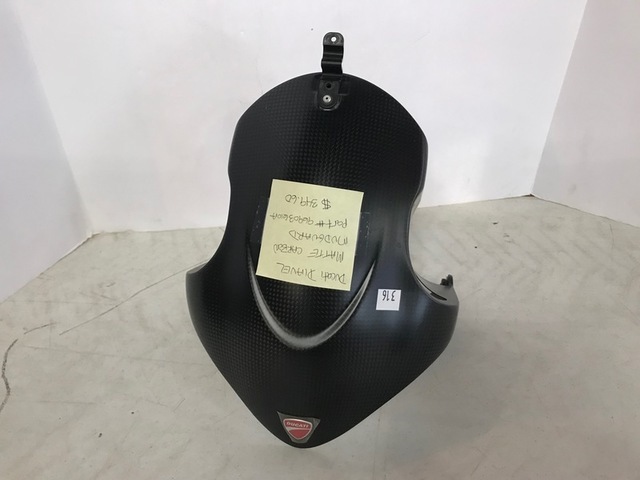 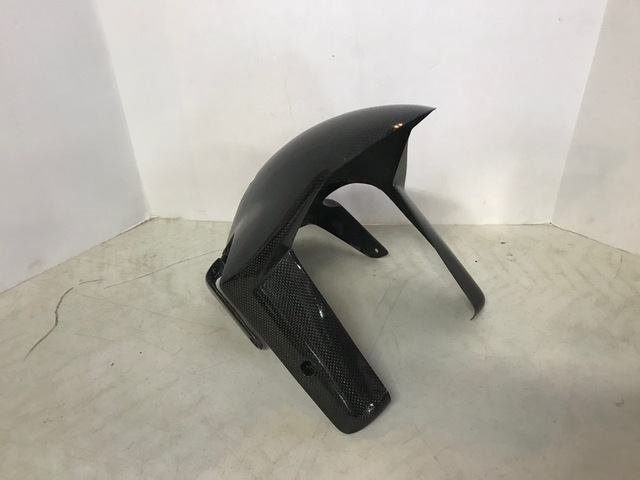 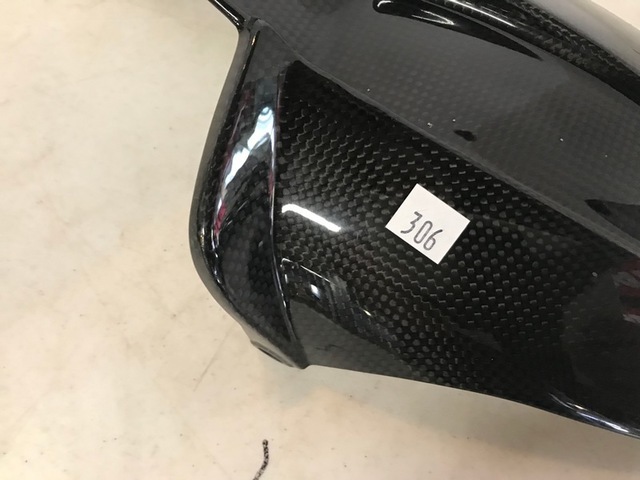 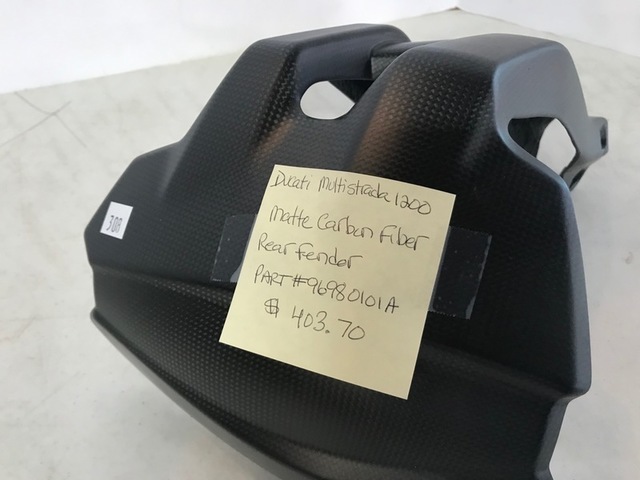 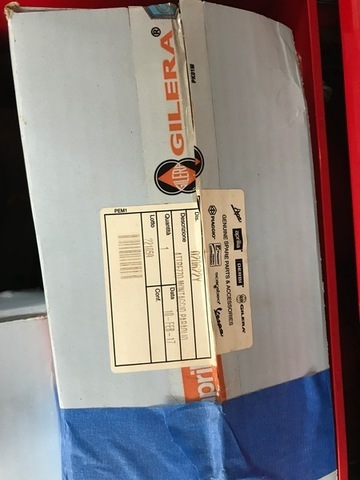 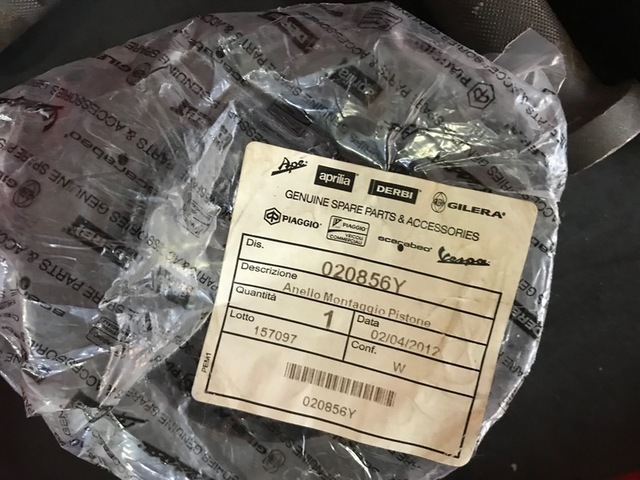 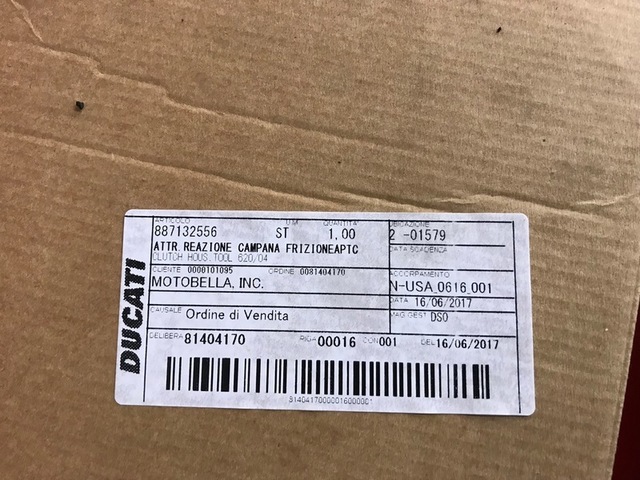 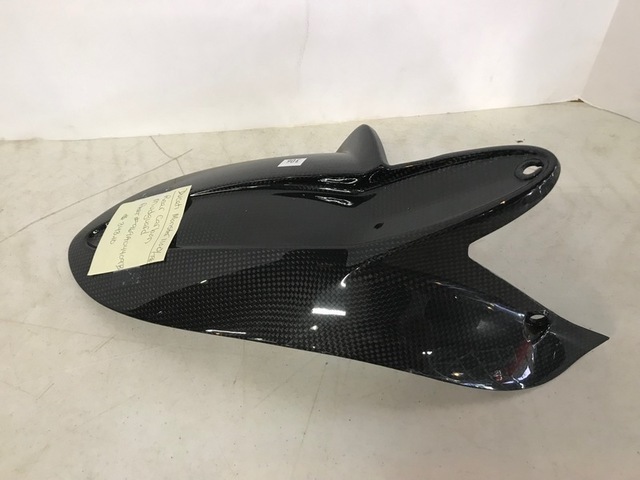 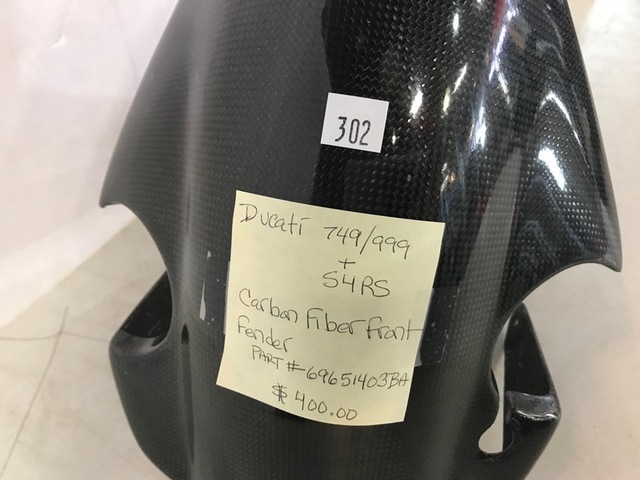 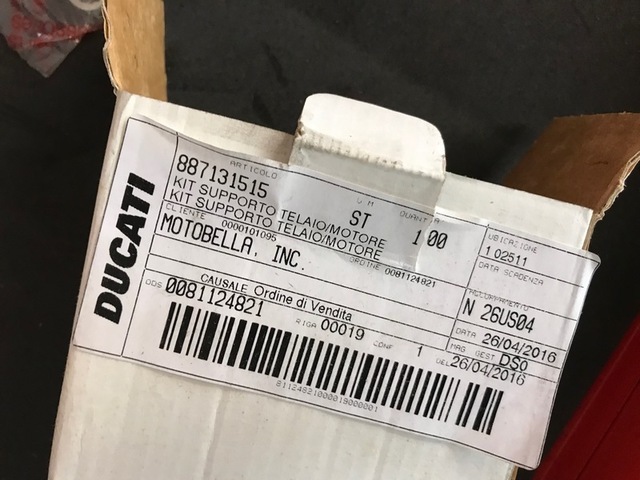 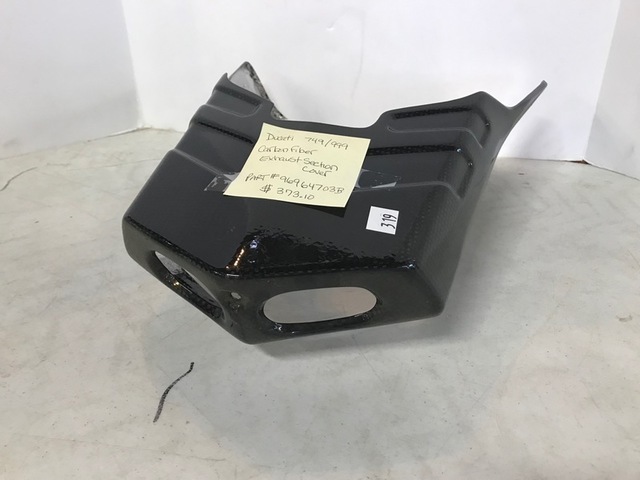 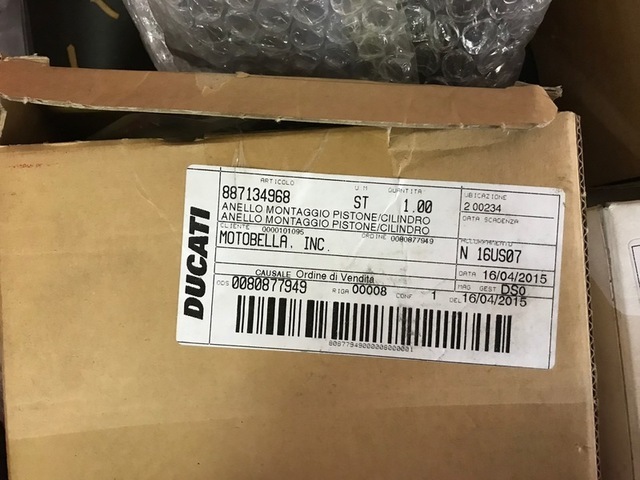 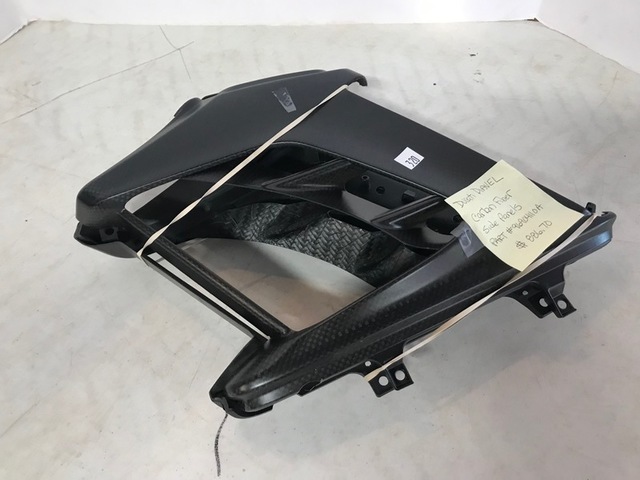 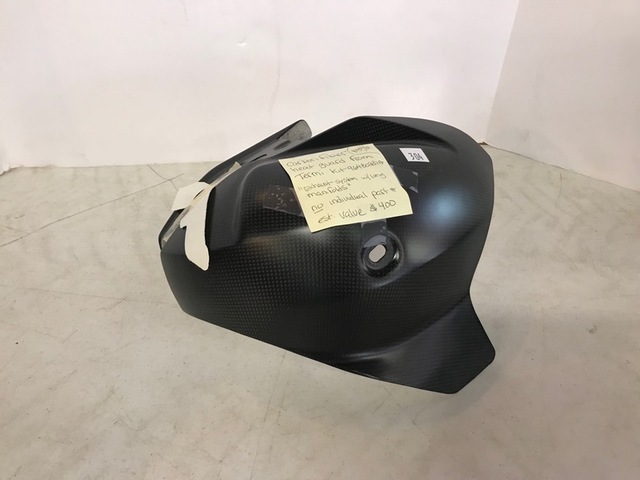 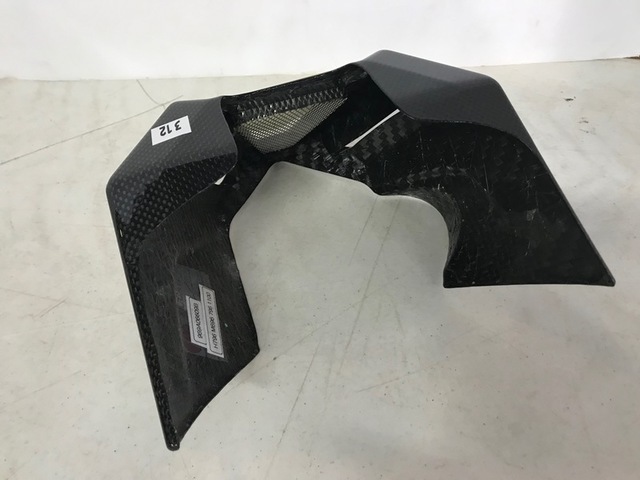 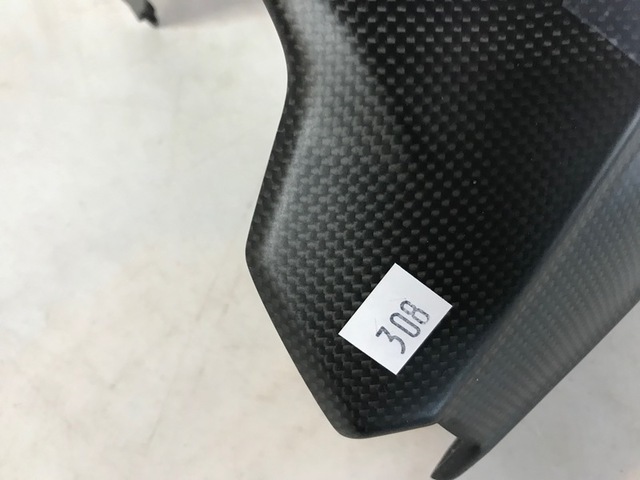 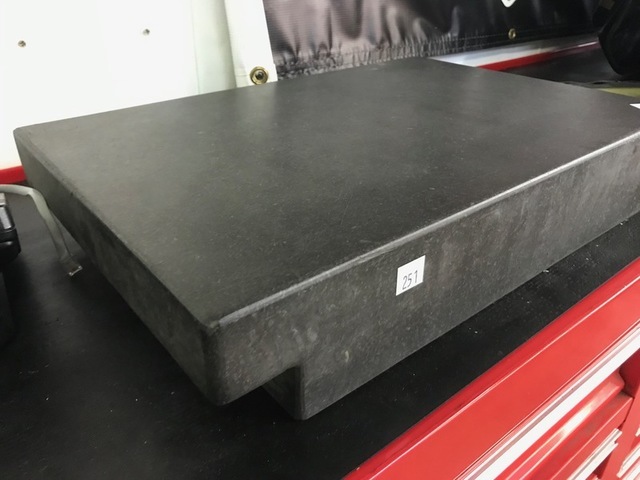 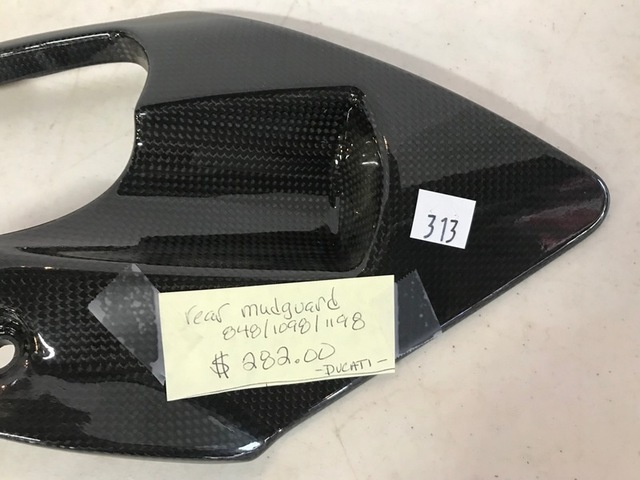 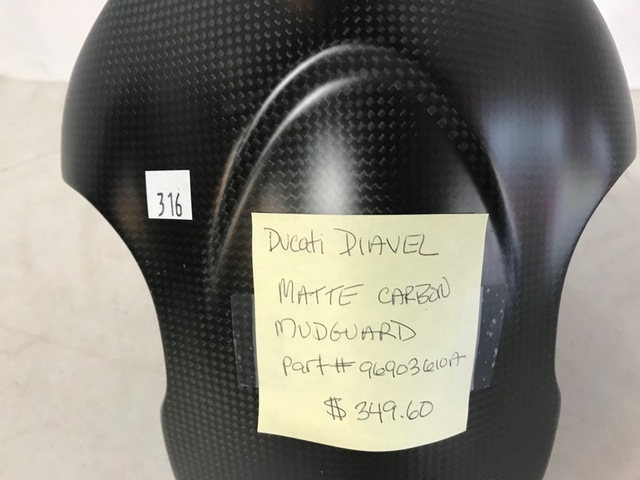 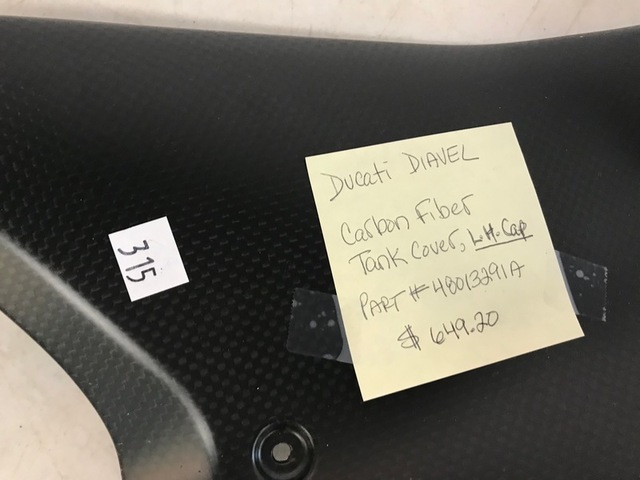 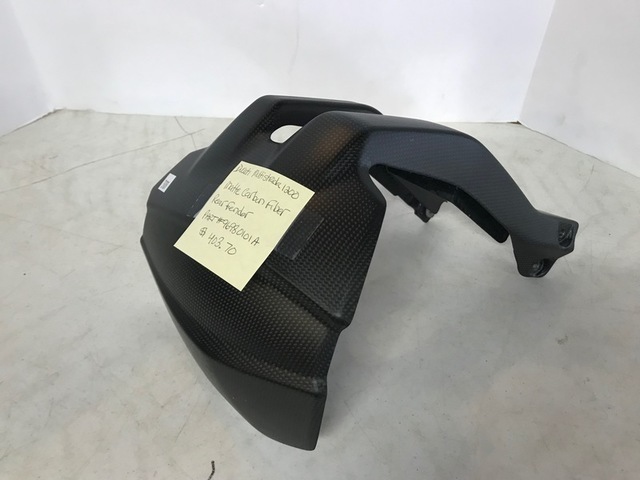 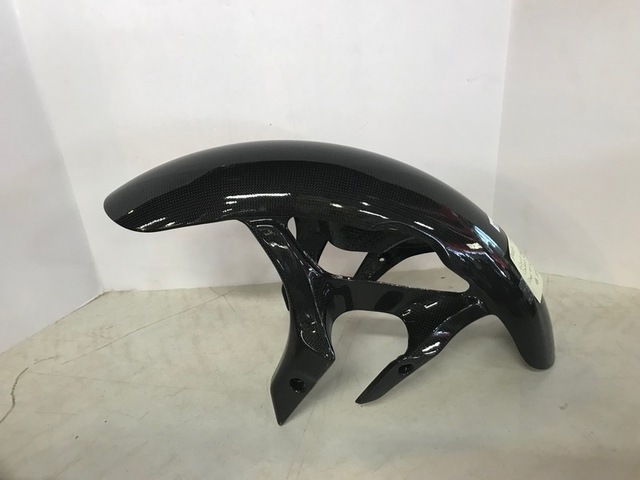 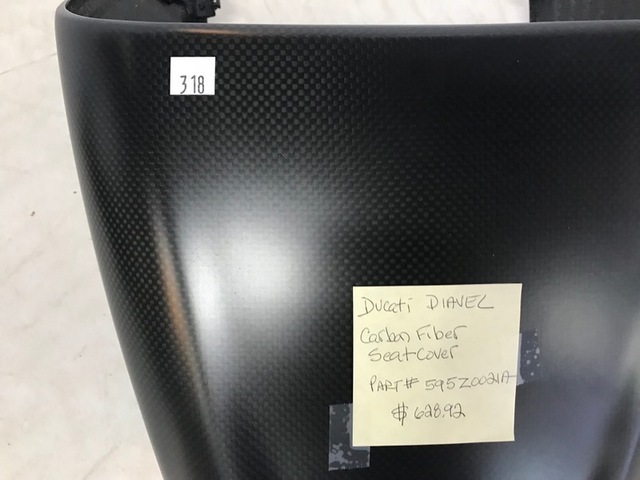 Ducati carbon fiber body parts & new in boxes Ducati parts. 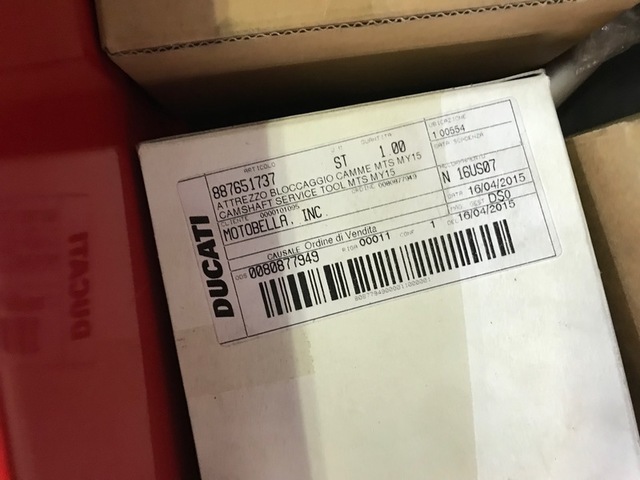 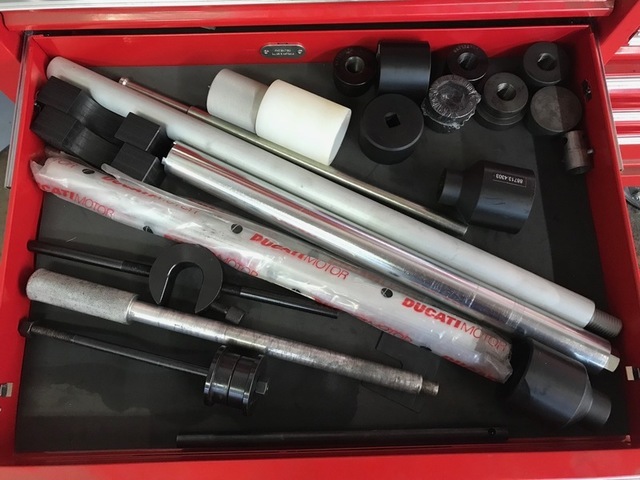 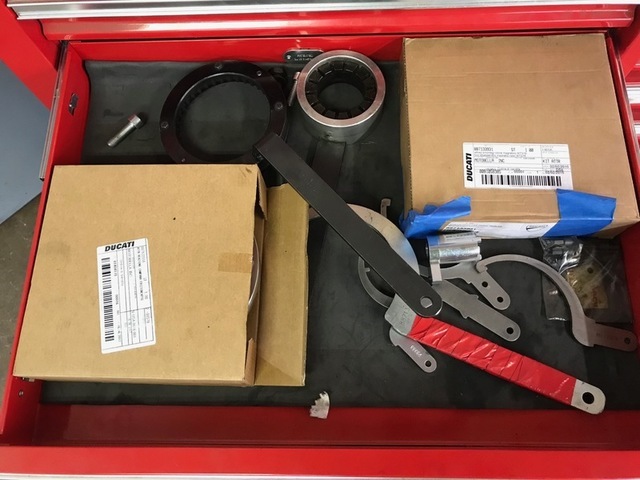 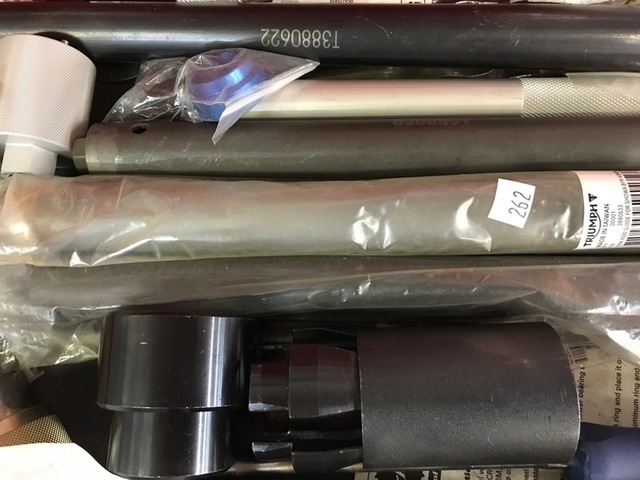 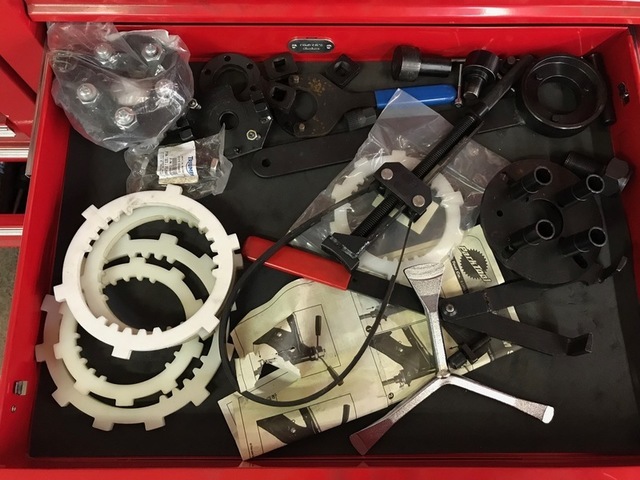 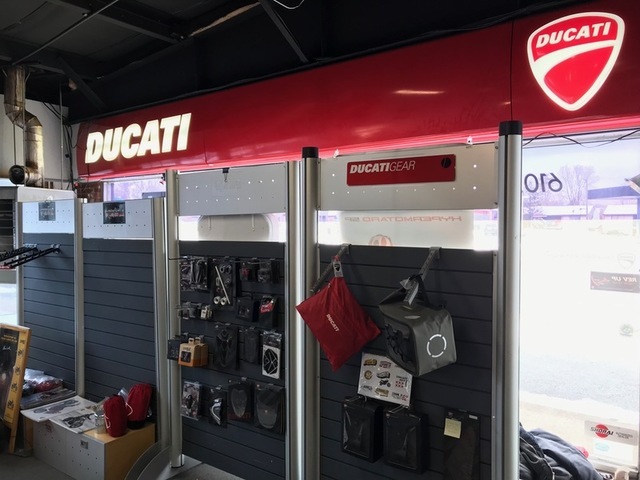 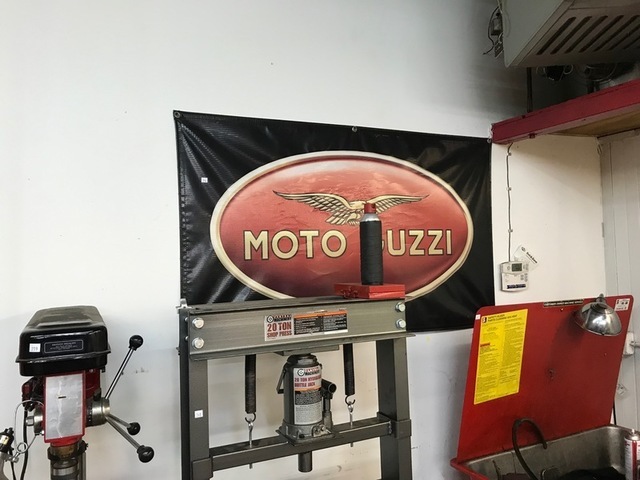 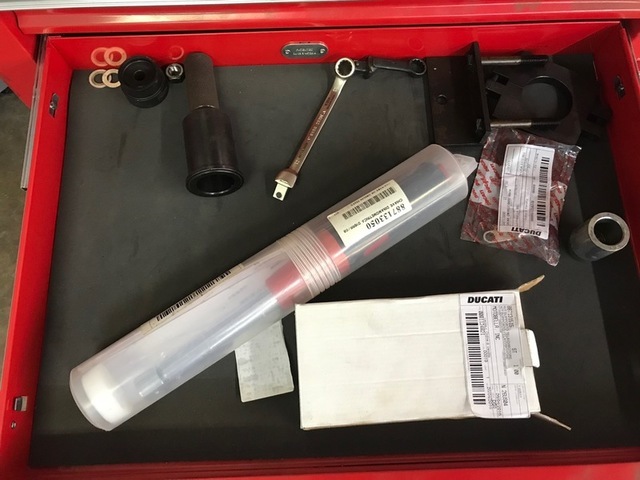 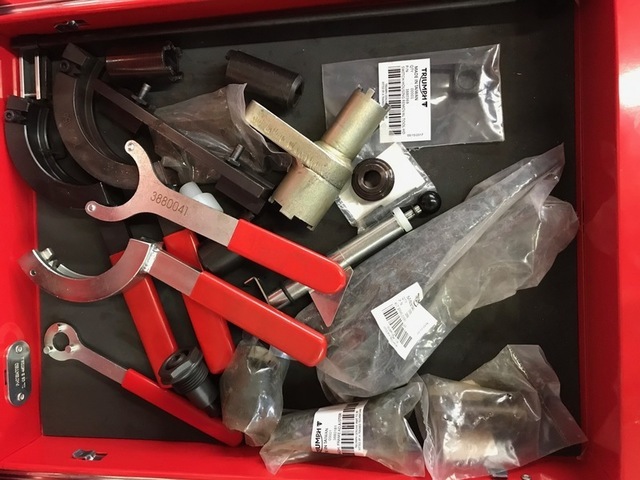 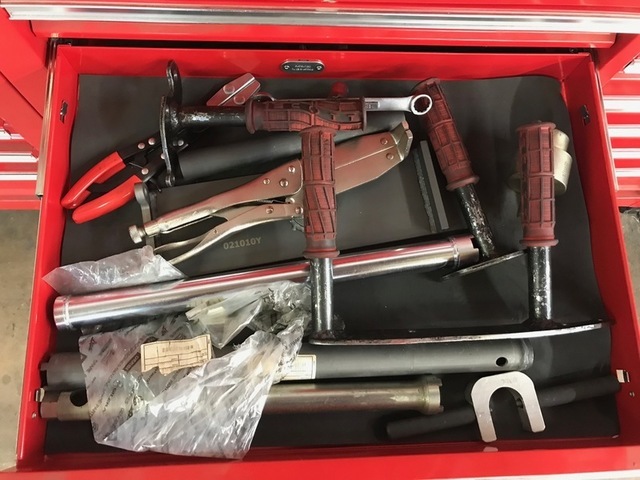 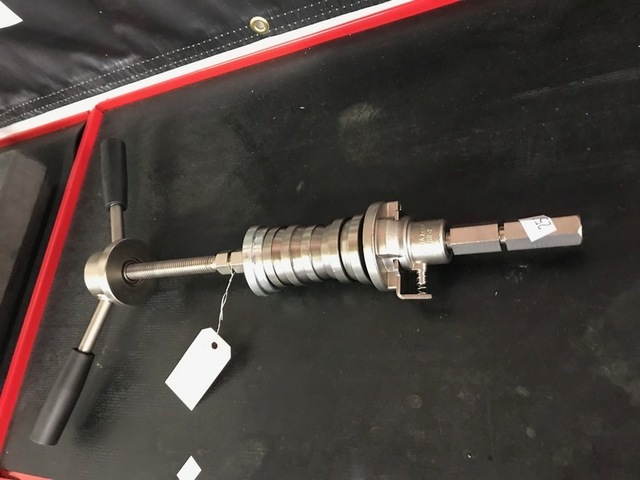 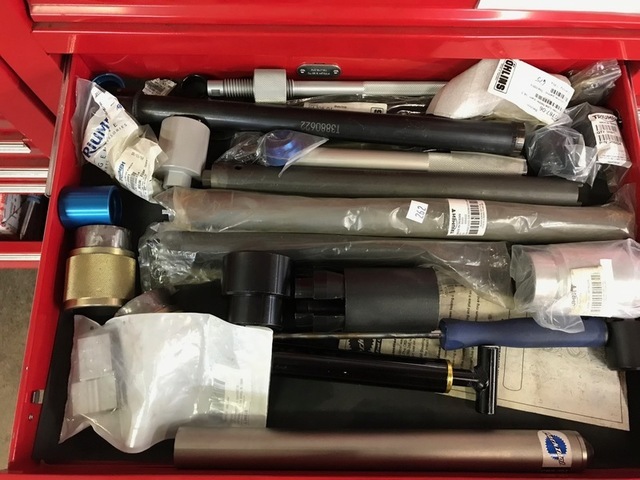 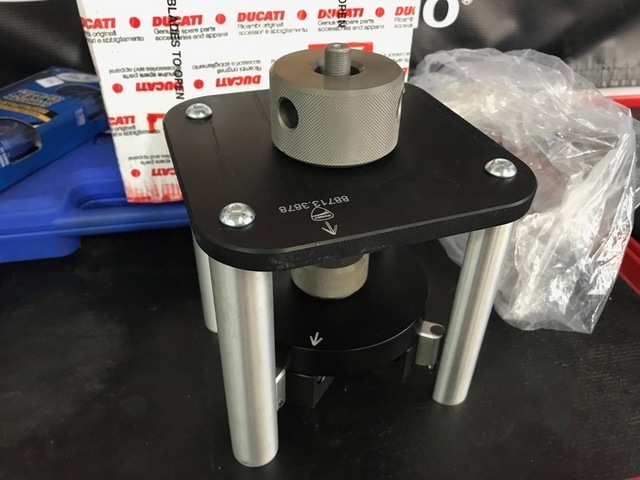 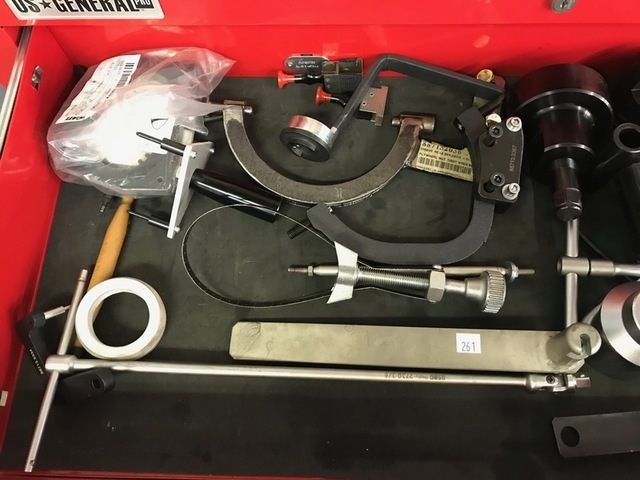 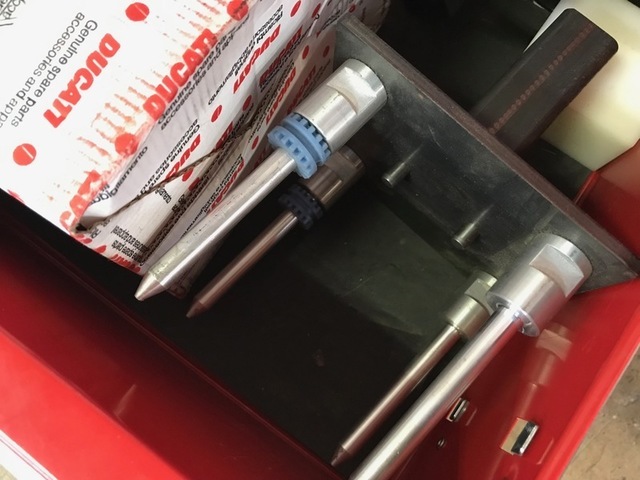 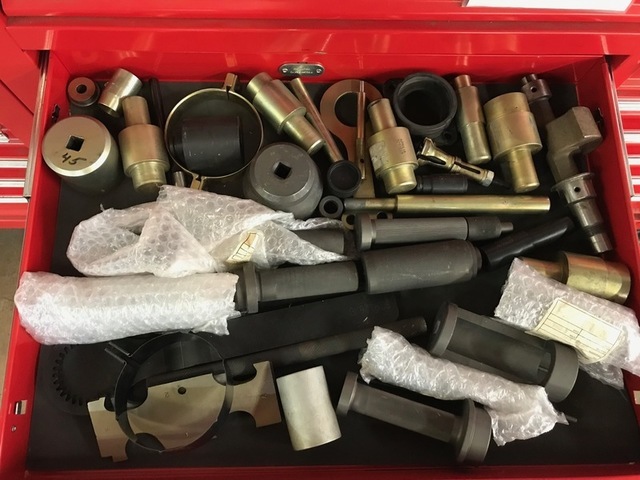 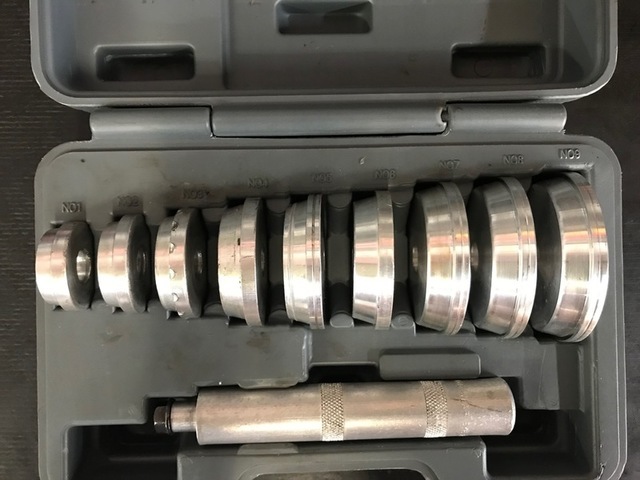 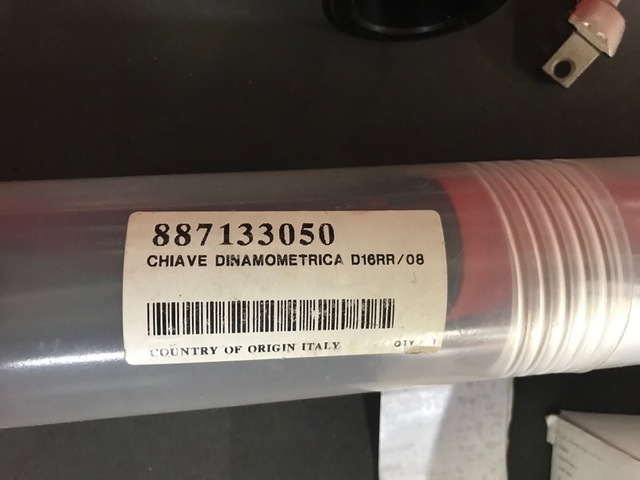 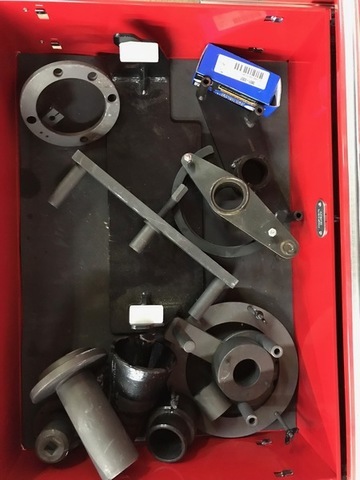 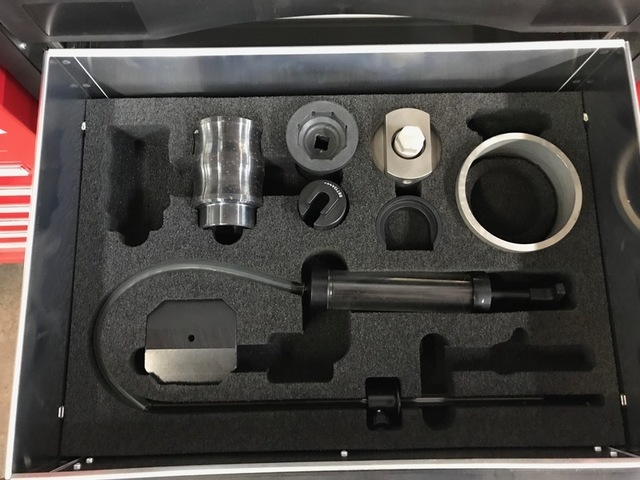 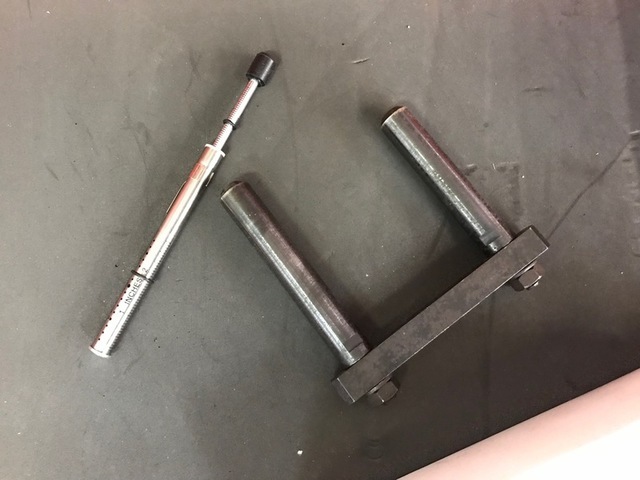 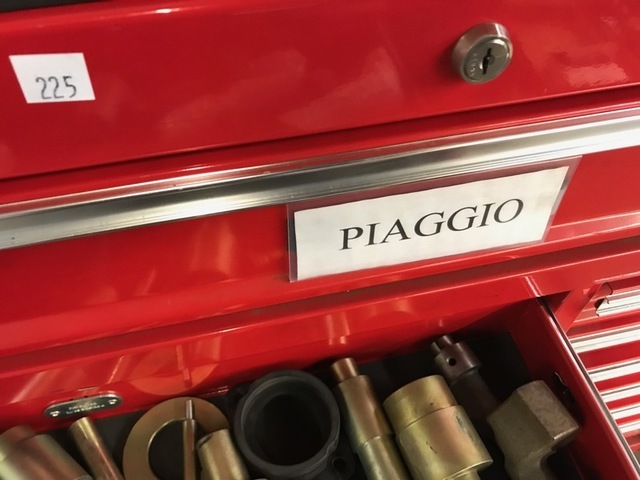 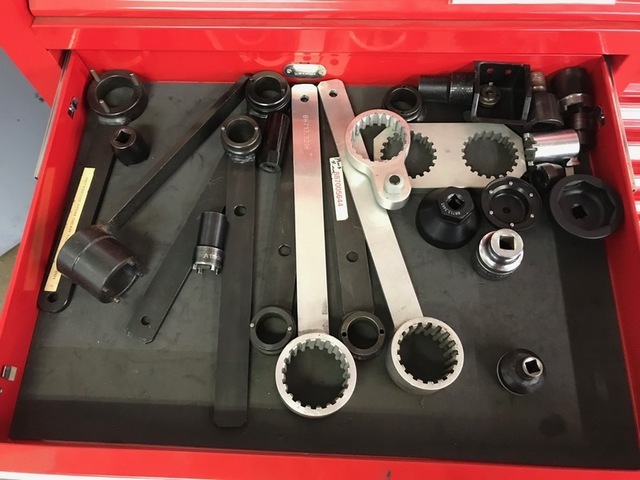 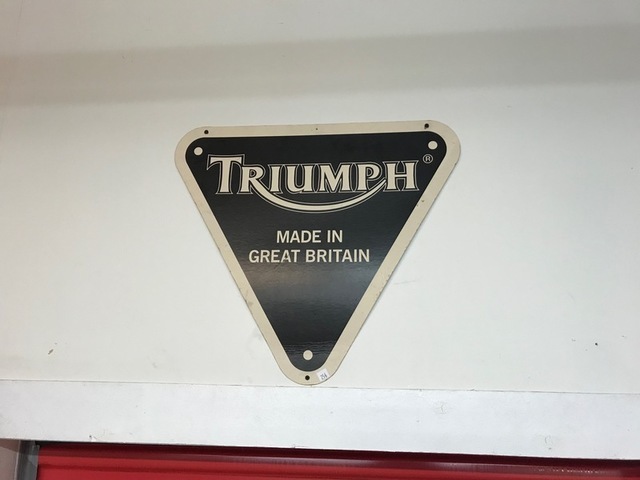 Specialty tools for Ducati, Triumph & Piaggio. 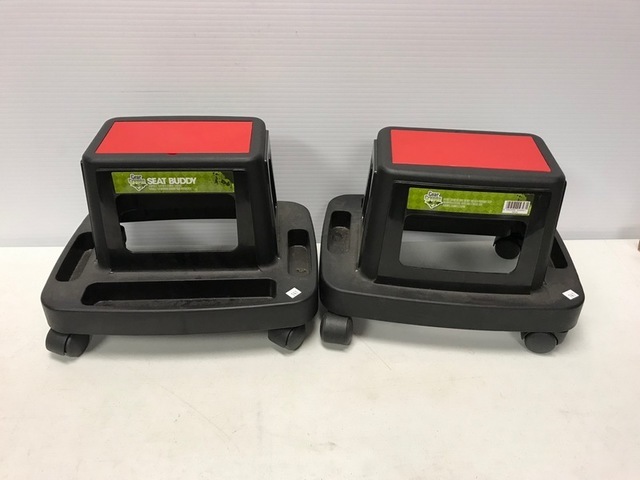 2 Mini-Coopers (2003 & 2005) with salvage titles, green car needs a motor, red car has minor front end damage. 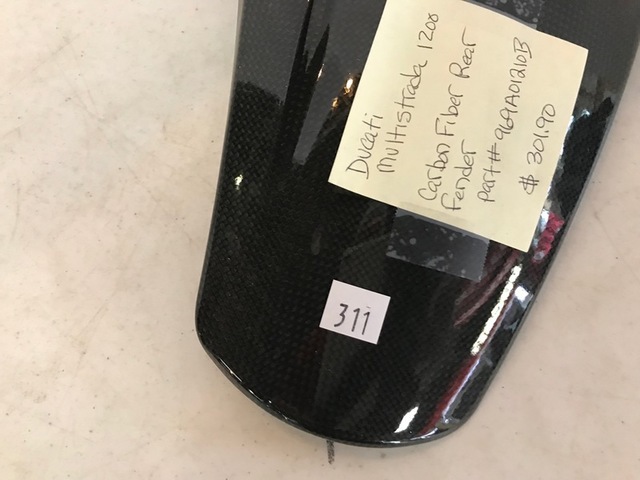 The cars were purchased to repurposed as small trailers for event merchandise. 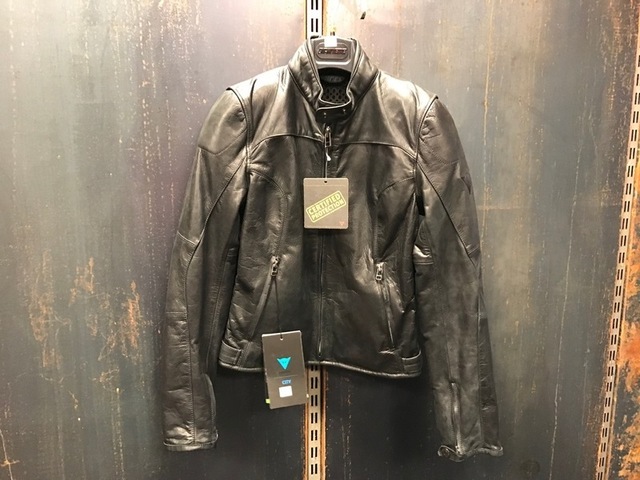 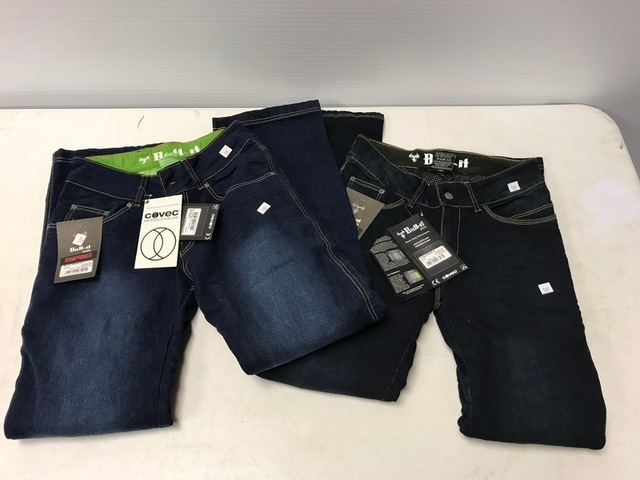 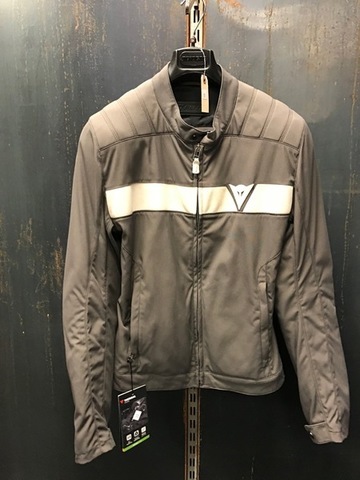 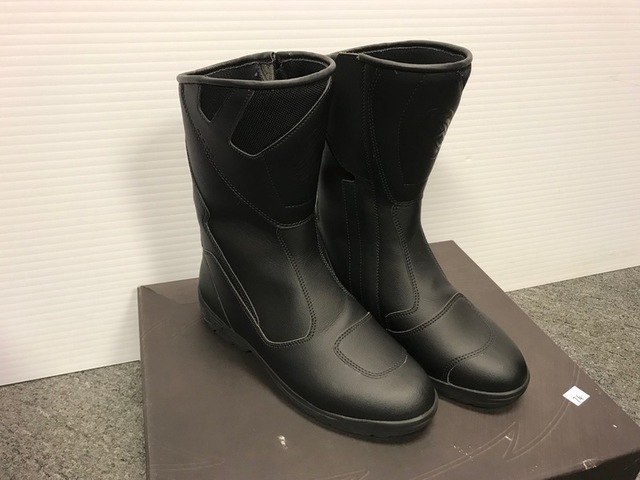 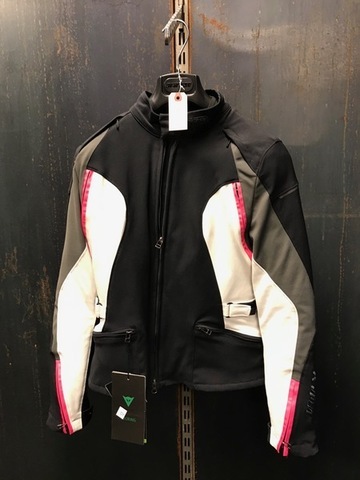 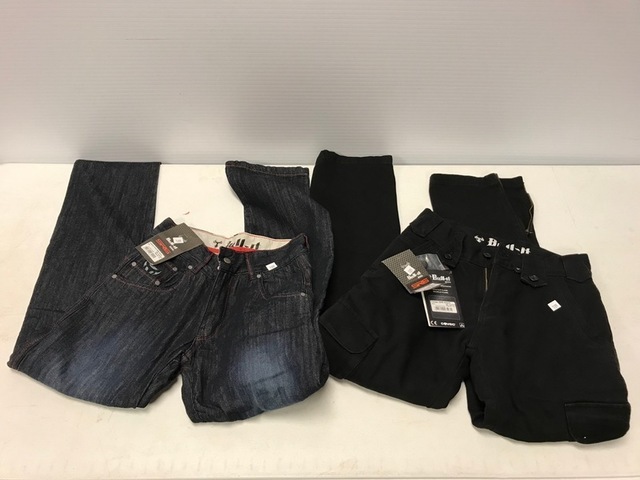 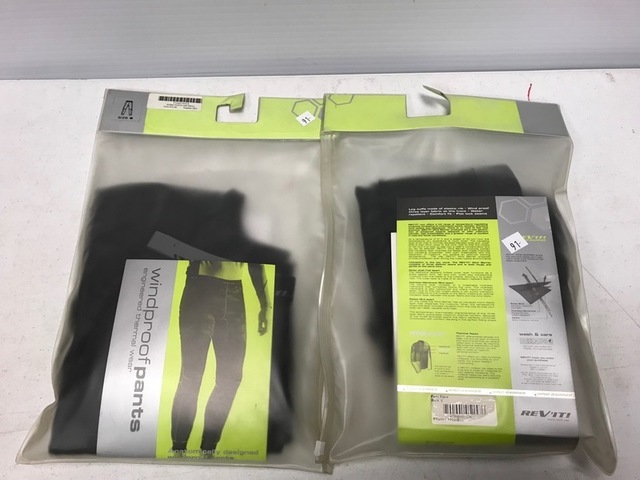 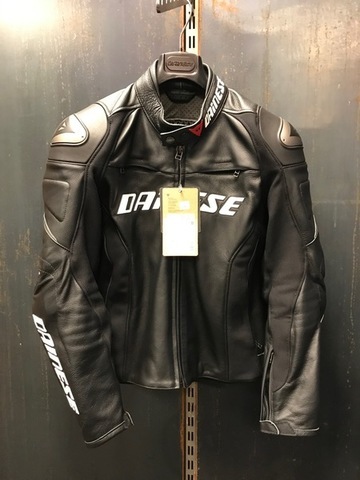 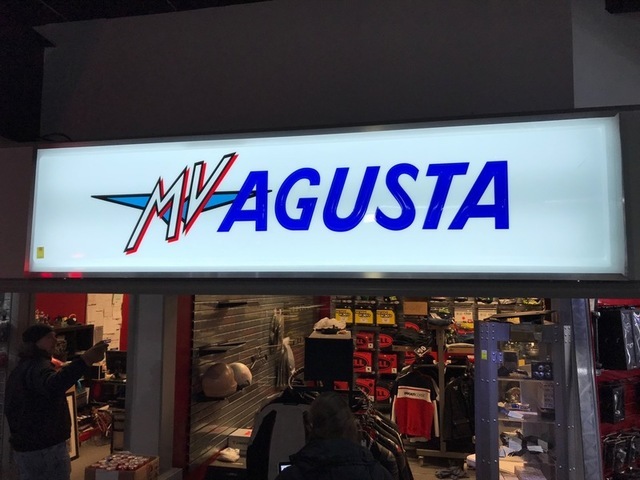 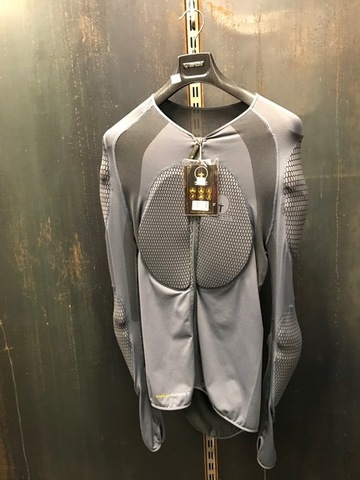 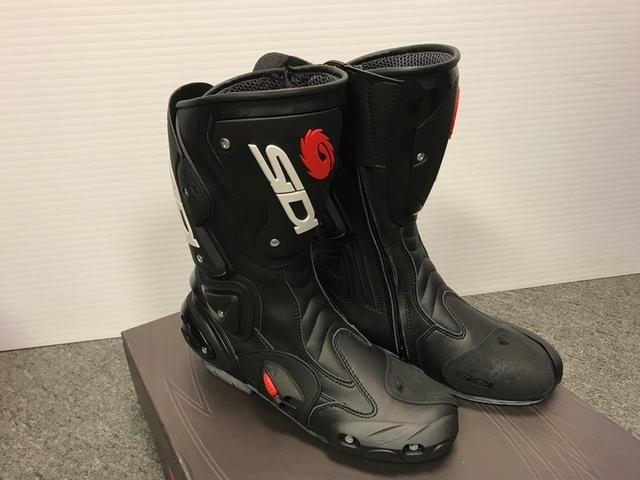 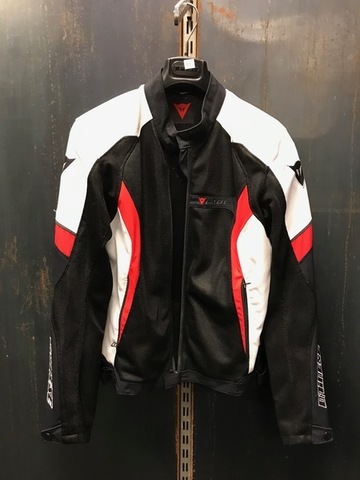 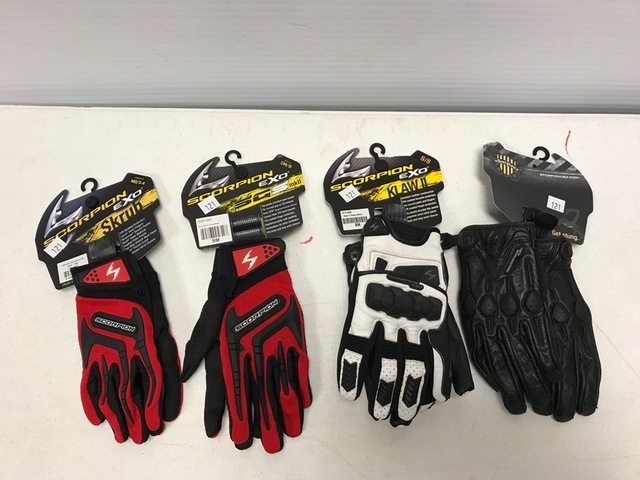 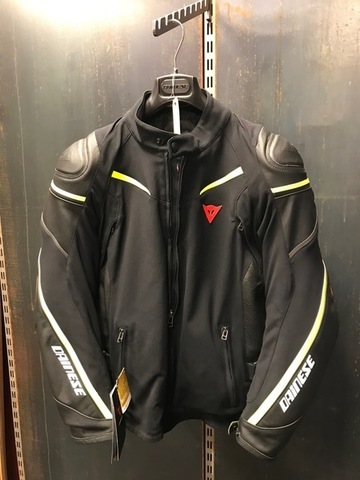 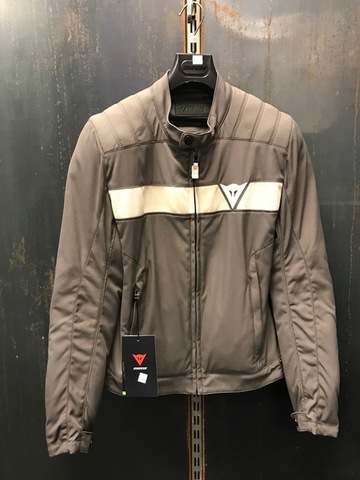 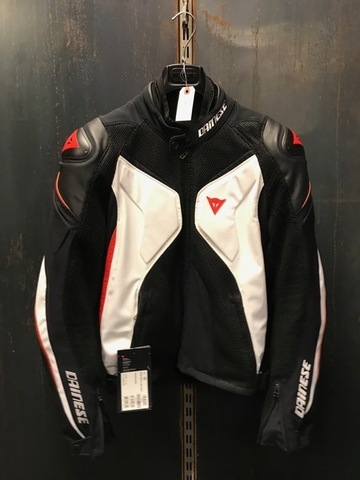 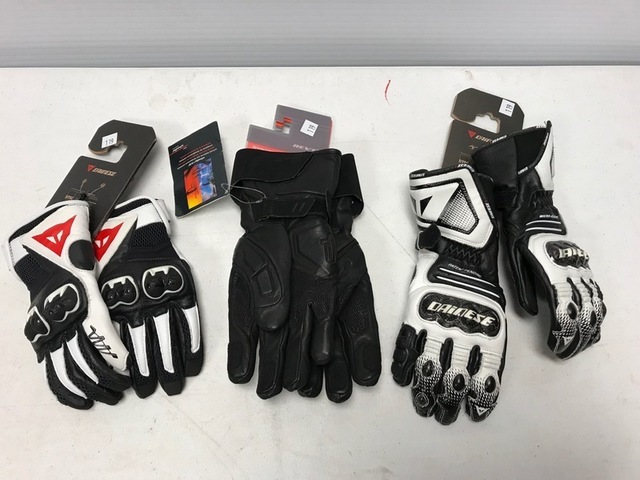 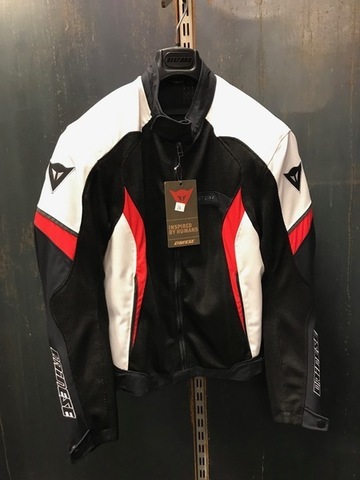 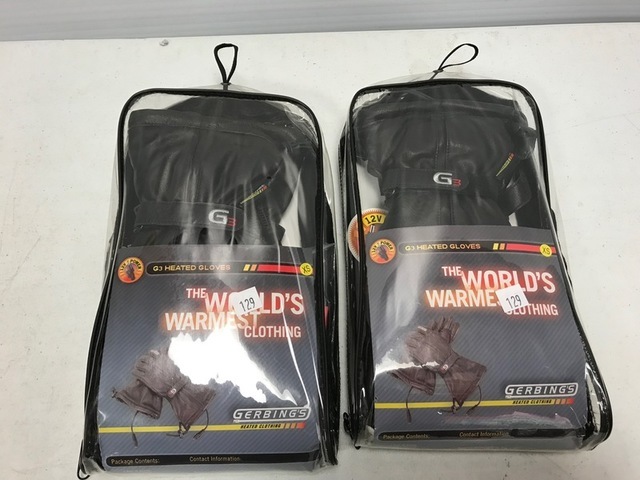 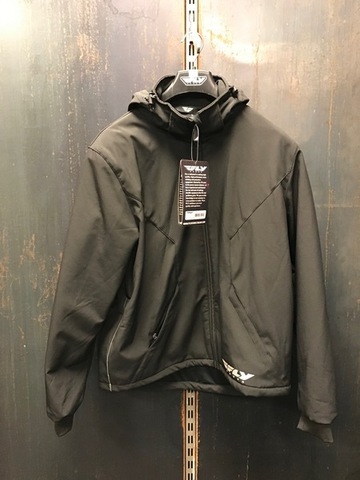 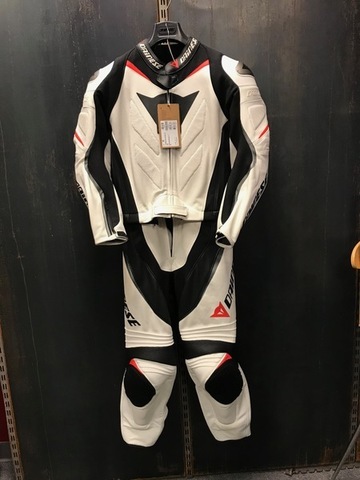 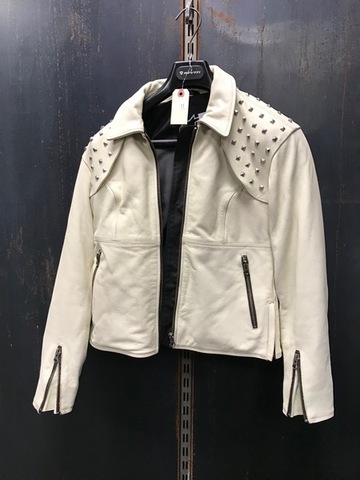 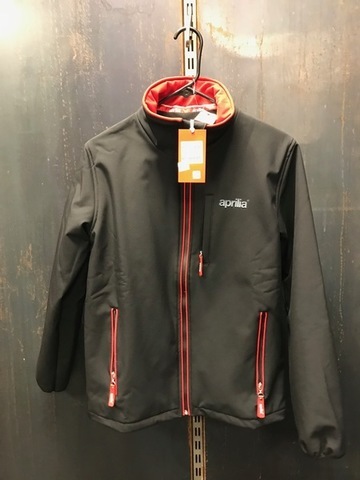 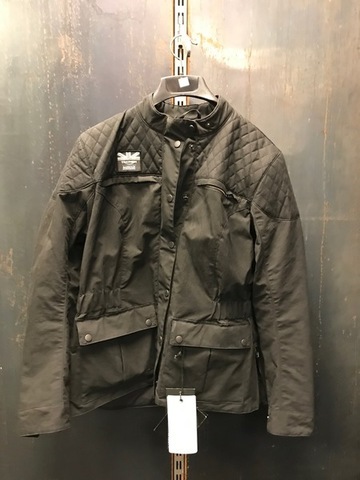 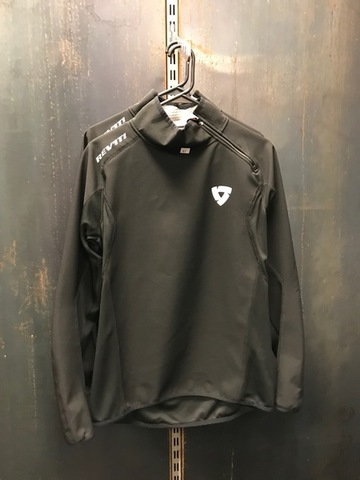 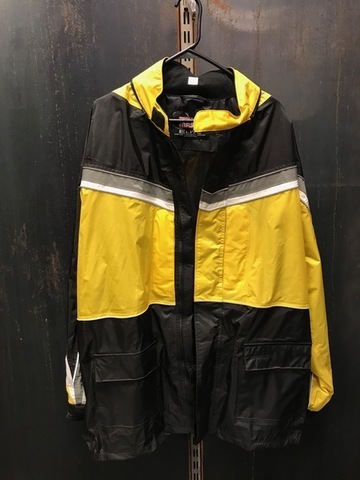 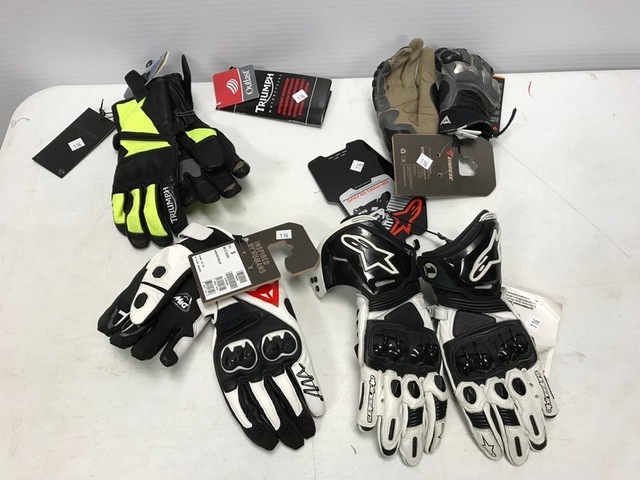 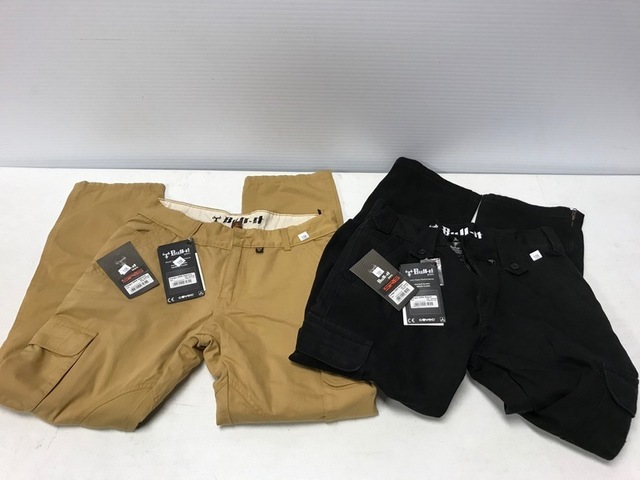 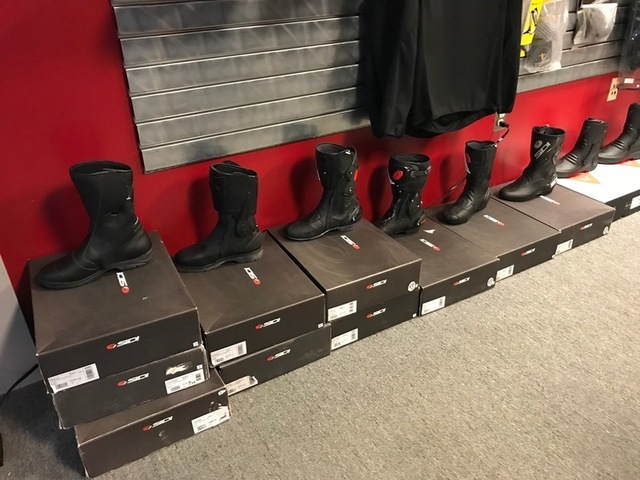 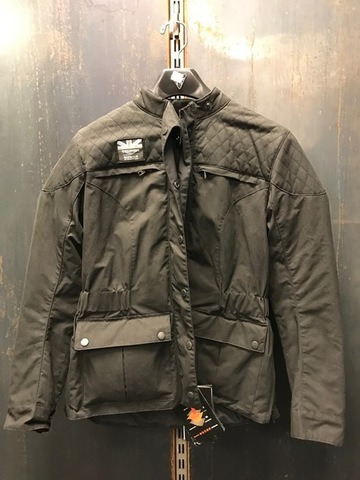 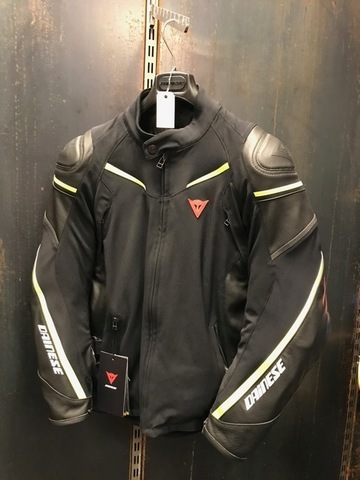 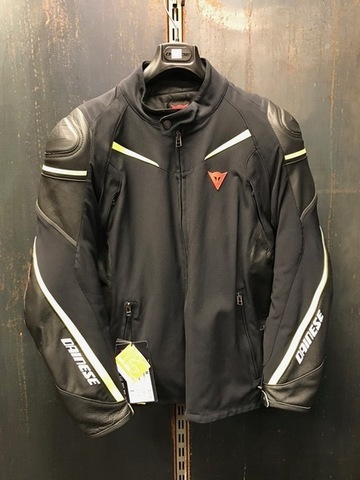 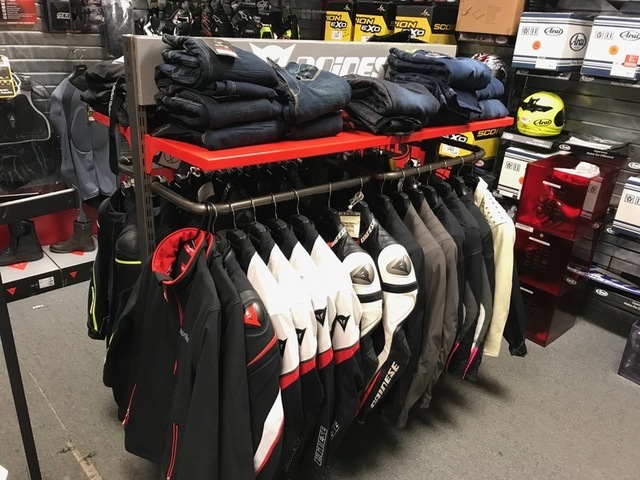 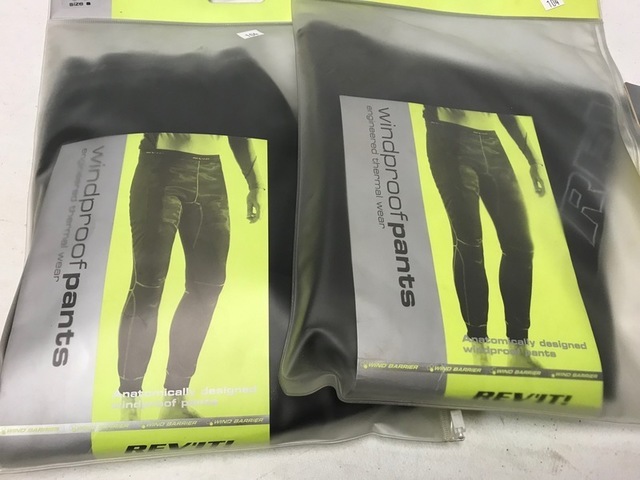 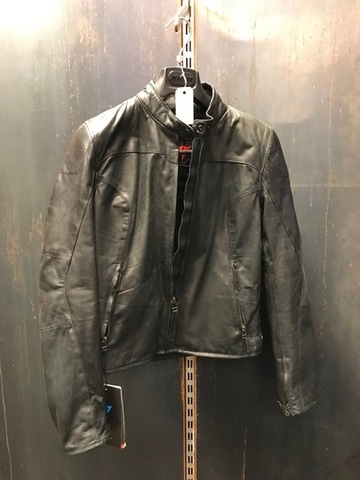 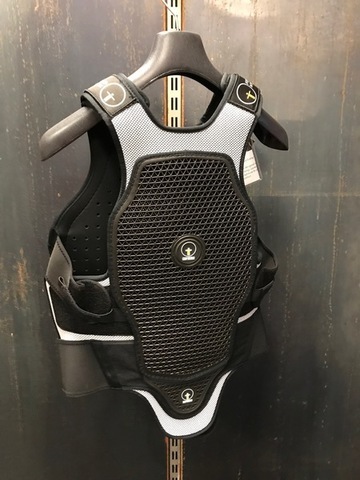 High quality men’s & woman’s riding clothing and gloves by Alpinestar, Dainese, aprilia, Fly, Gerbing, Tourmaster, Rev’it, Ducati, Forcefield, Triumph & Bull-it… Plus riding boots by SIDI. 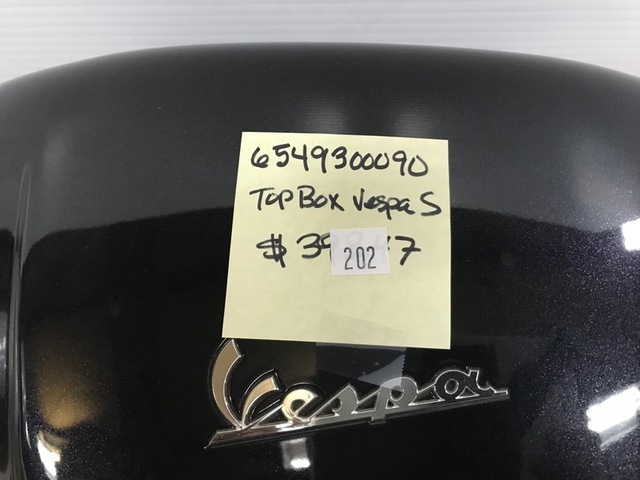 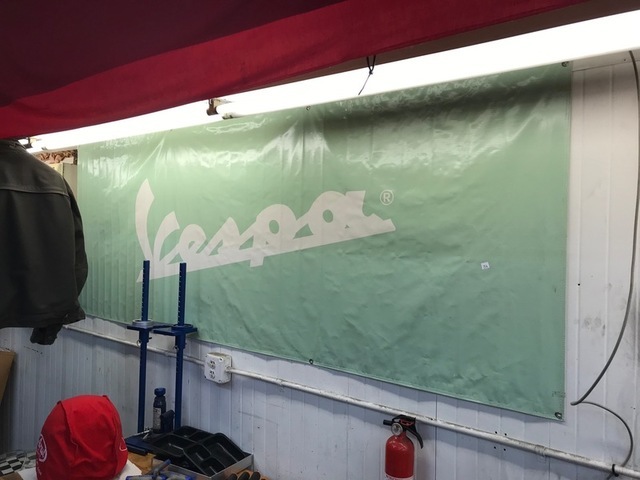 Box tops by Vespa & Piaggio. 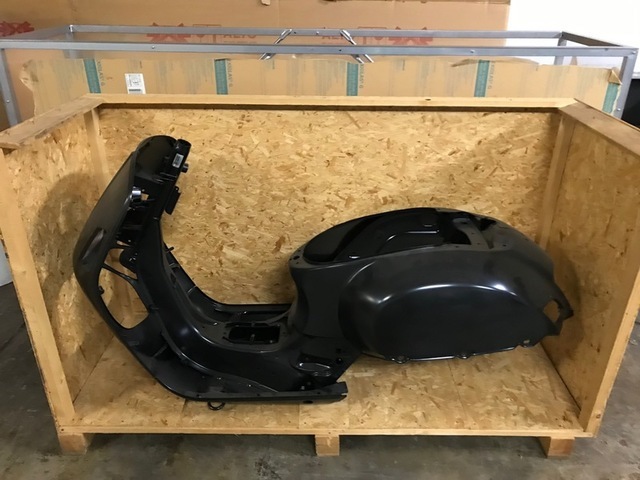 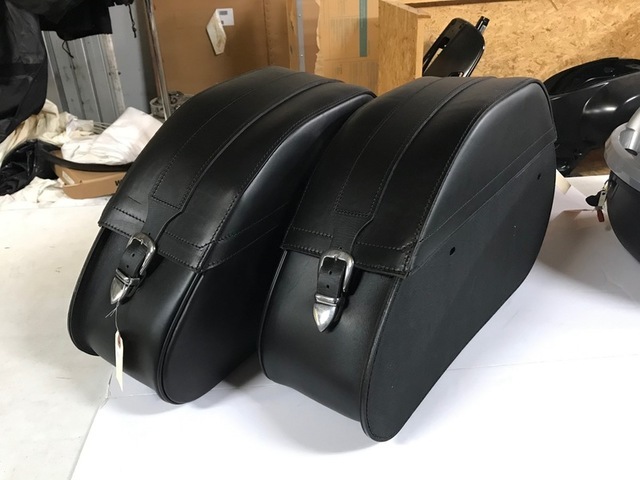 Motorcycle tanks, Large complete frame for a Vespa GTS 250. 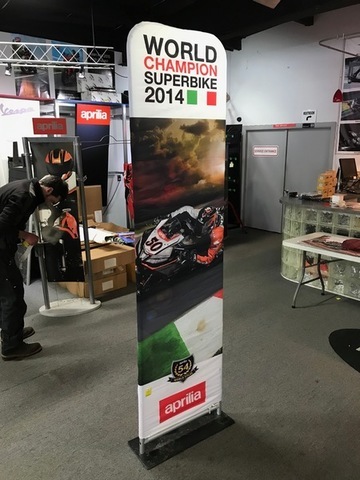 Logo signs, banners, tents & store displays. 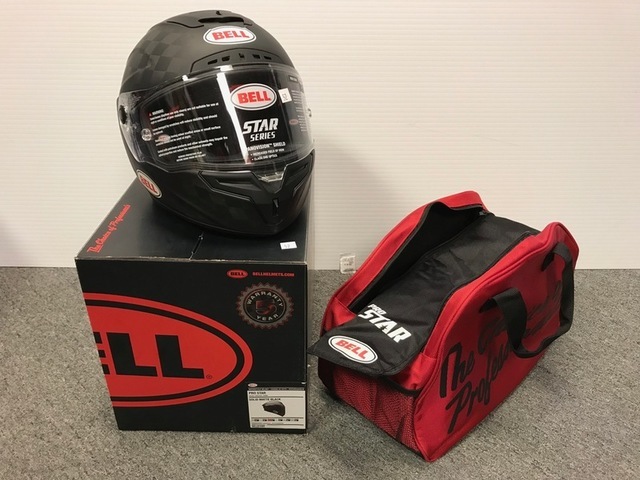 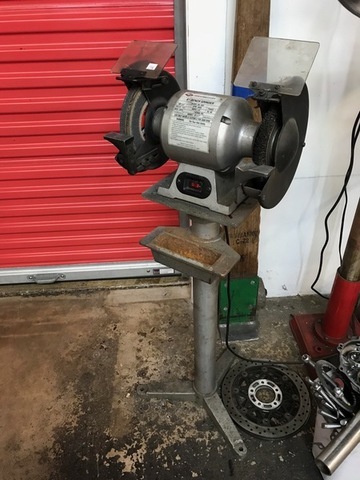 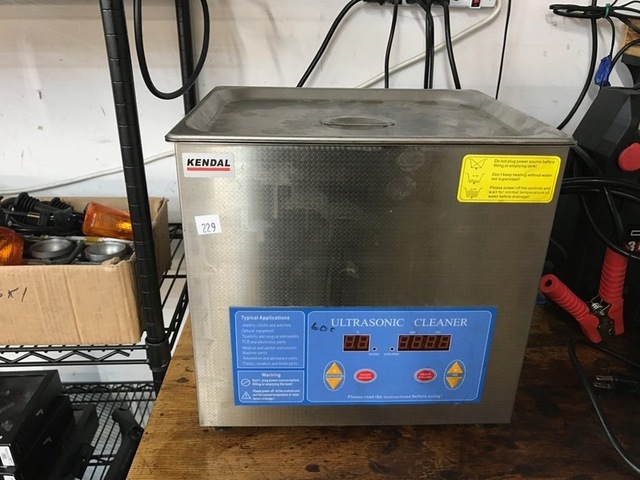 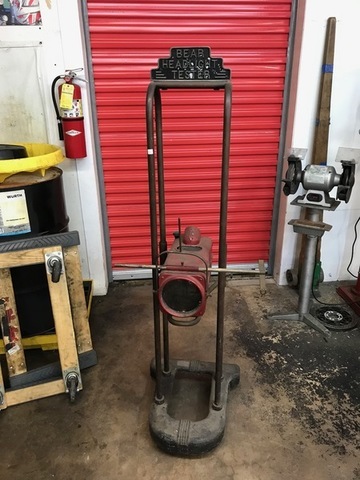 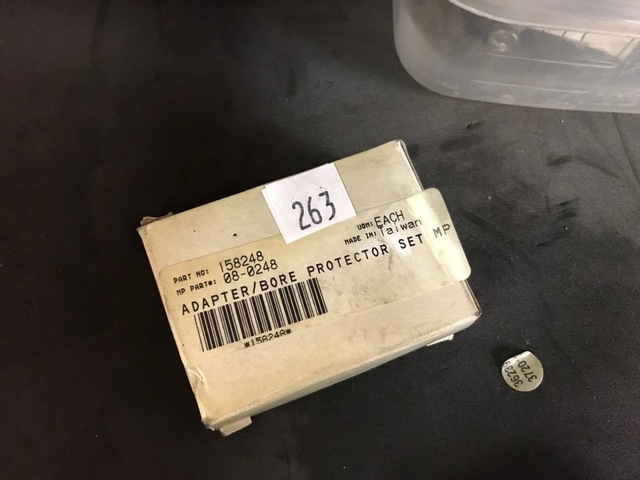 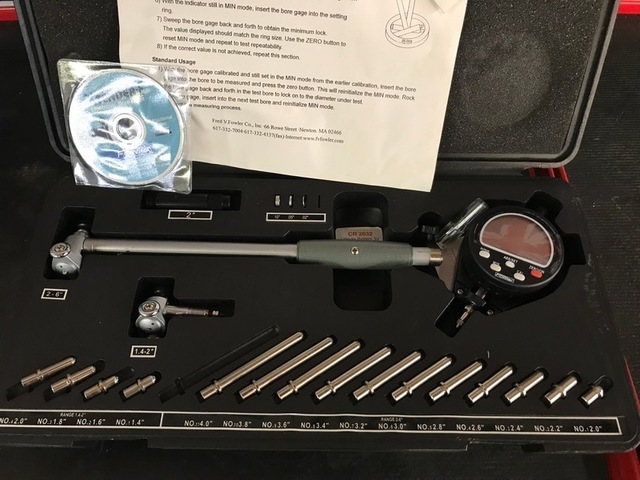 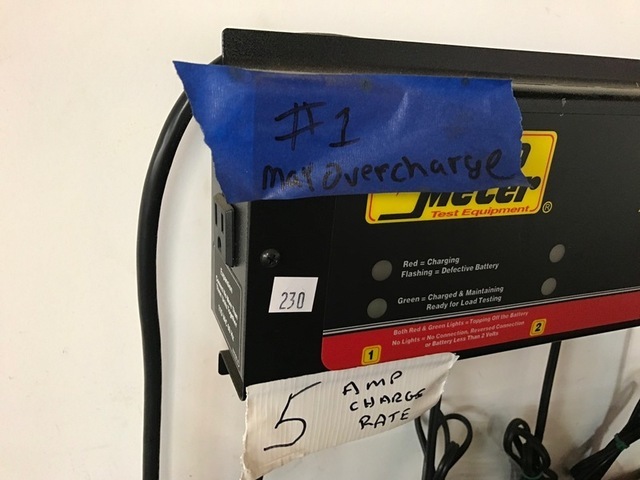 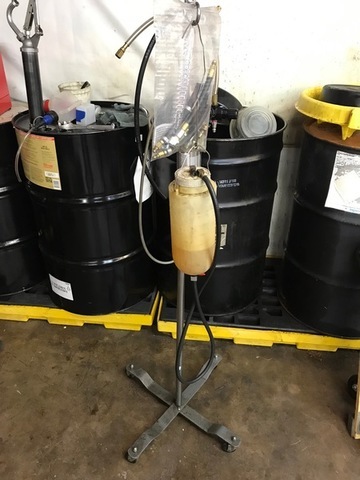 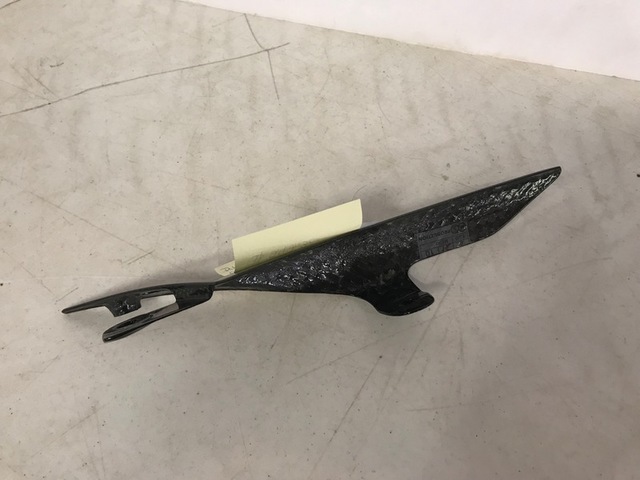 Tom Hall Auctions does not ship, HOWEVER, if you need an item or items taken to the UPS Store (7001-PA-309, Coopersburg, PA 610-282-3600) we will deliver that item to them for a $5.00 delivery fee per item. 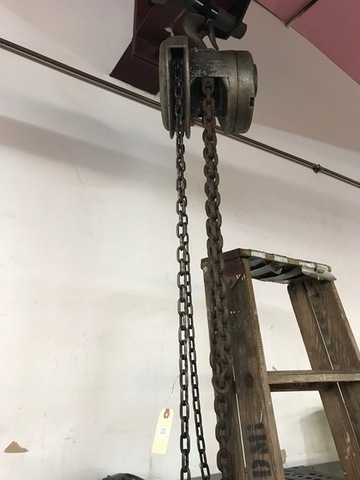 (item must weigh under 35lbs).